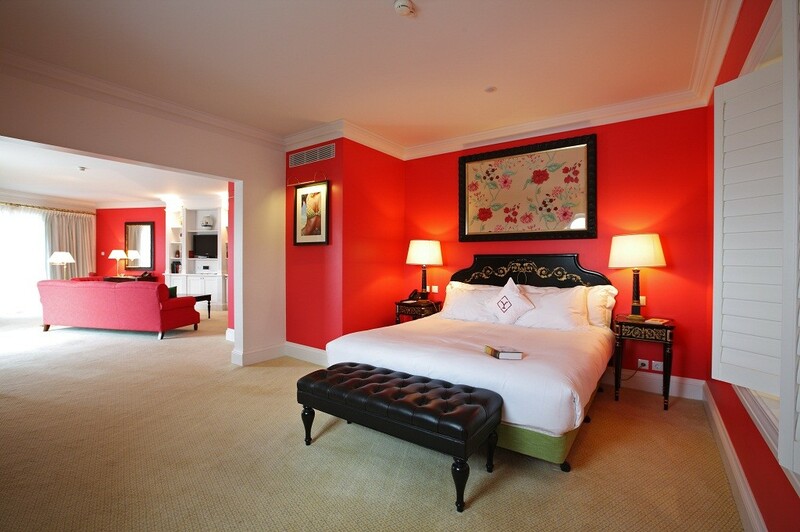 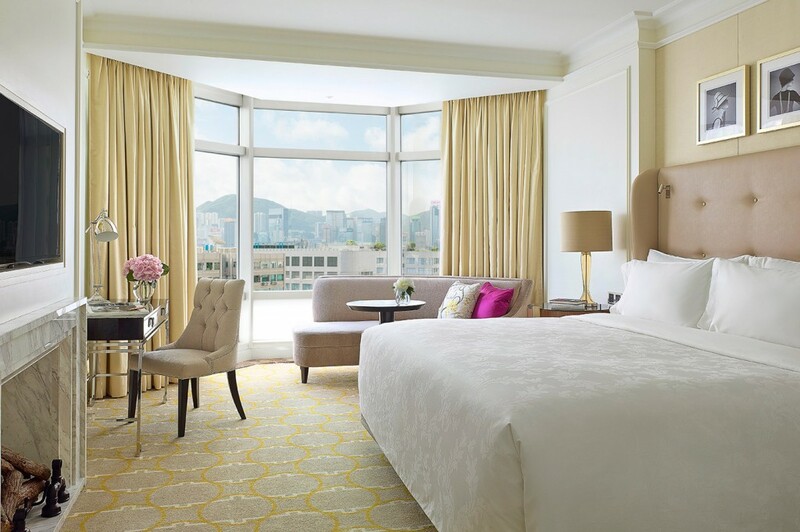 Situated in Kowloon, The Lanham is walking distance to glittering Victoria Harbour and chic Tsim Sha Tsui. 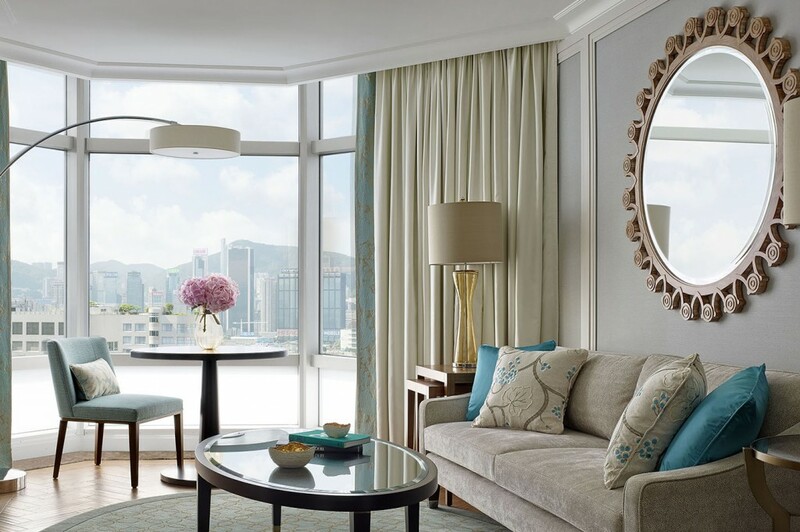 A bustling metropolis, discover the perfect blend of past and present only in Hong Kong. 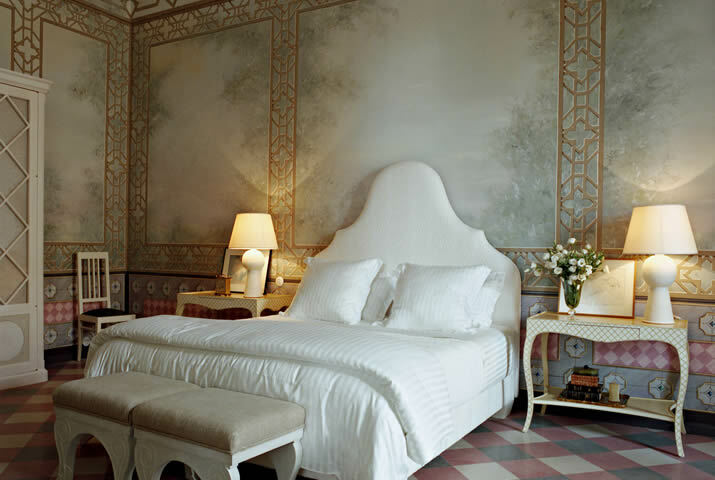 Timeless European elegance. 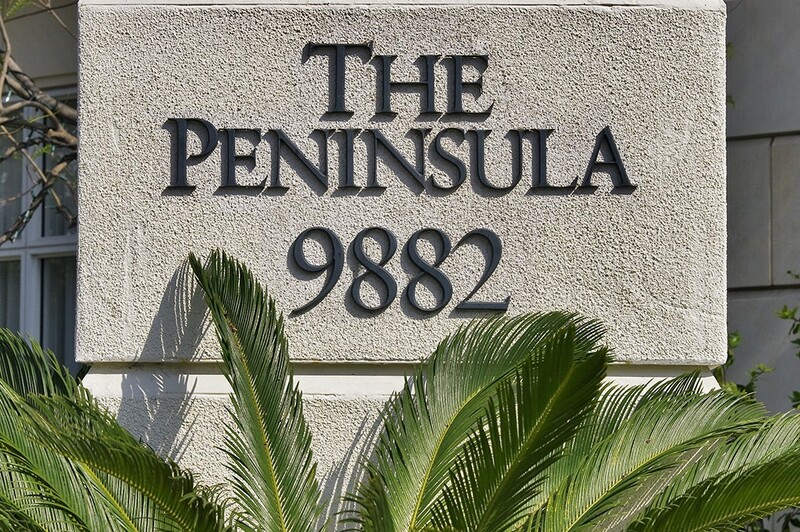 The most fashionable address. 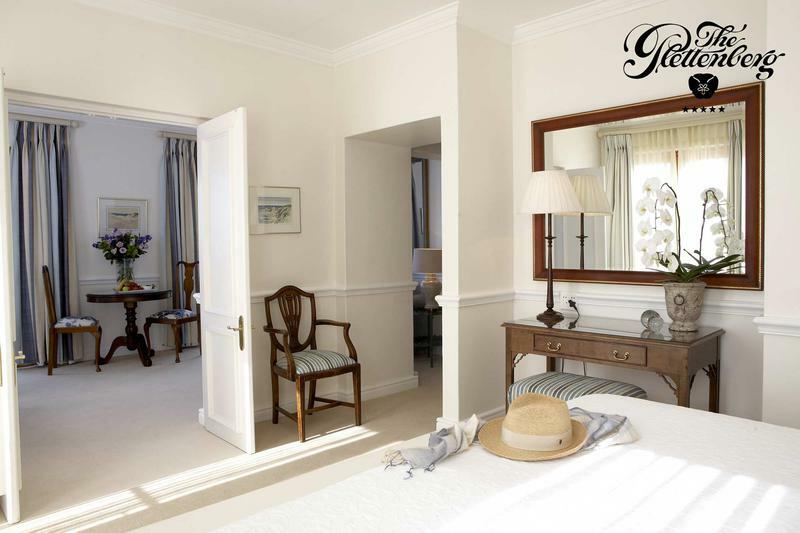 Personalised service is always in style. 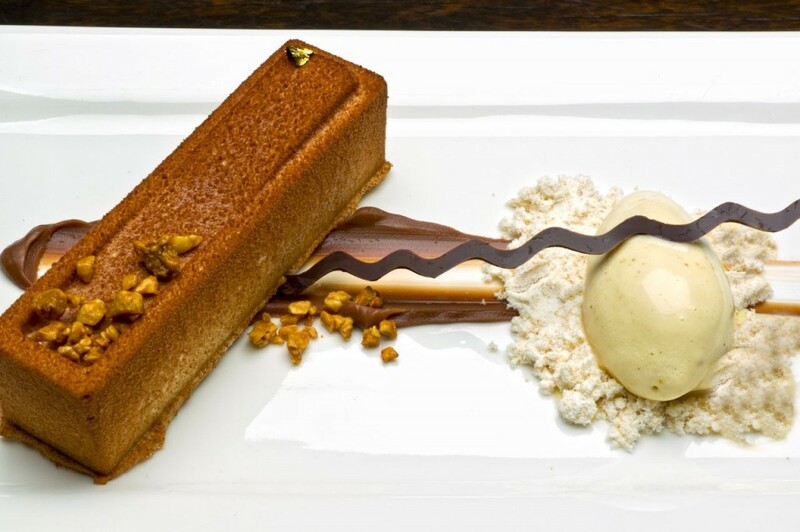 World-class cuisine. 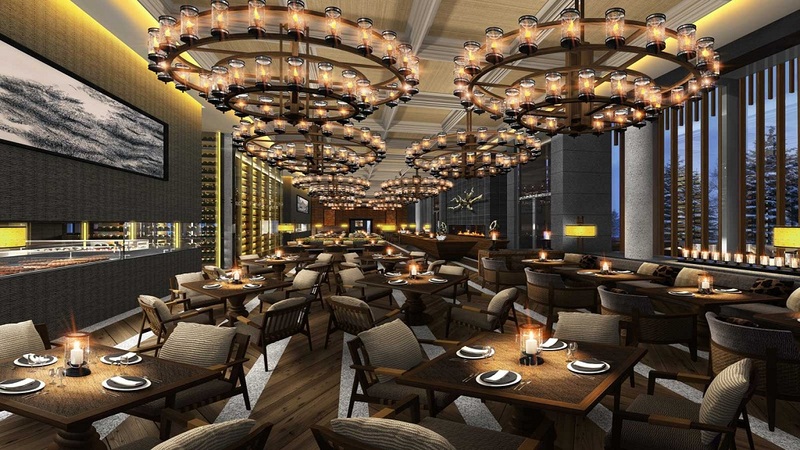 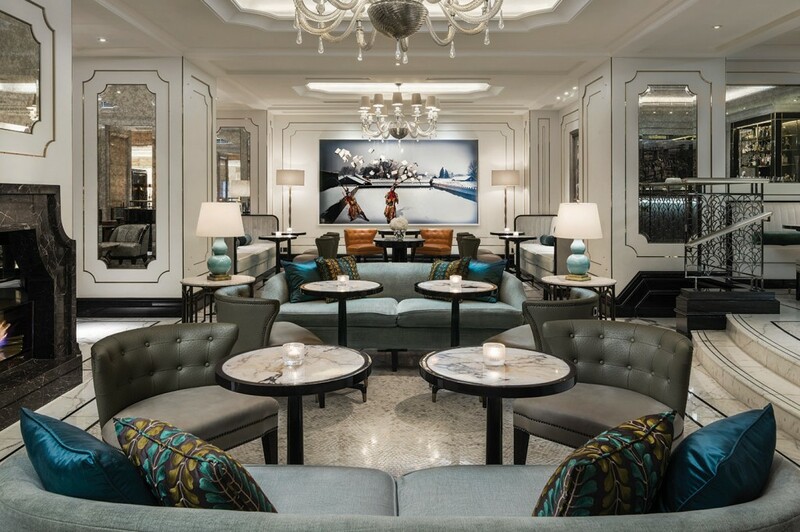 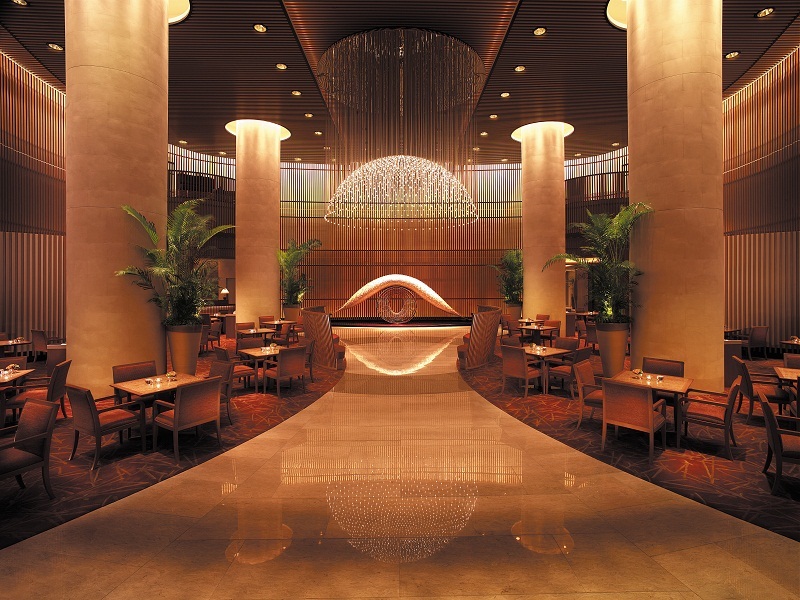 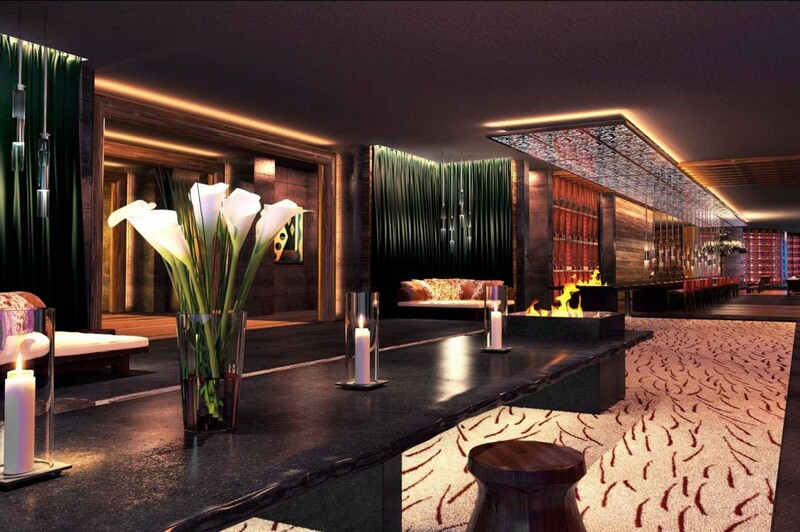 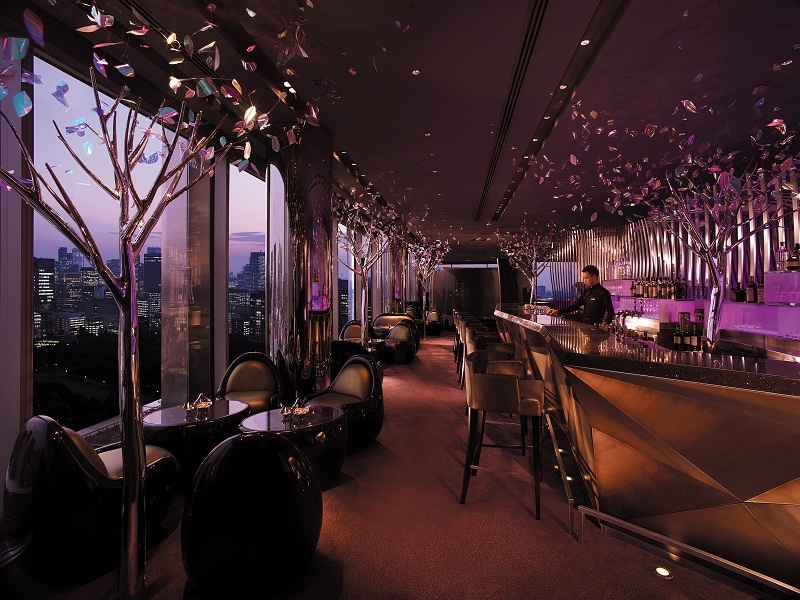 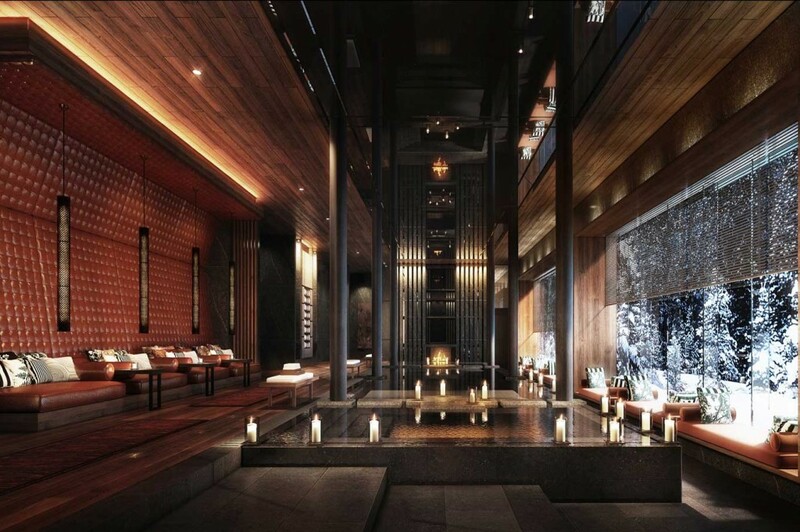 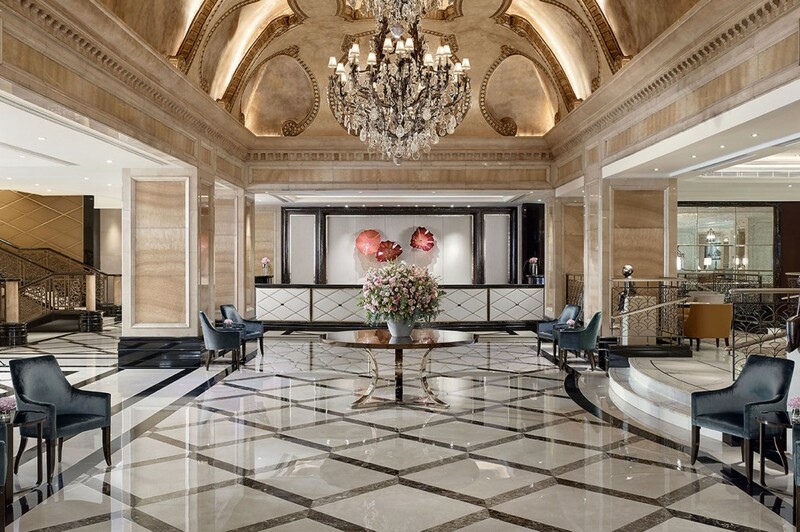 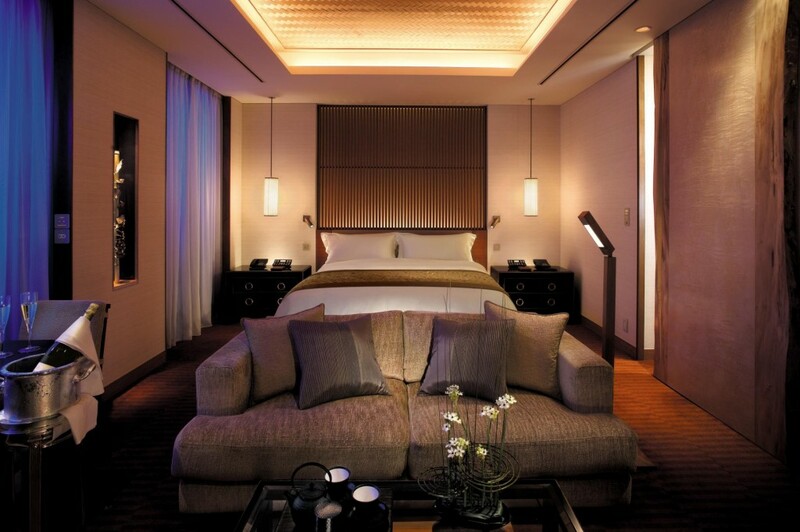 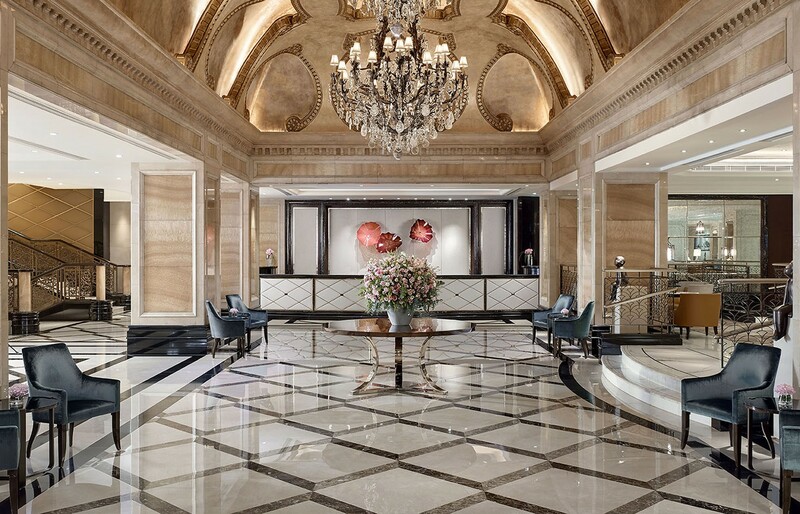 The Langham, Hong Kong hotel is unlike any other. 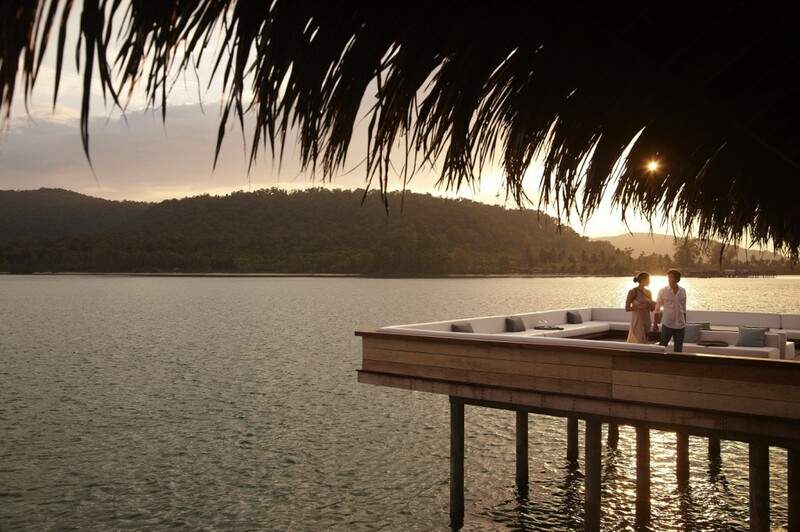 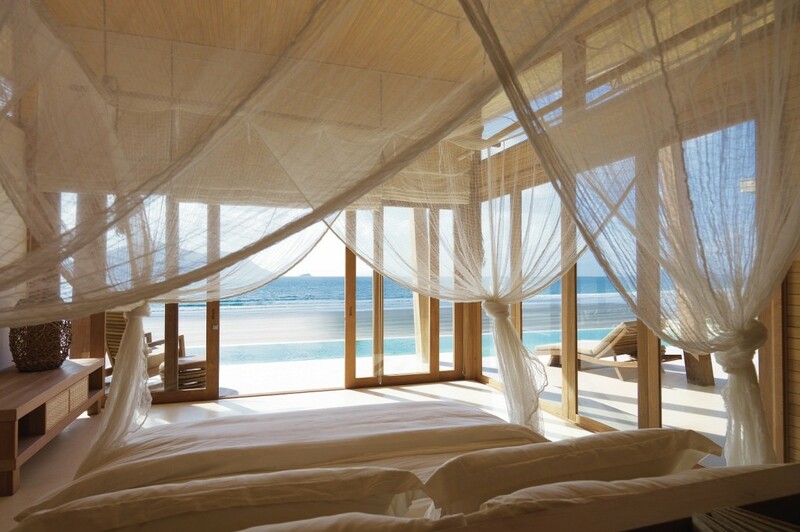 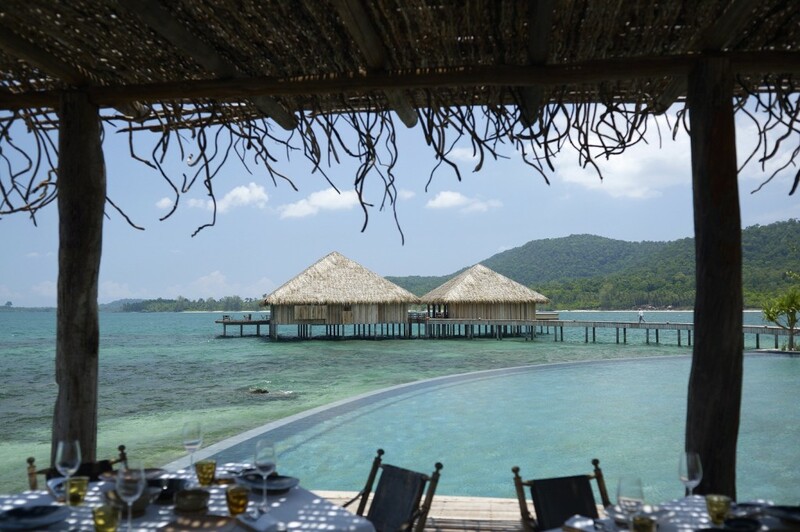 Song Saa Private Island Cambodia is located in Cambodia’s Koh Rong Archipelago, which is made up of mostly uninhabited islands – oases of virgin rainforests, coral reefs and pure white beaches. 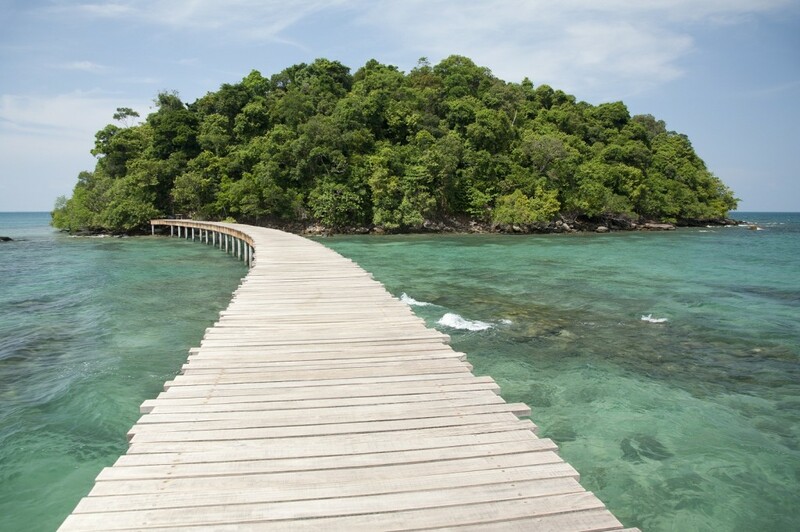 Just 35 minutes away from Sihanoukville. 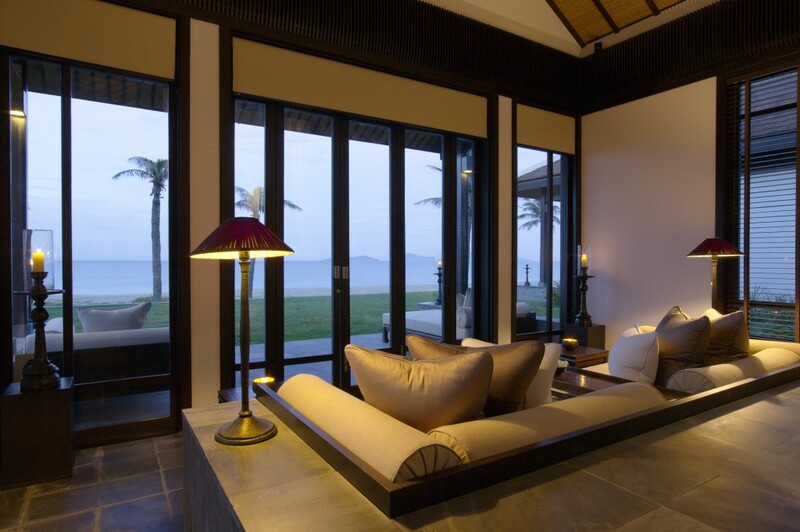 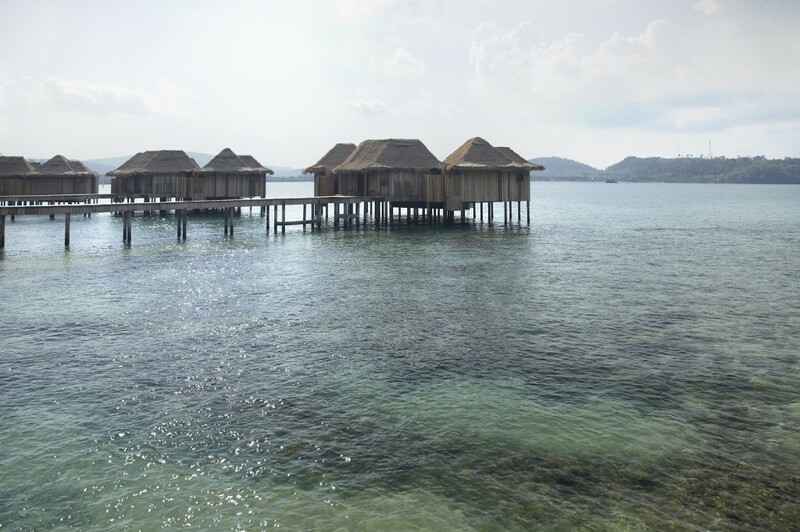 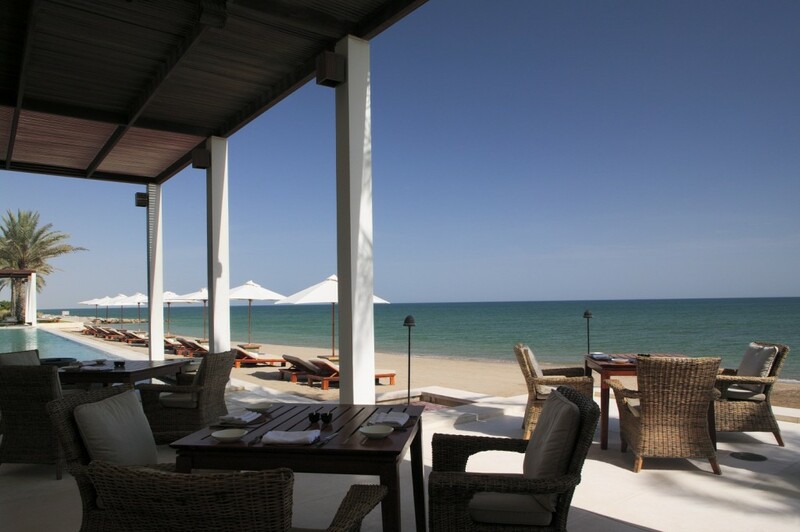 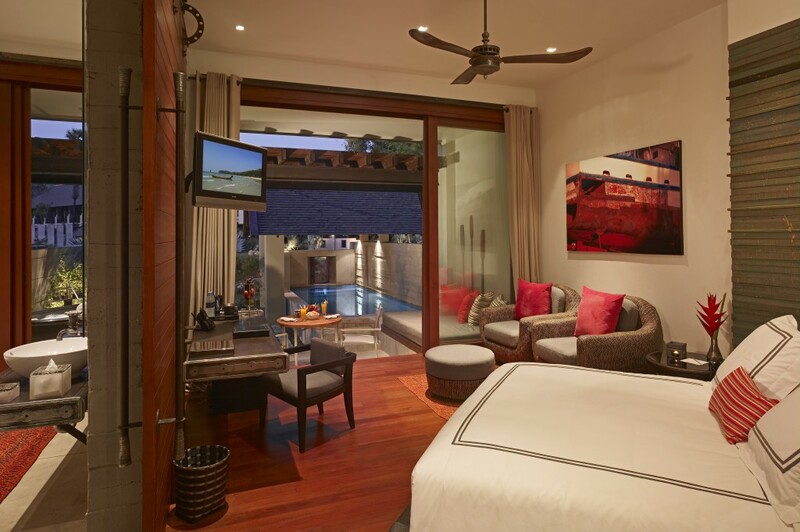 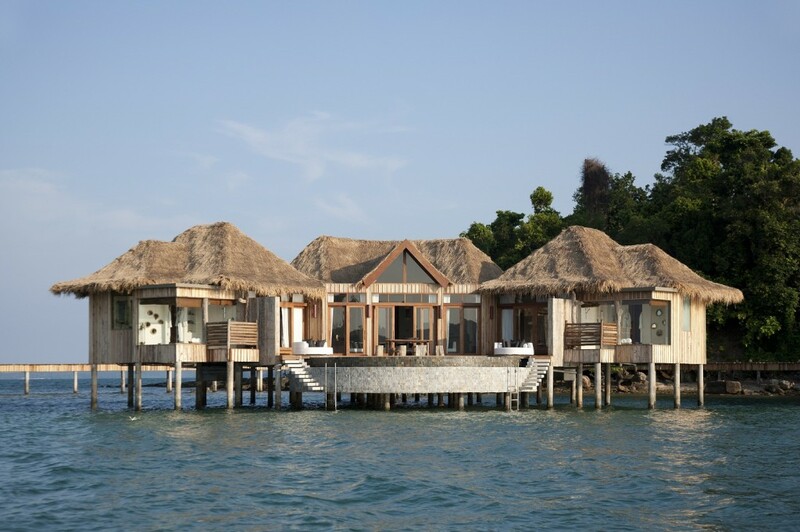 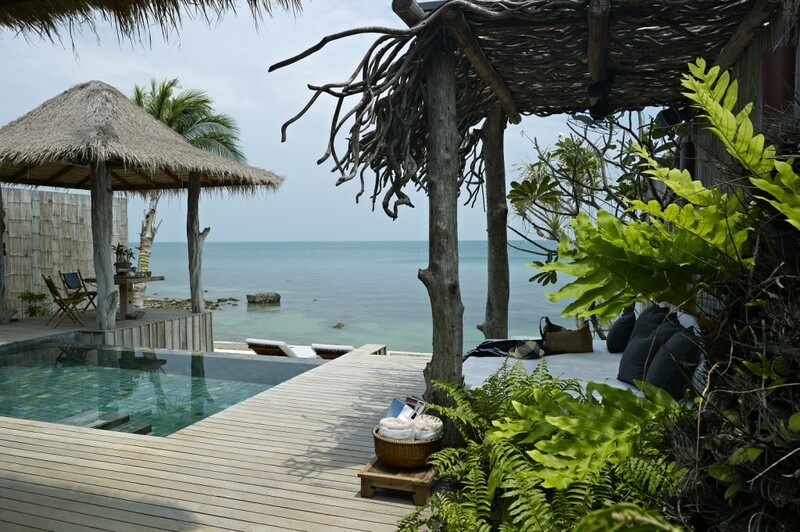 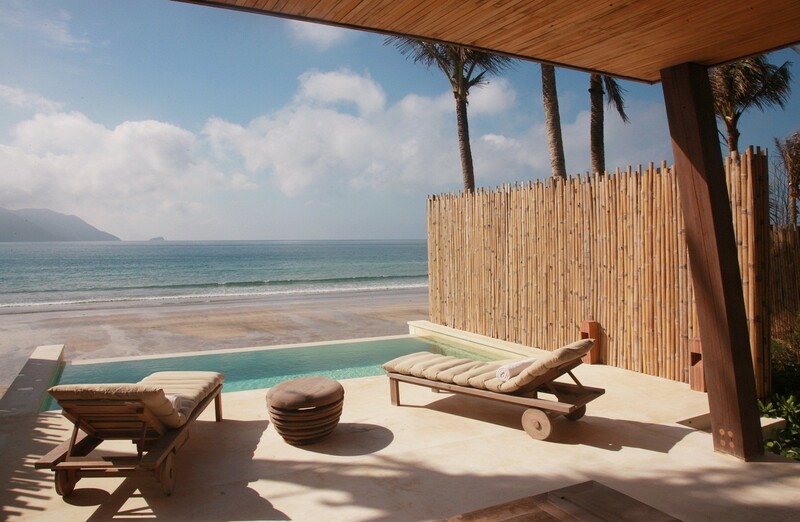 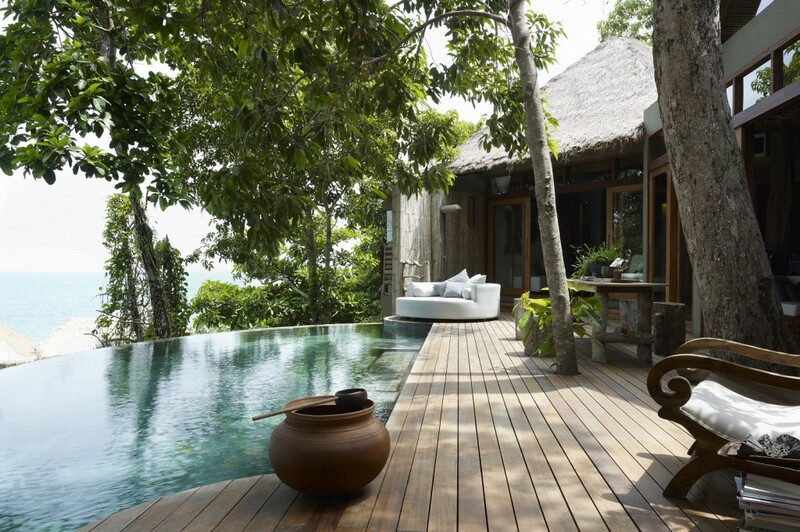 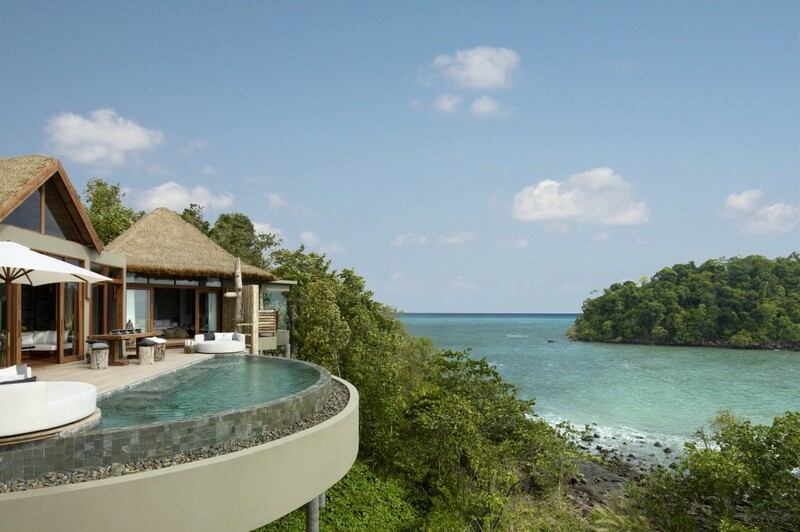 The resort spans two discreet islands with just 27 private pool villas designed around the theme of a Cambodian fishing village, but with all the luxuries and modern conveniences you would expect of a world-class resort. 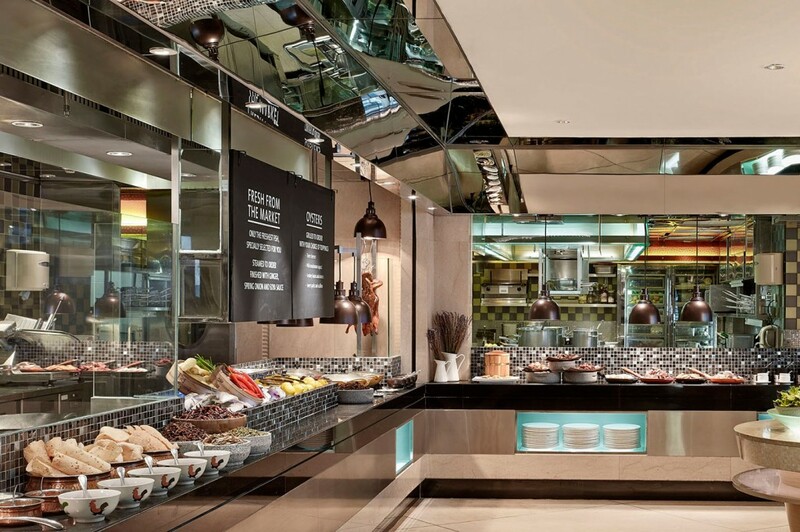 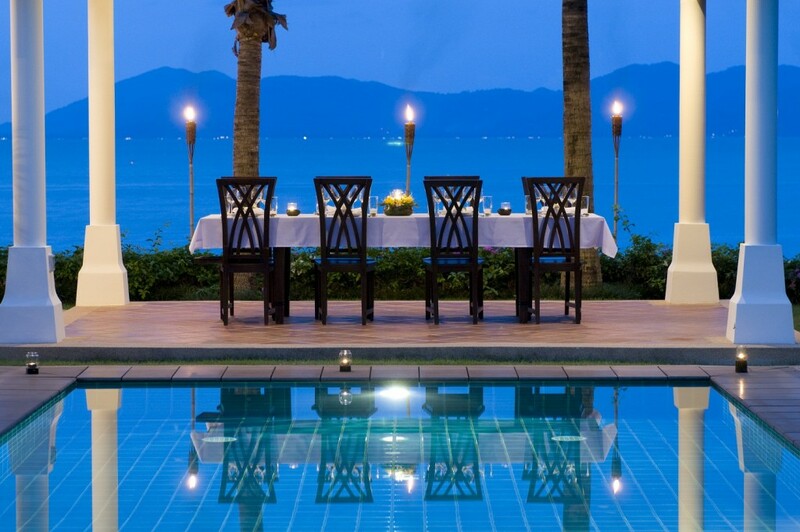 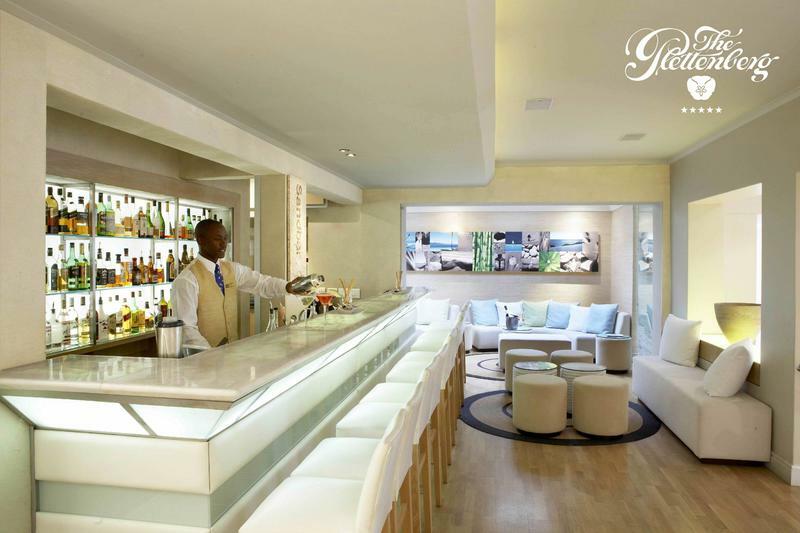 Their simple all inclusive pricing policy allowing guests to freely indulge! 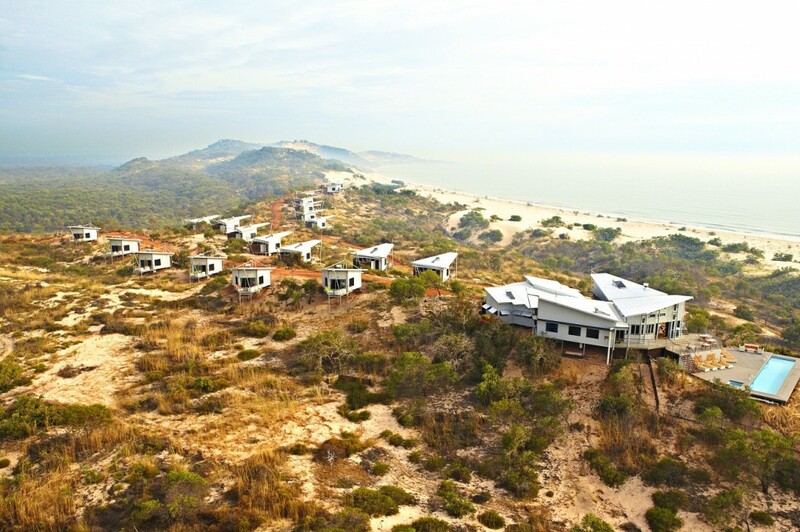 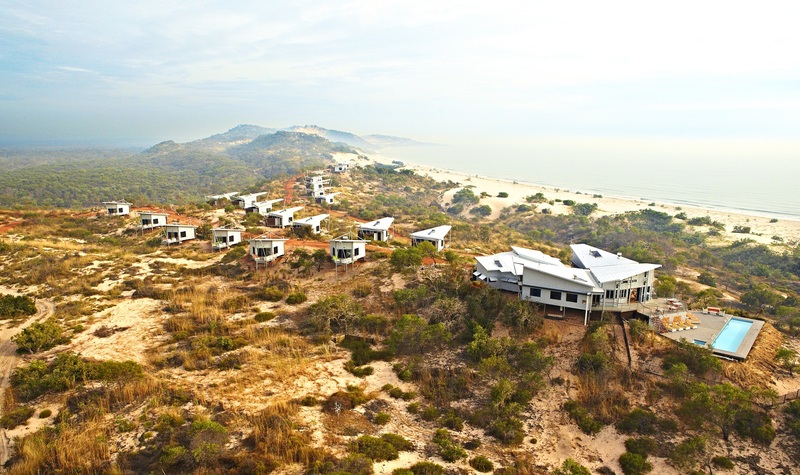 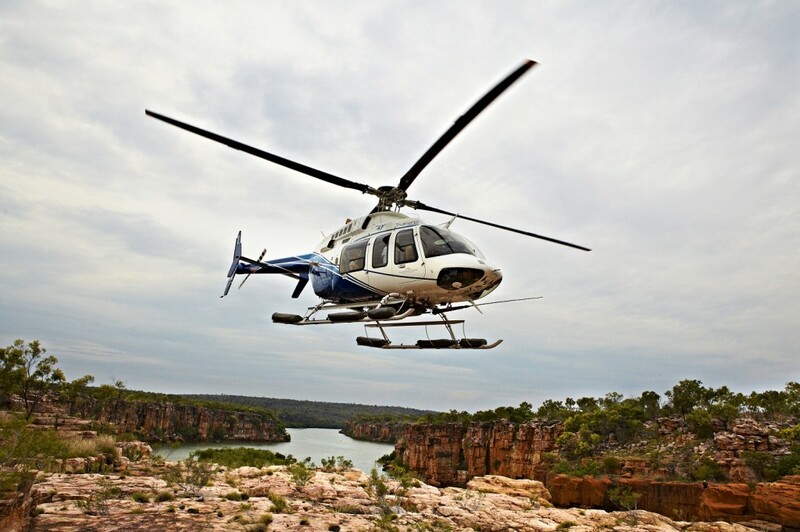 In one of the last true wilderness areas on Earth, between Timor Sea sunrises and Berkeley River sunsets, the ultimate Kimberley adventure and refined indulgence awaits. 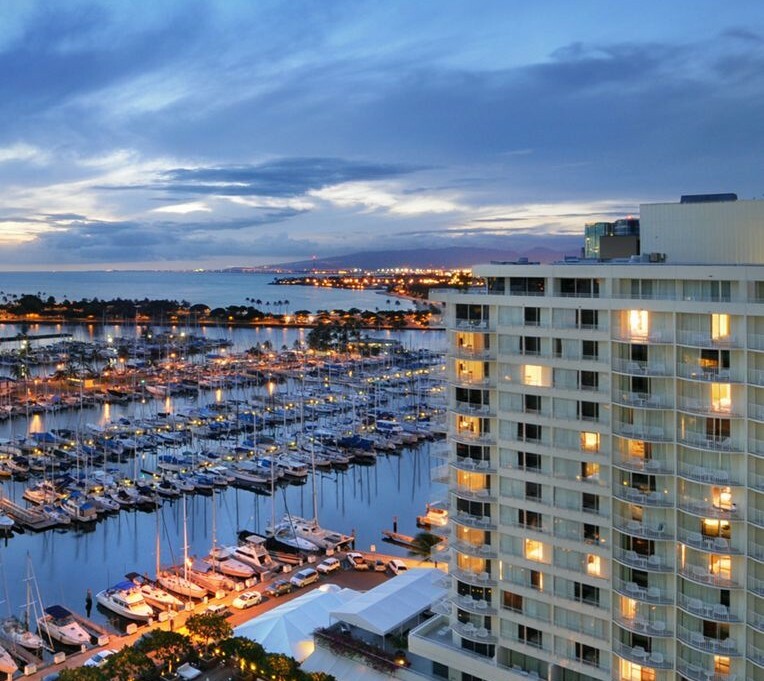 Only accessible by air or sea, getting to the Berkeley is half the adventure. 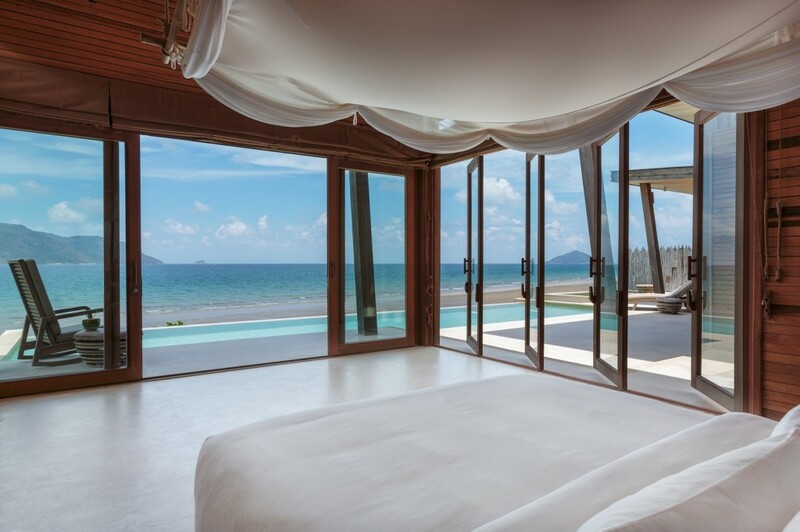 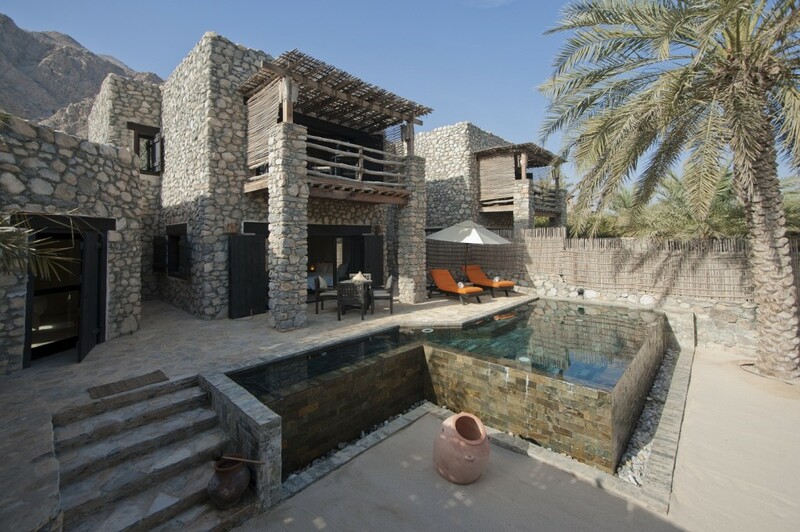 Leave modern life far behind and relax into the rhythms of nature in your ocean-view villa floating atop the coastal dunes. 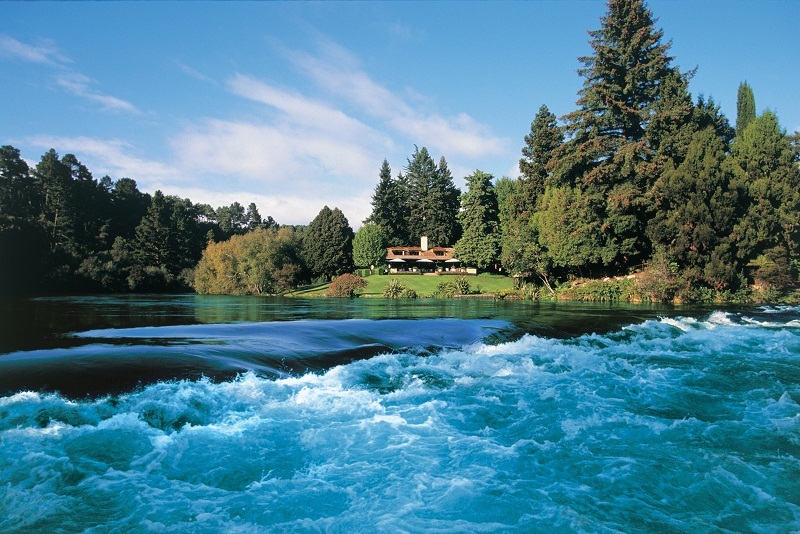 Be one of the privileged few to set eyes upon breathtaking wilderness landscapes by river cruise or helicopter flight. 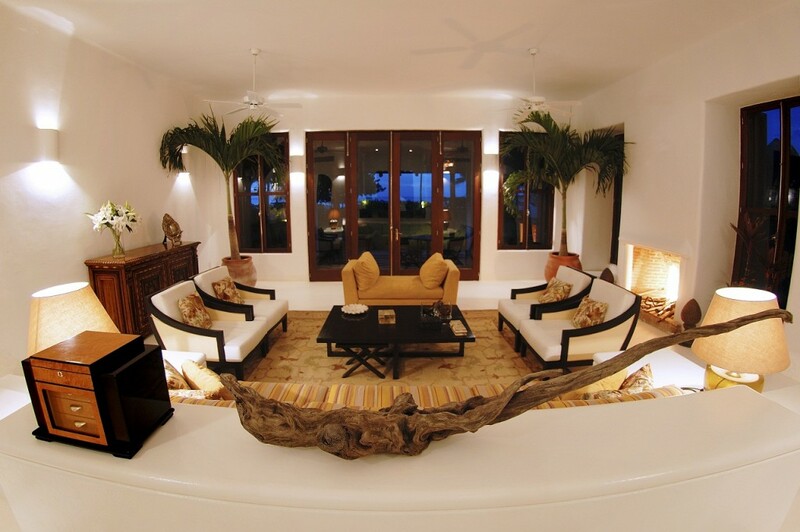 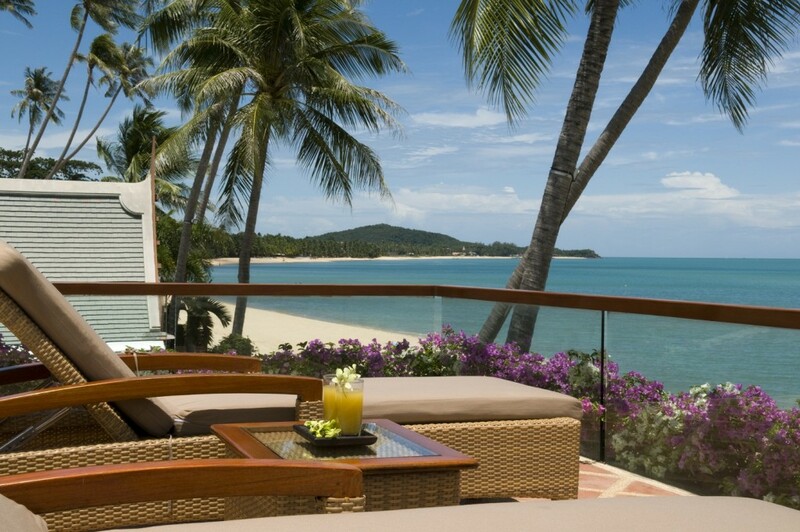 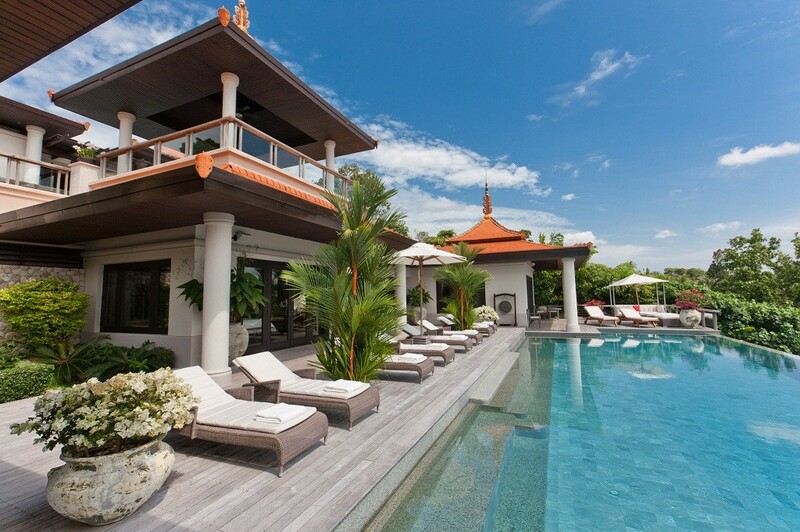 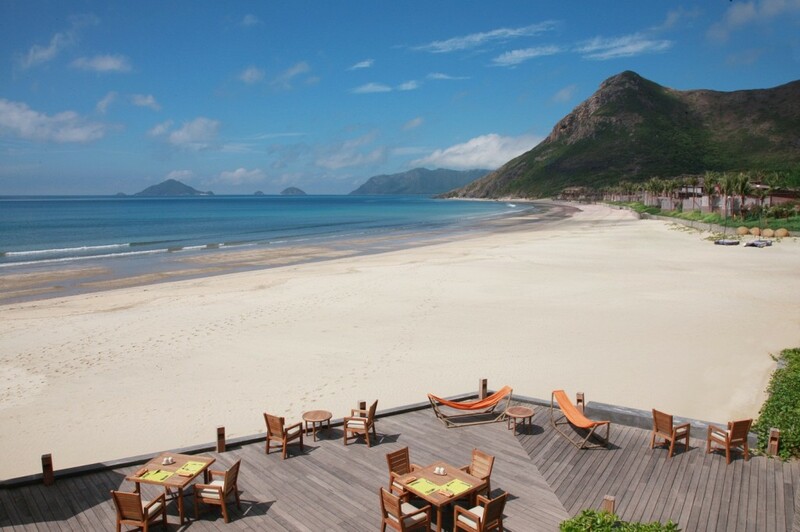 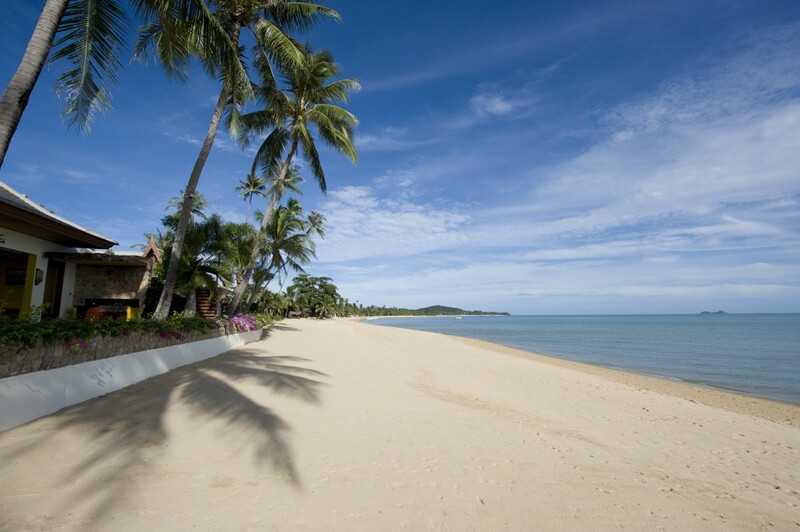 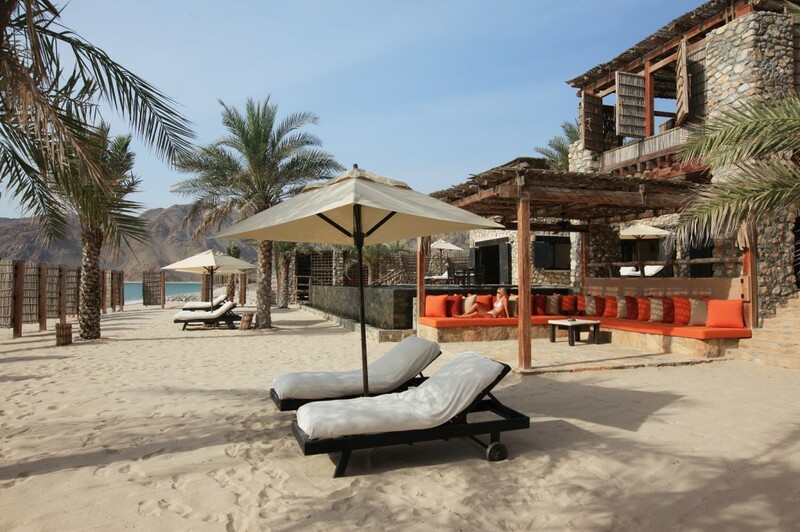 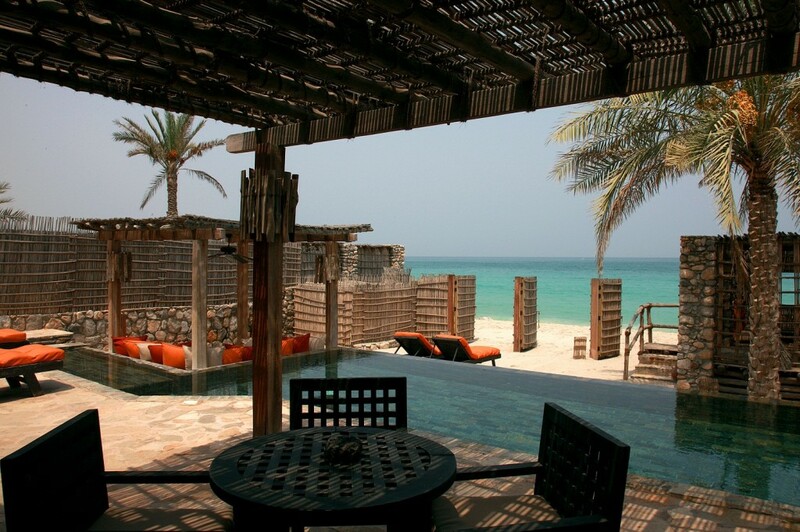 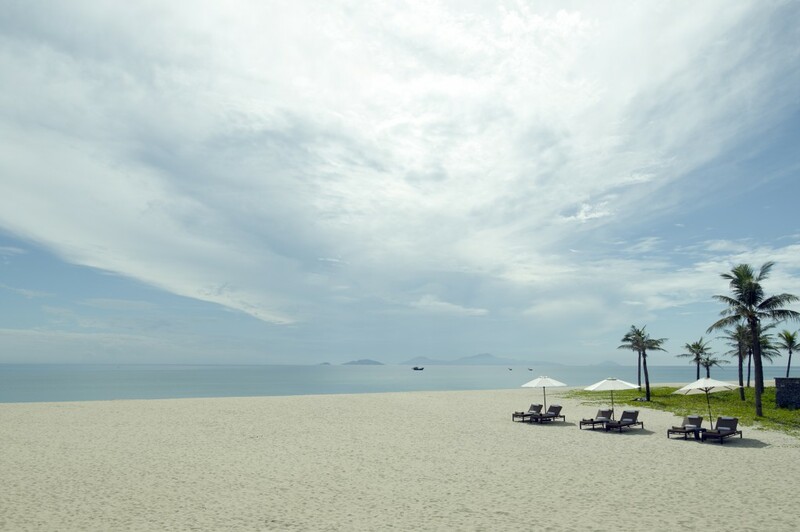 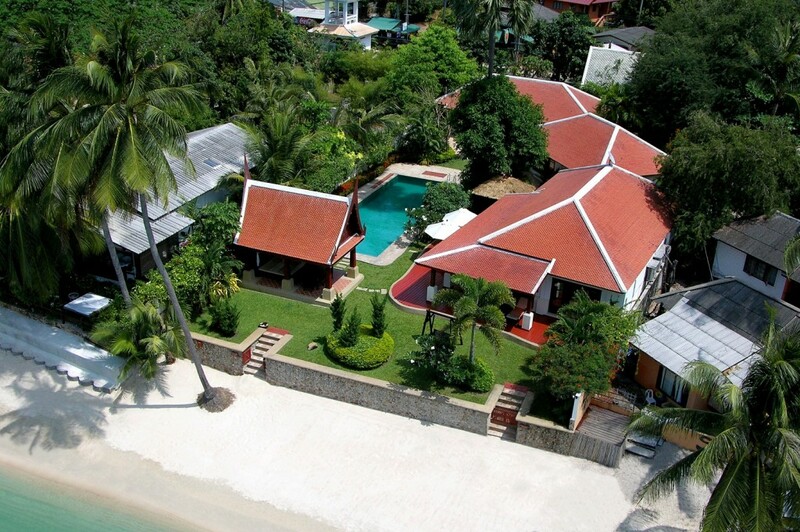 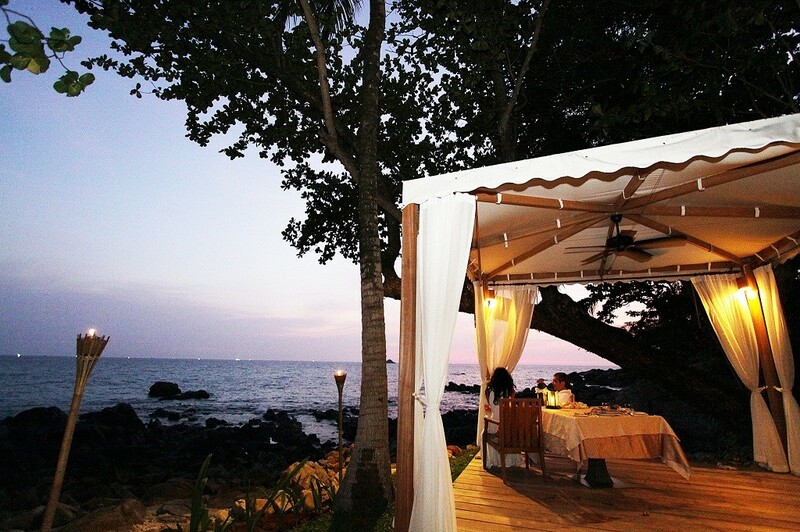 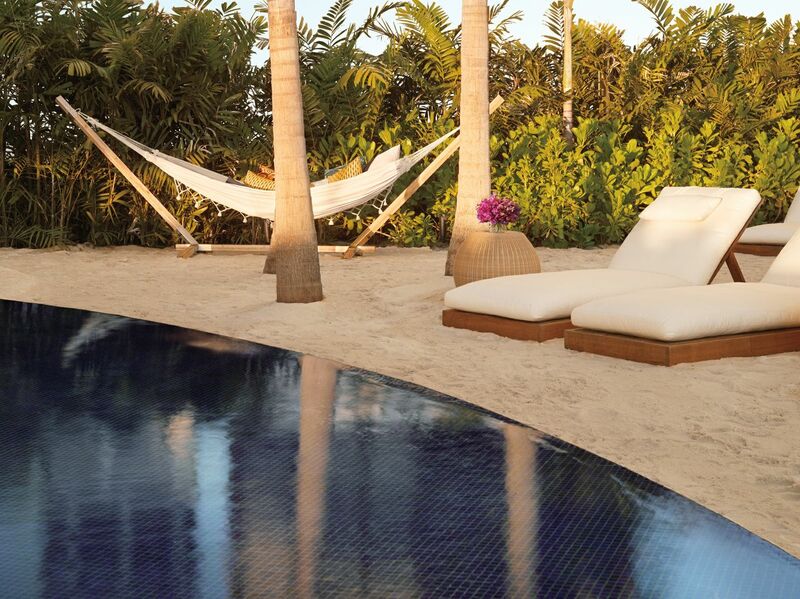 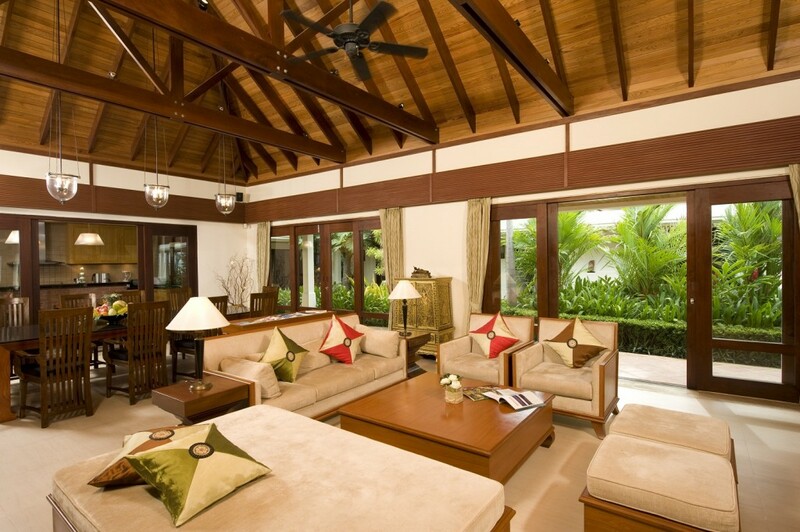 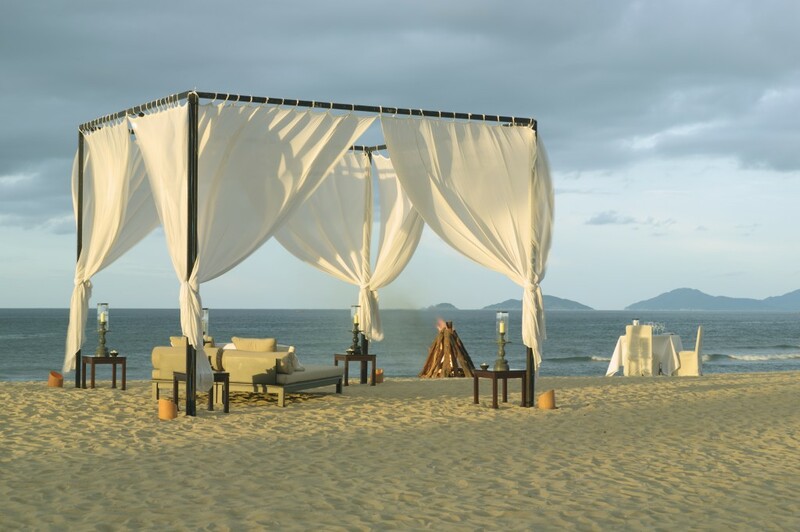 Enjoy barefoot luxury on secluded white sand beaches. 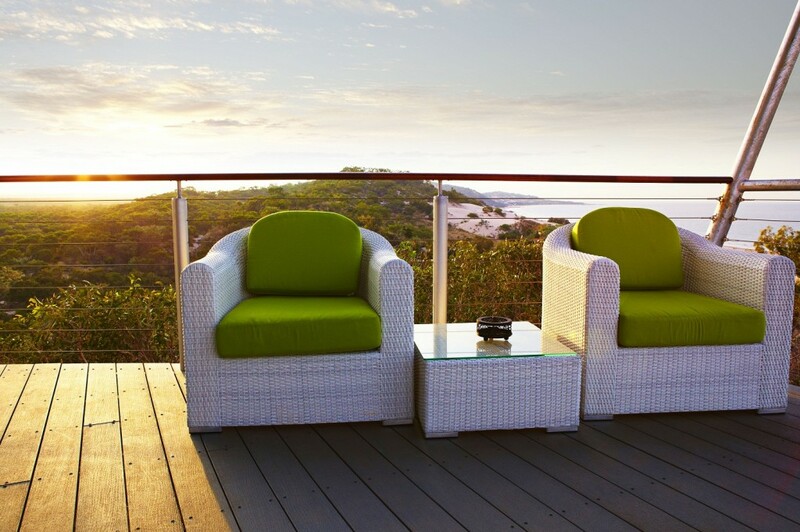 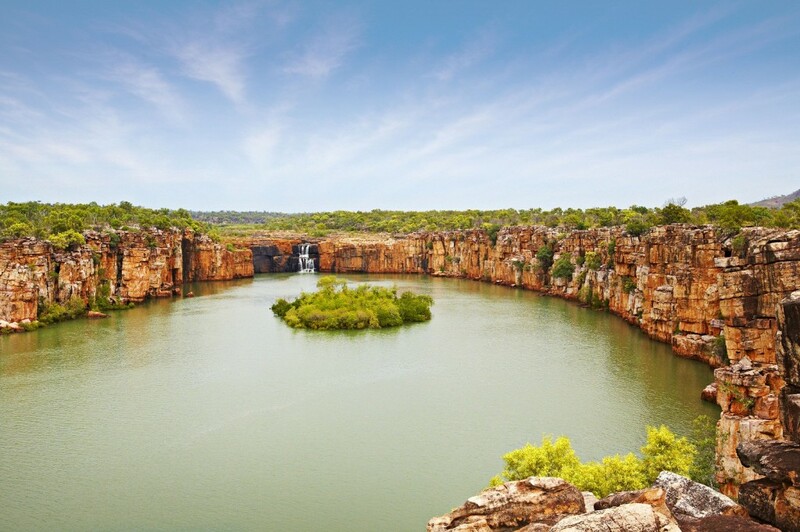 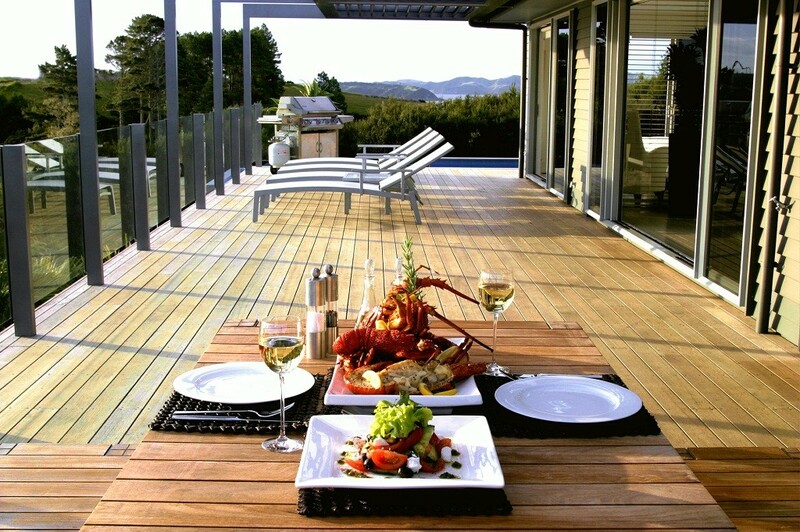 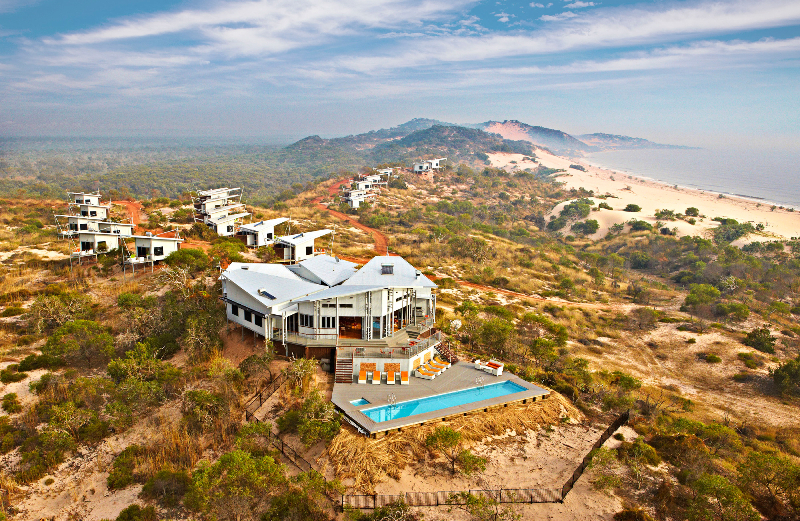 Sample local flavours as rich as the scenery and service as peerless as the coast-to-outback panoramas. 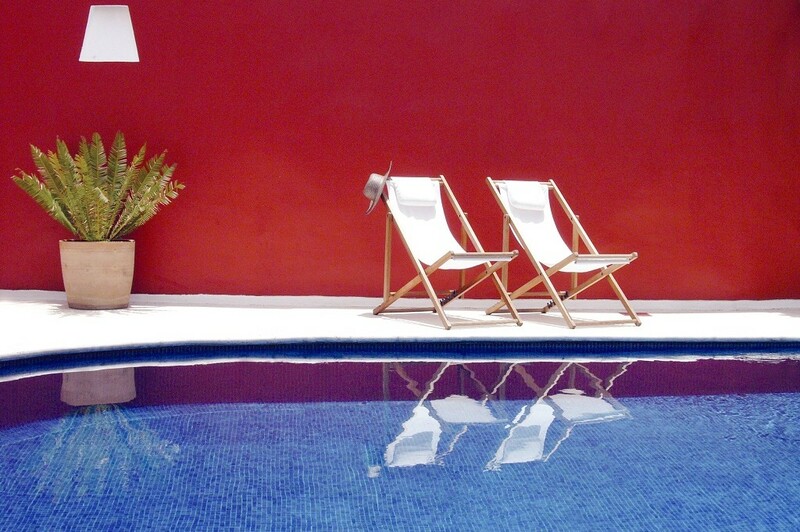 Hotel Bo is situated in the magical place of San Cristobal de las Casas. 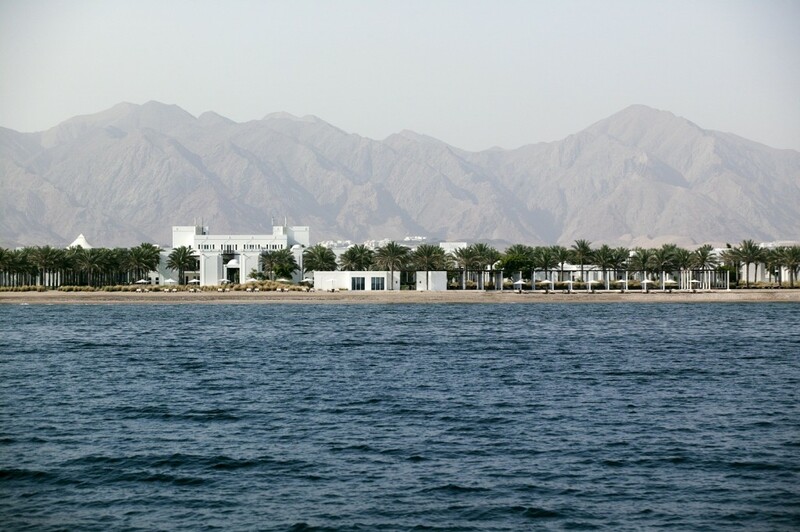 The hotel offers activities for everyone; a walk downtown or eco tourist and adventure outings. 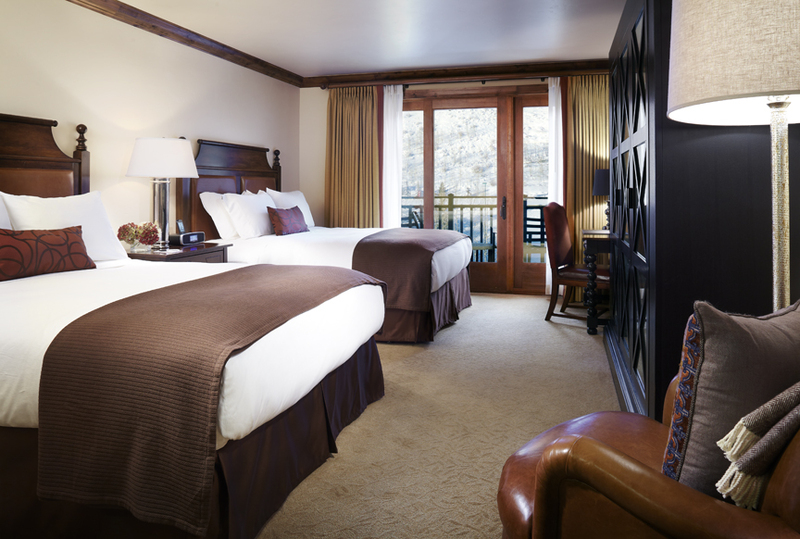 Whether it be business, rest or adventure, Hotel Bo is the best option. 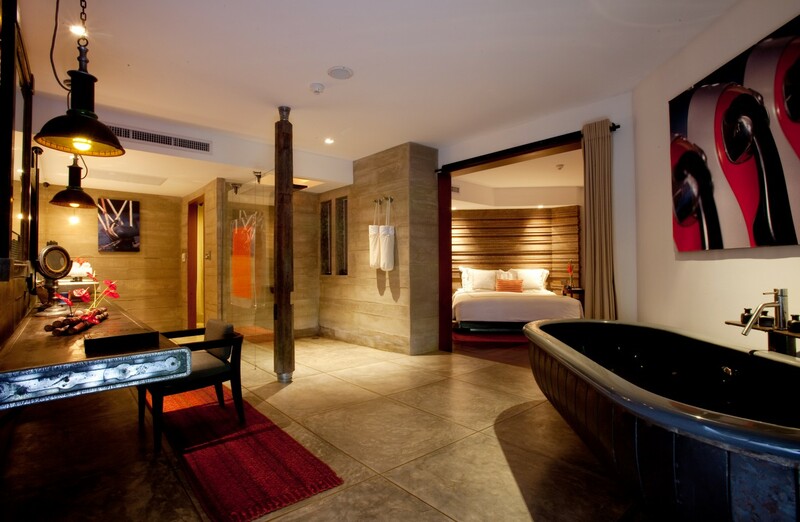 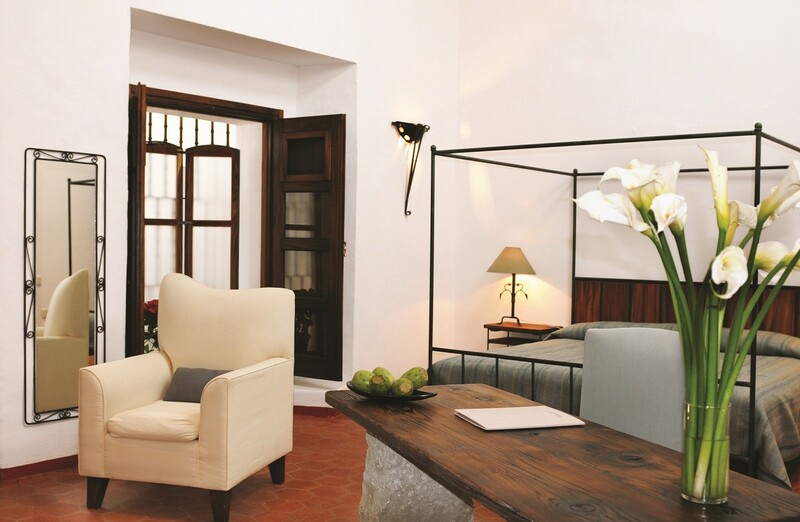 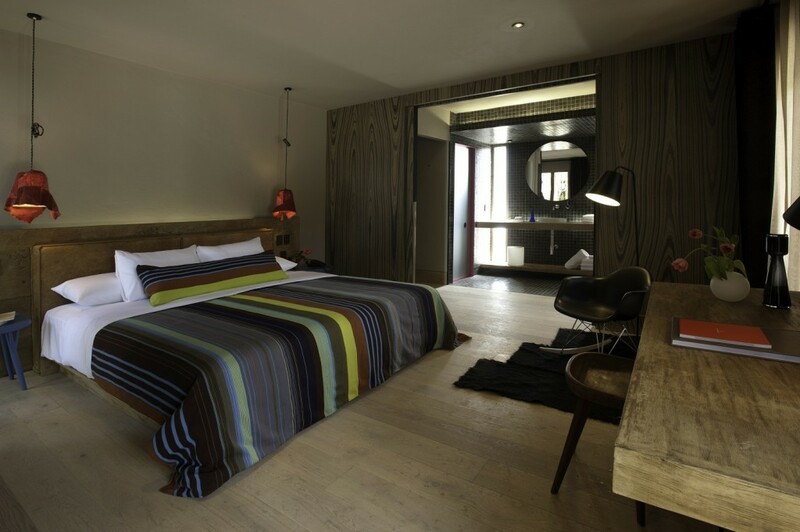 The purpost this hotel conveys is to offer a fresh new look into San Cristobal de las Casas. 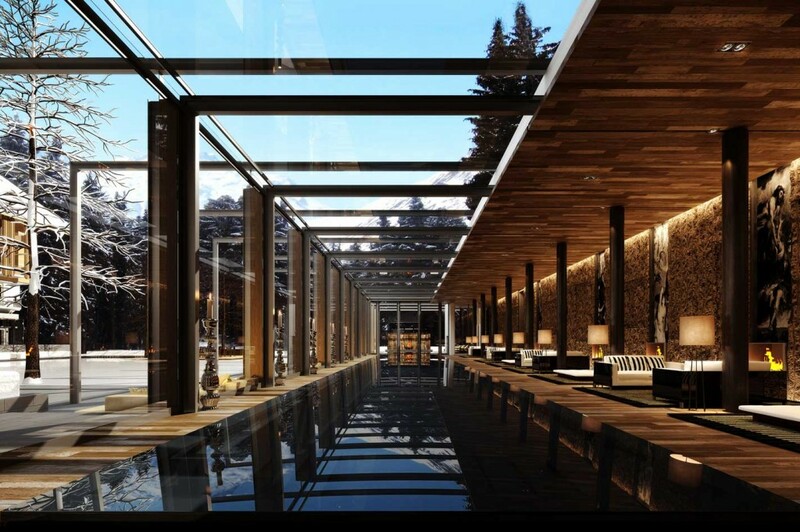 Its design is set to integrate a house concept within a hotel experience without losing the town’s traditions which can be seen throughout each space in the hotel. 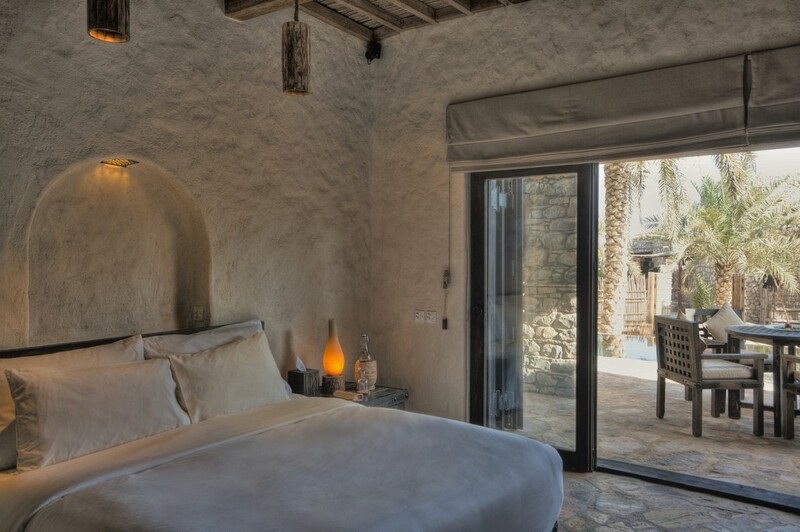 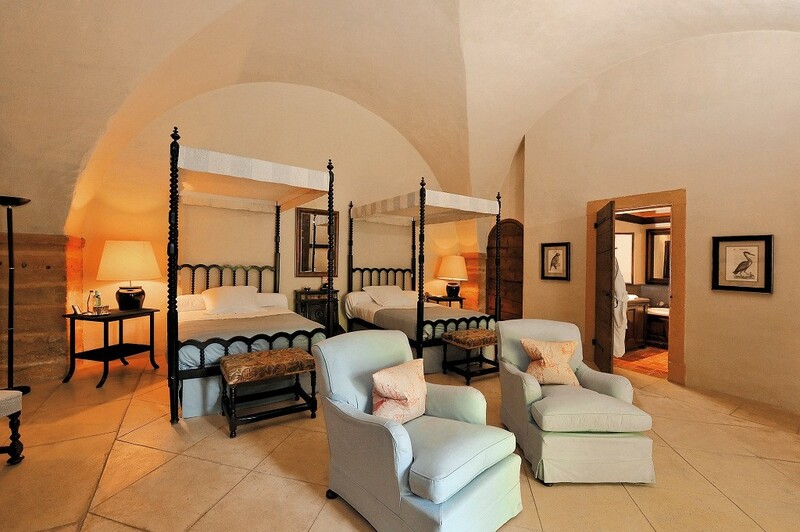 Located in the heart of Oaxaca, Casa Oaxaca has seven rooms, all with limestone-coated walls, profound light and exquisite interior design each with their own contemporary art work. 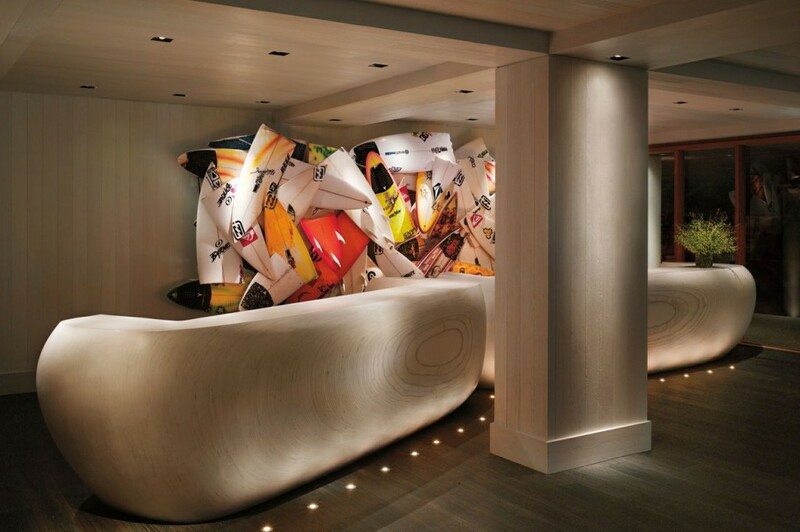 As you walk around you’ll find contemporary art pieces throughout the corridors. 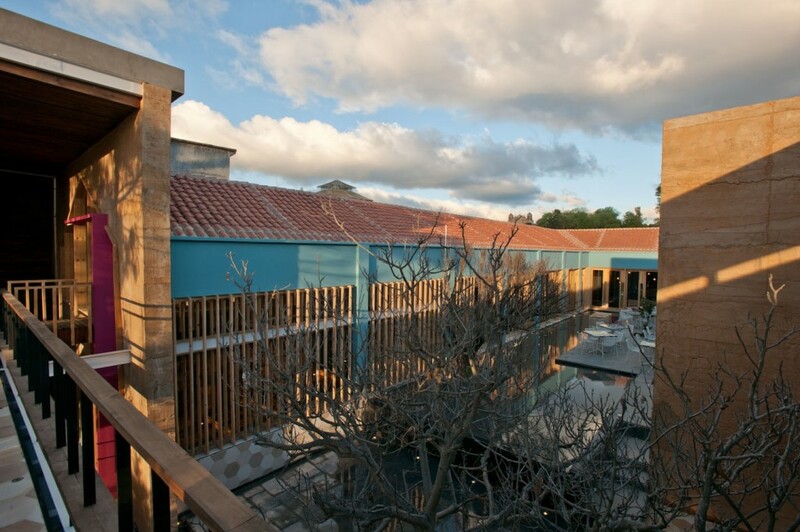 The walls contain the work of local artist known for their contribution to contemporary Oaxaca printmaking. 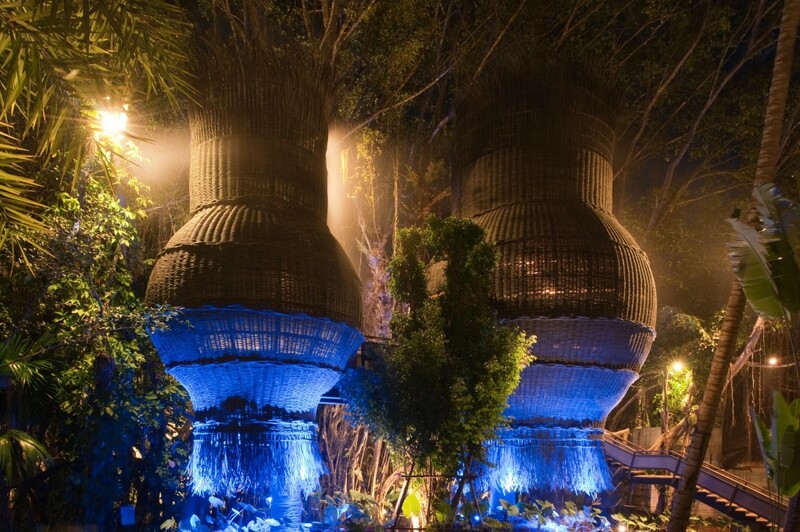 The patios are surrounded by large, ceramic pots from Oaxacan Valley. 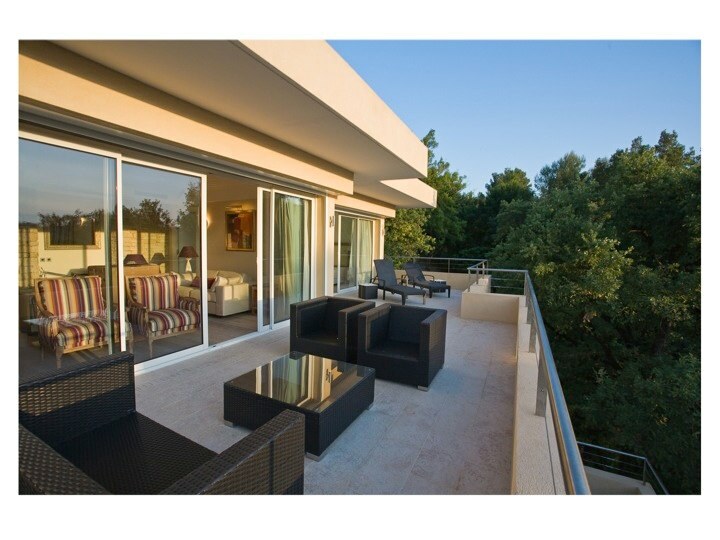 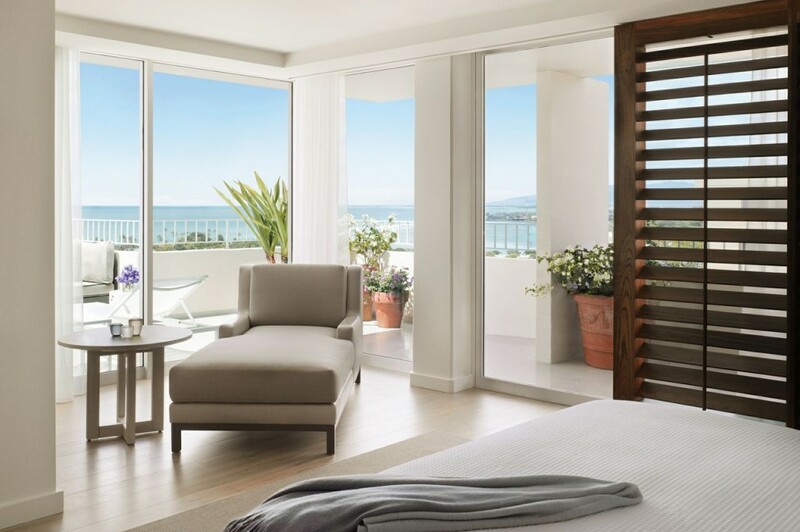 Ideally located on the French Riviera, Le Mas Candille is the perfect place to both enjoy ‘La Croisette” in Cannes and discover the French Riviera from a very quiet location. 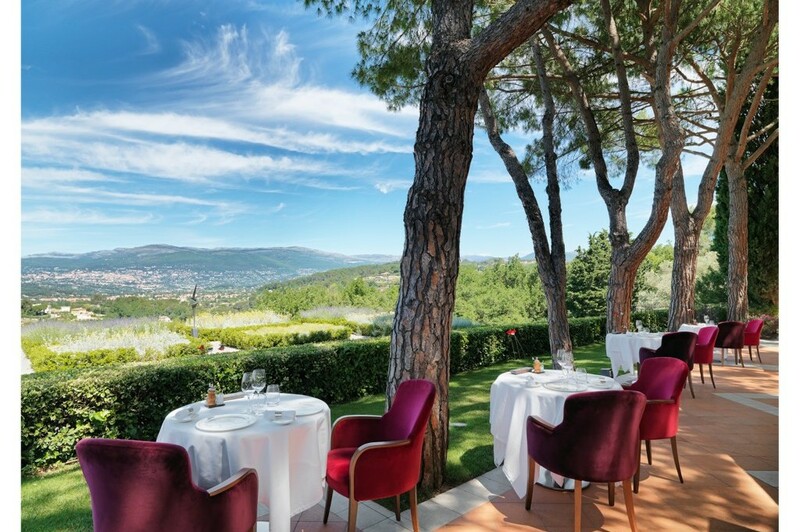 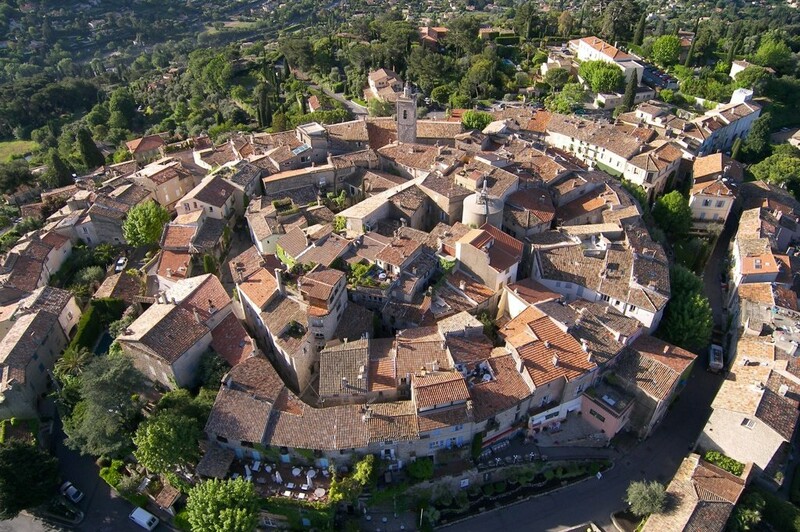 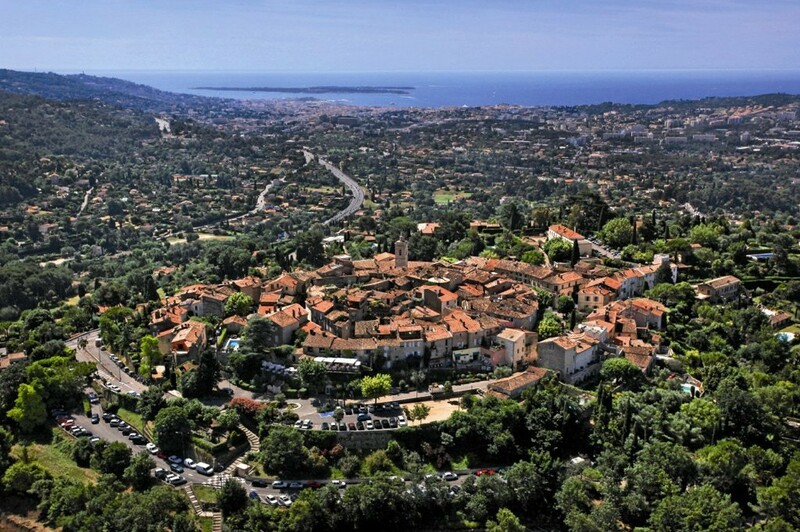 Near Mougins old town, Le Mas Candille is only 7 kilometers from Cannes and 25 kilometers from the Nice-Côte d’Azur international airport. 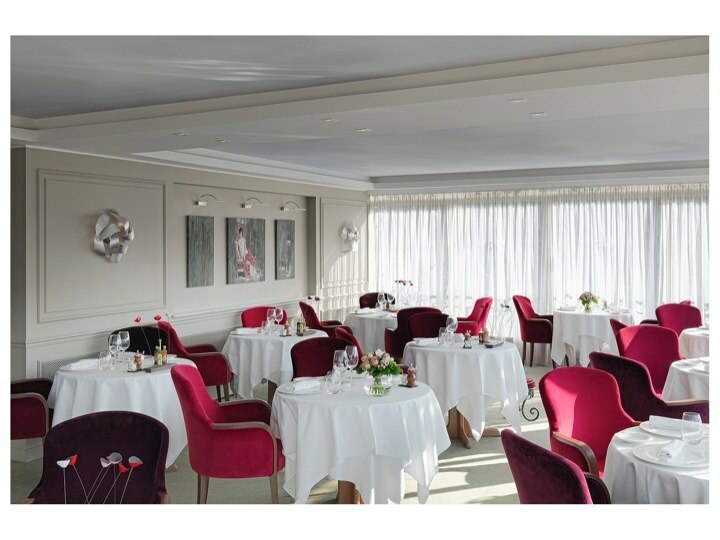 Heading up Restaurant Candille is local ‘chef celèbre’, Serge Gouloumès who always has a smile on his face and loves to share his philosophy of gastronomy. 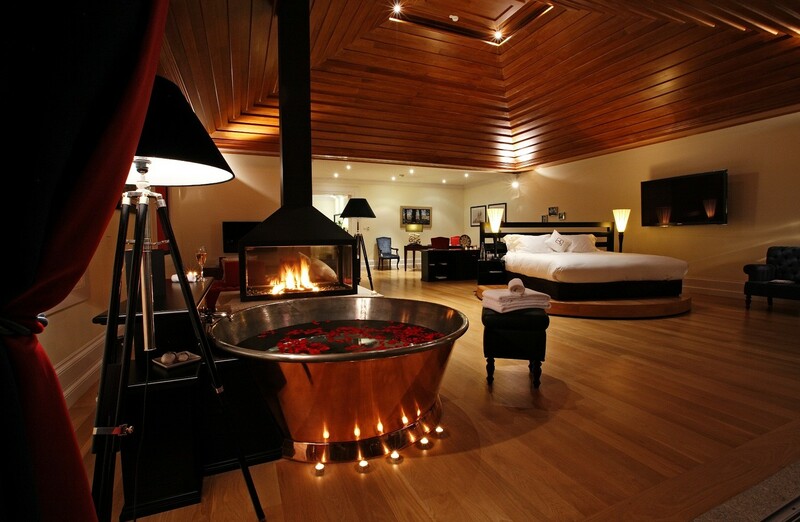 The word ‘passion’ is the very essence of his personality and he is an extremely convivial host. 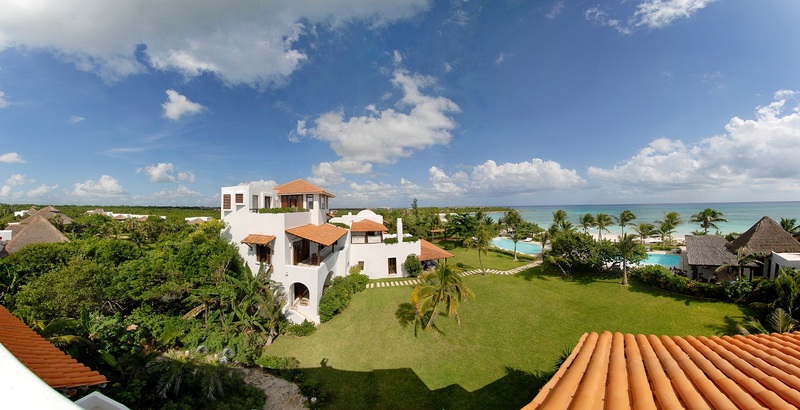 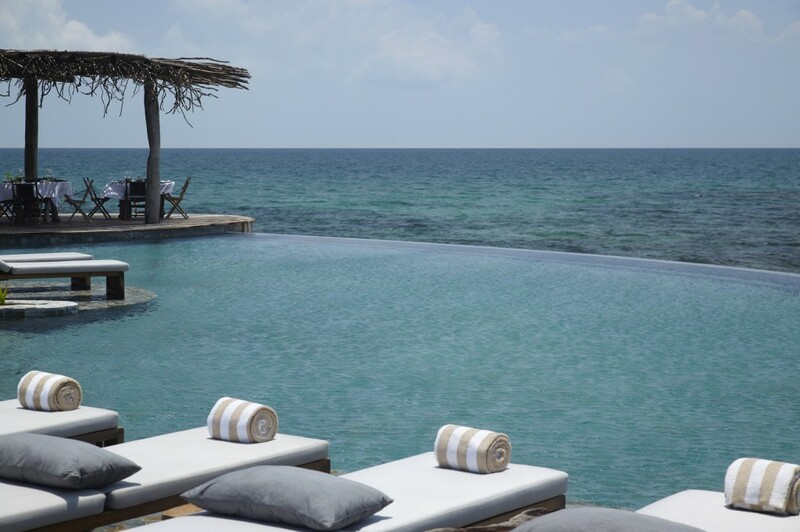 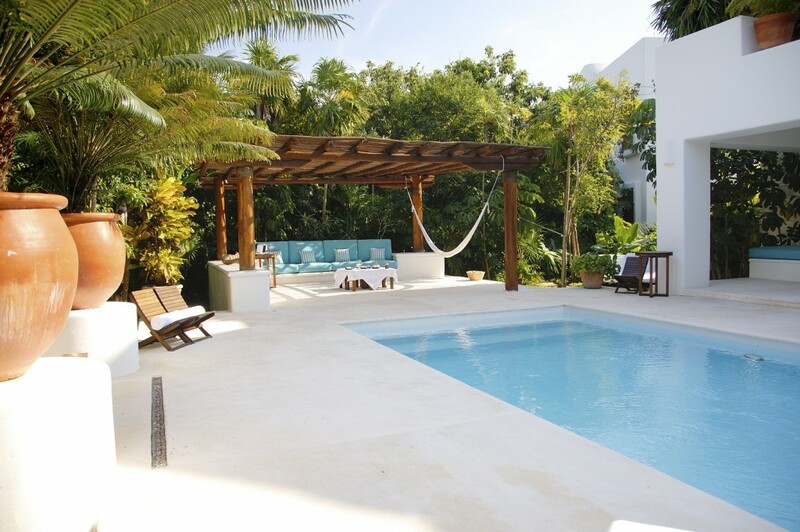 Located along a mile long stretch of Mexico’s best beach, Esencia estate is a quiet, sea side refuge in the Riviera Maya just 20 minutes south of Mayajoba & Playa del Carmen, with Tulum just 25 minutes north. 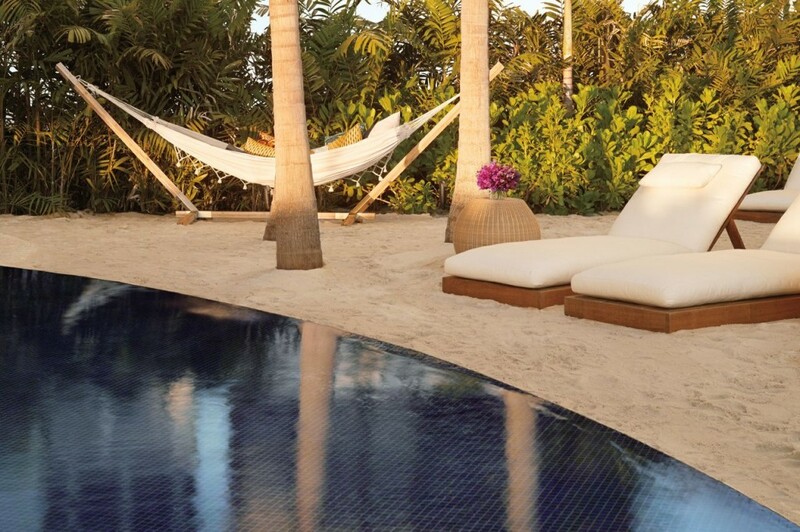 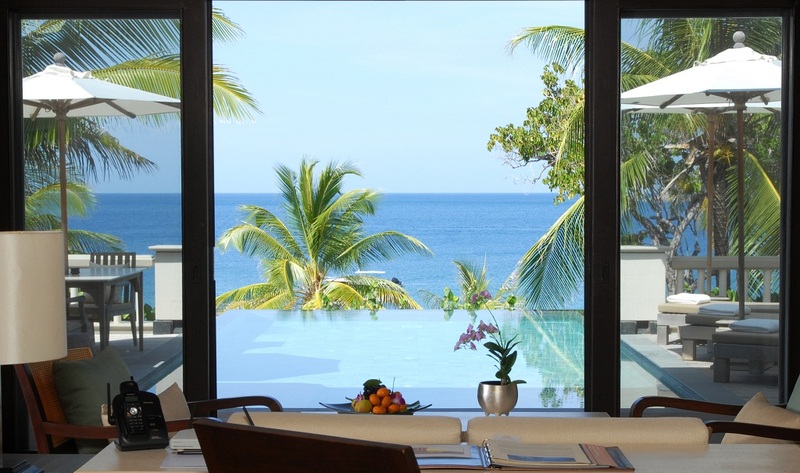 Esencia is a 50 acre private estate, with an awe-inspiring beachfront, two swimming pools, day spa, gourmet restaurant and an indulgent atmosphere fitting of royalty. 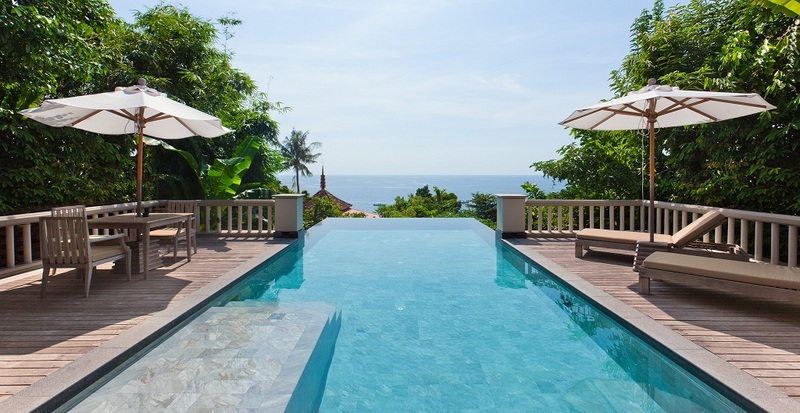 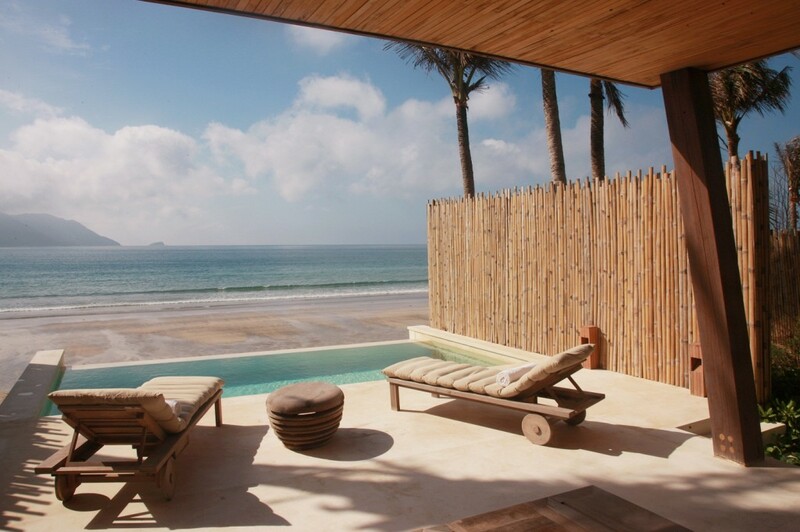 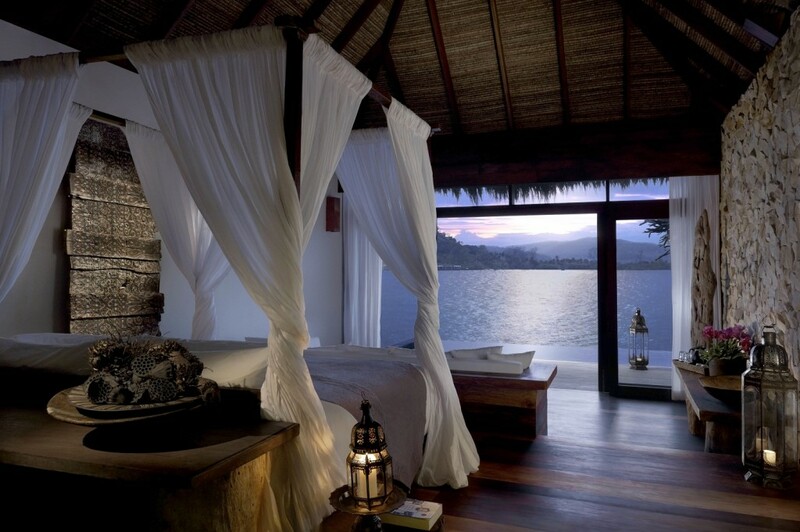 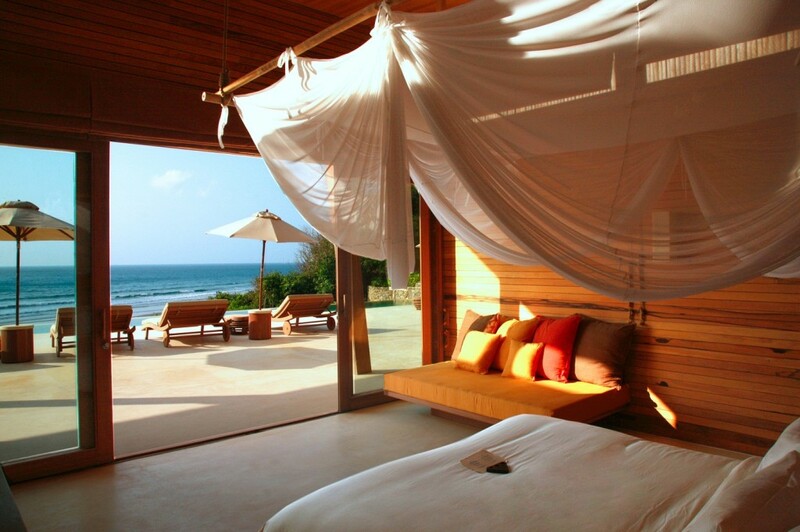 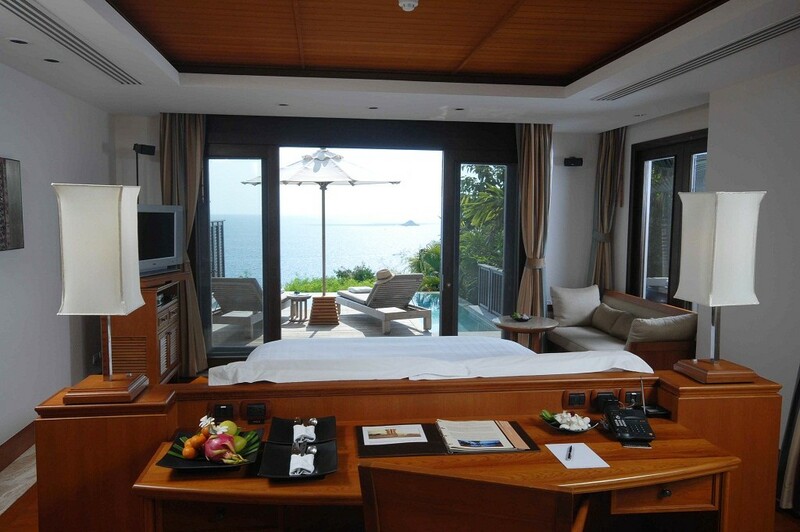 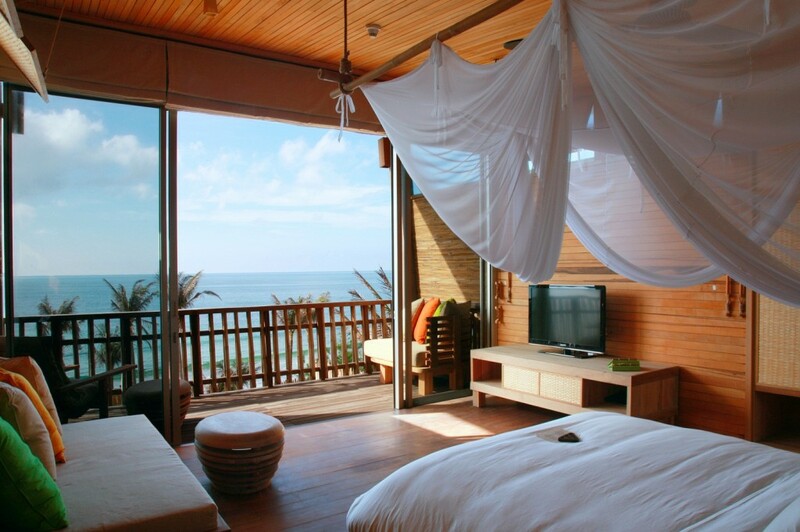 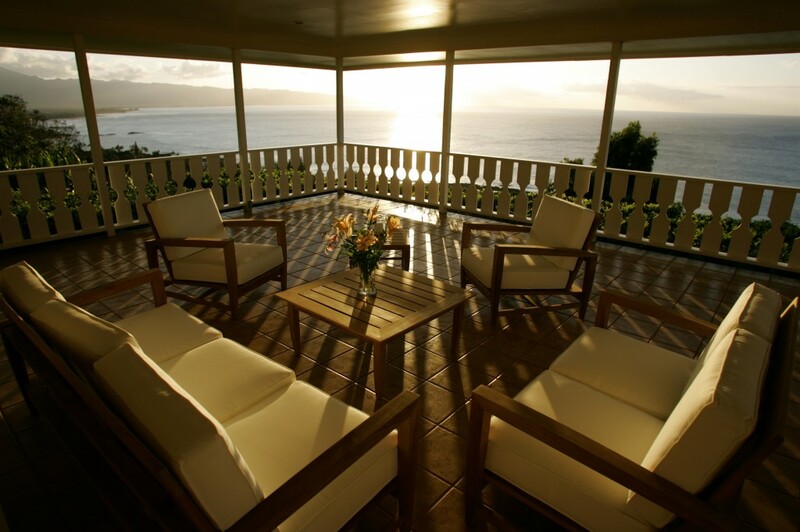 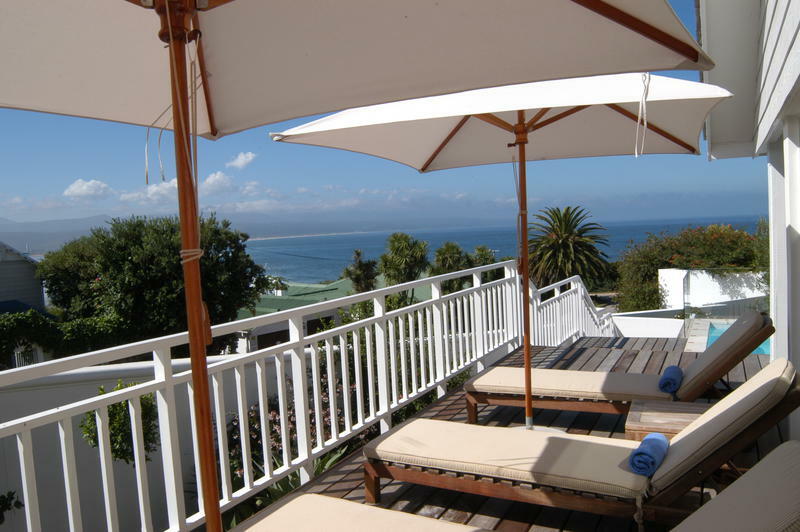 There are 3 room categories; Garden view, Ocean view and Cottages. 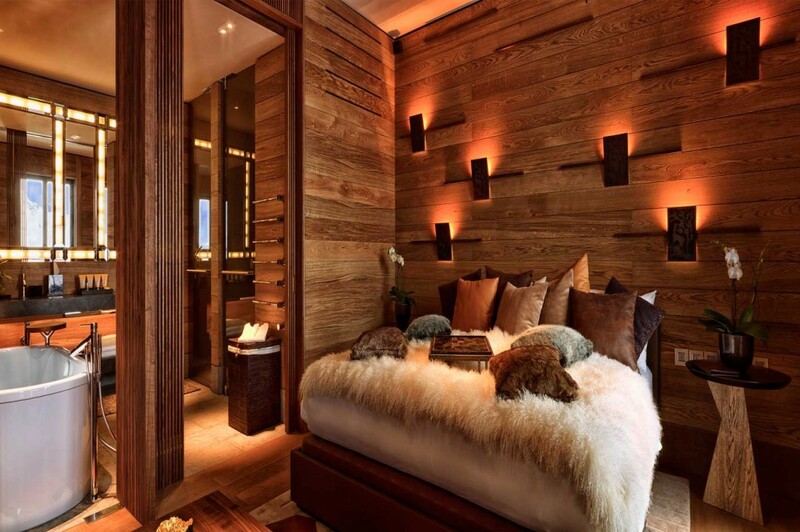 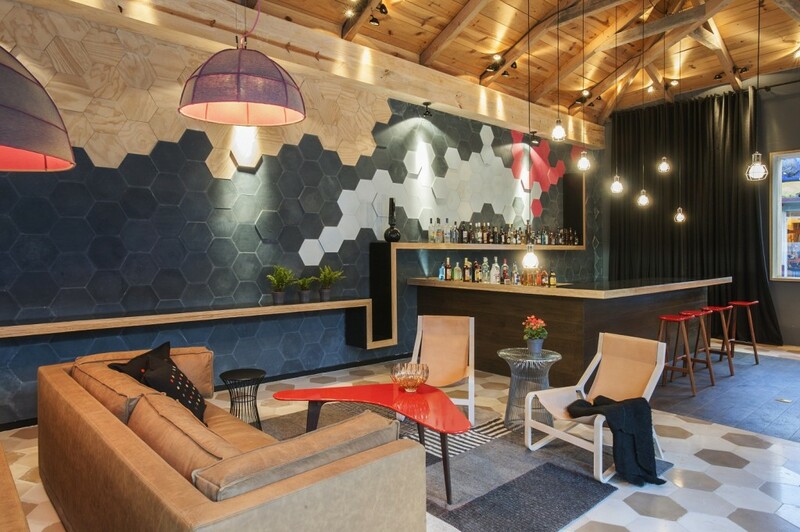 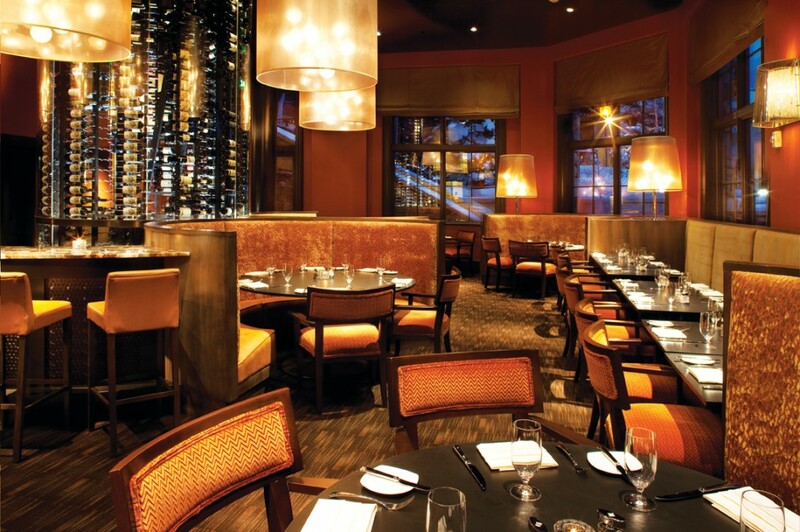 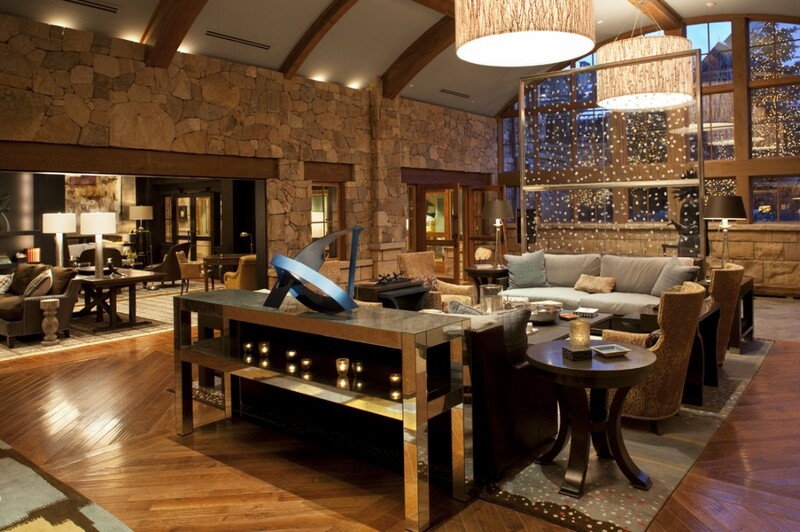 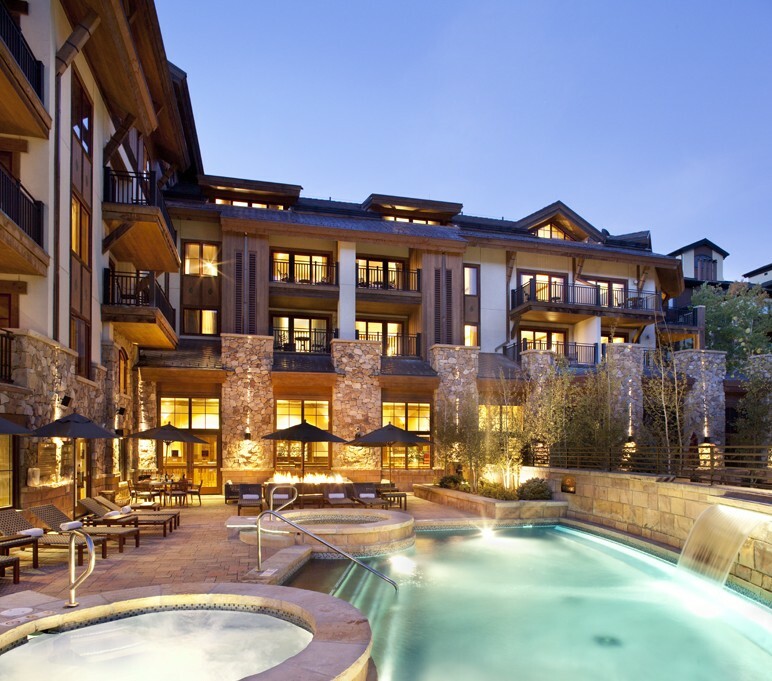 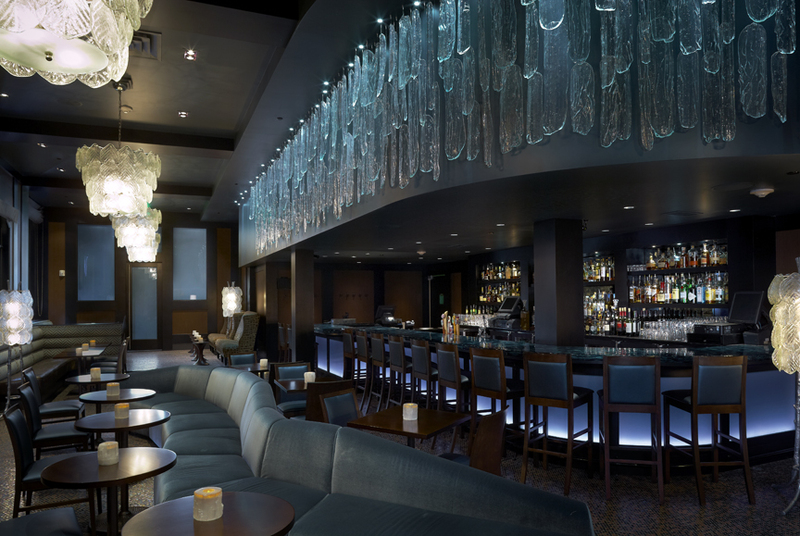 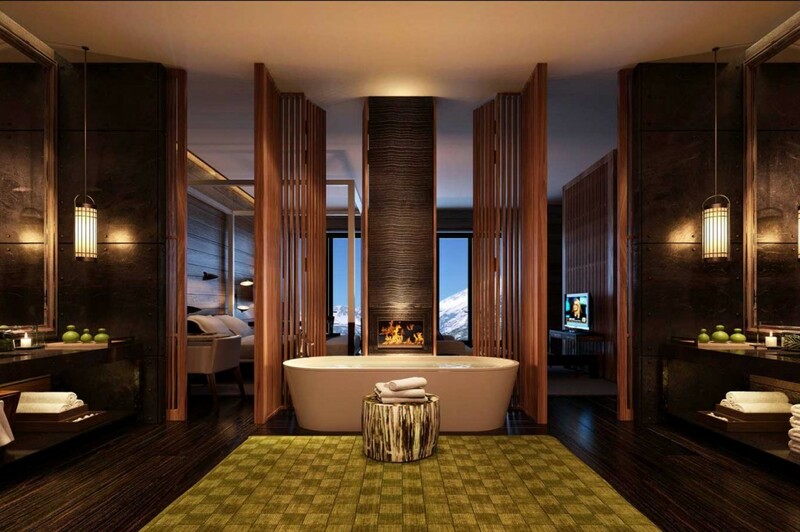 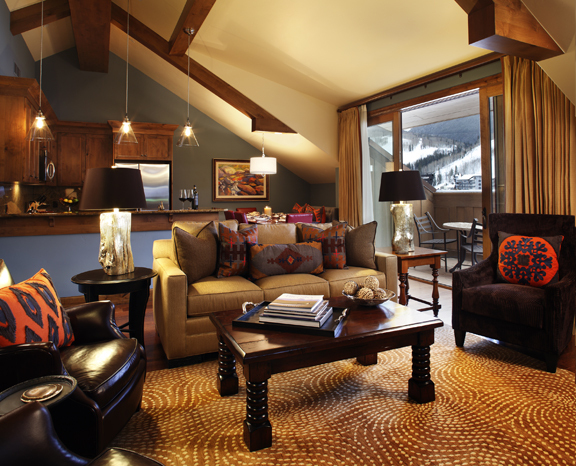 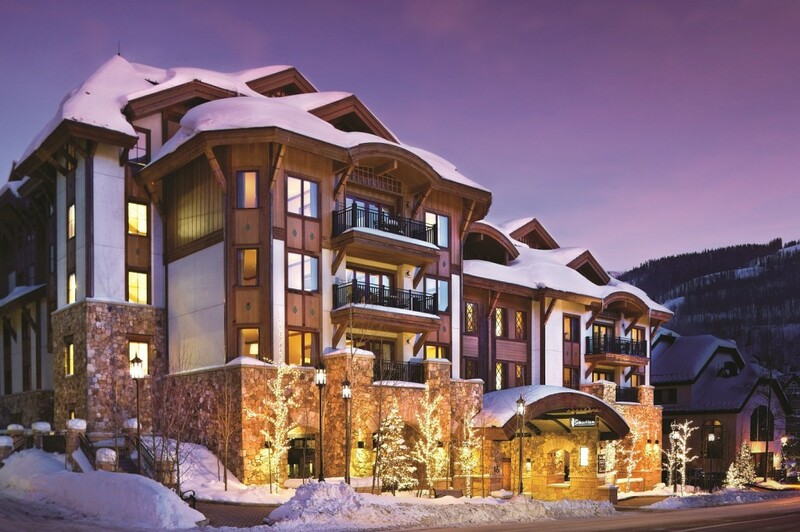 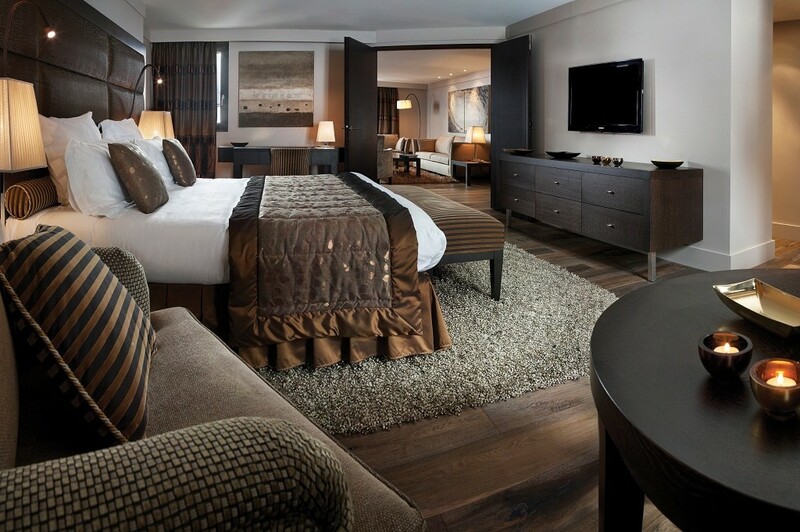 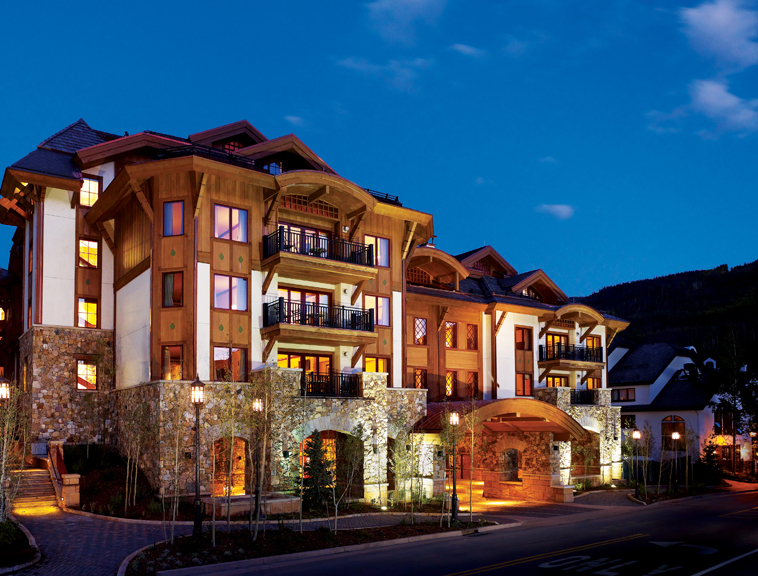 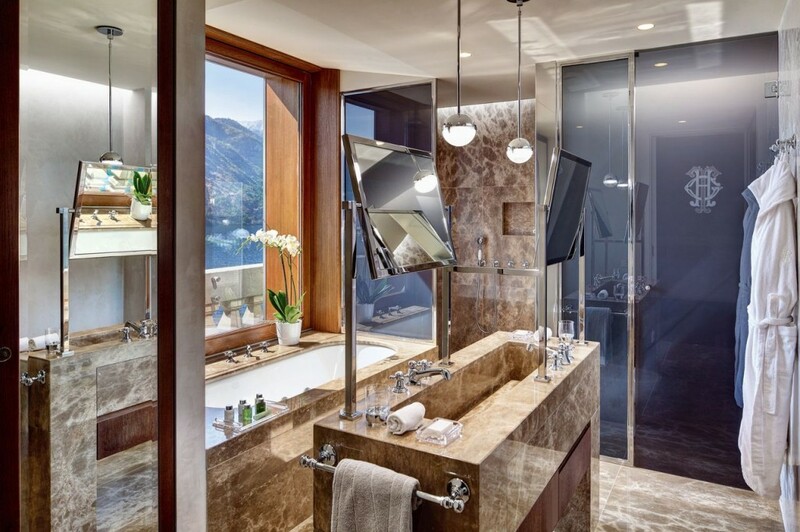 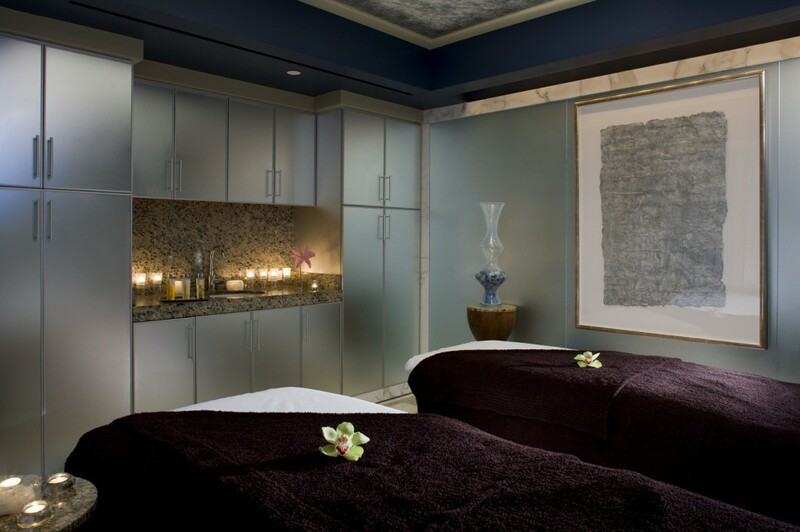 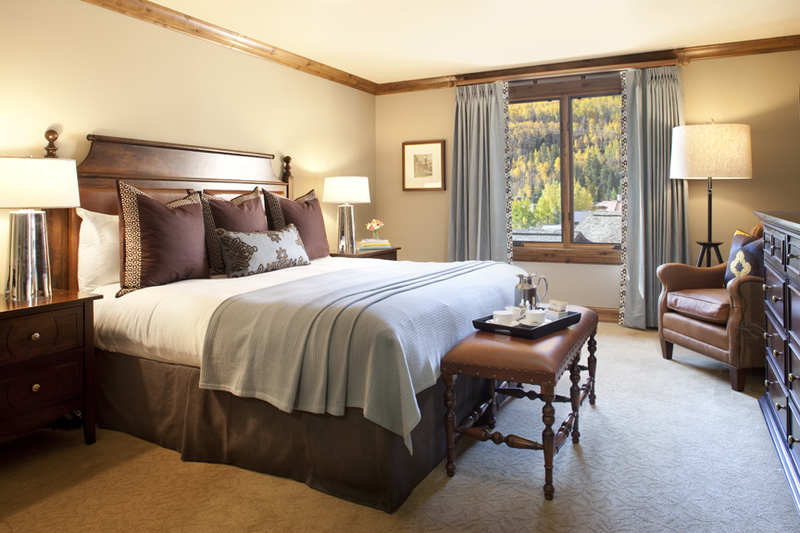 Located in the heart of Vail Village and rated top Colorado Resort, by Travel + Leisure 2013 World’s Best Awards, The Sebastian is Vail’s hottest boutique hotel offering a modern and playful sophistication found nowhere else in Vail. 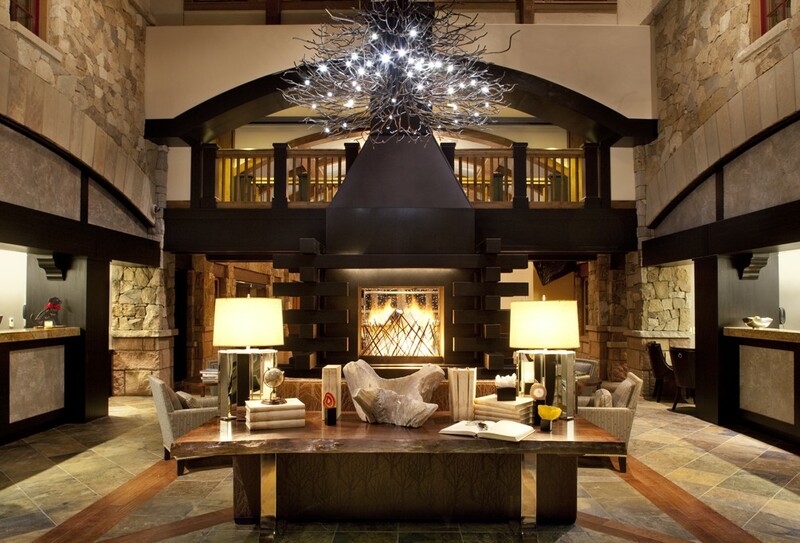 Highlights include a mountain-view pool with roaring fire put and steaming hot tubs, Base Camp at the foot of Gondola #1 offering ski in/ski out access to Vail Mountain, progressive bar, dining and lounge concepts and Battle Mountain Kids Camp for kids aged between 7-12. 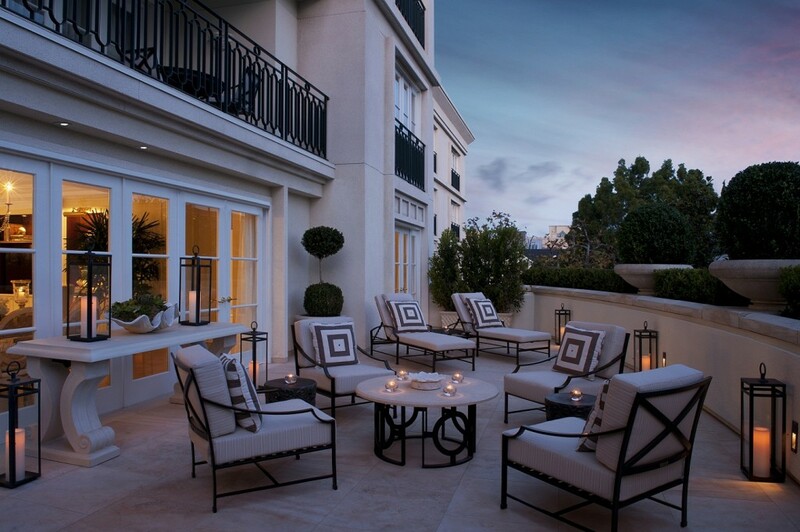 With one of Southern California’s most desirable addresses, The Peninsula Beverly Hills resembles an exclusive private residence built in classic renaissance style. 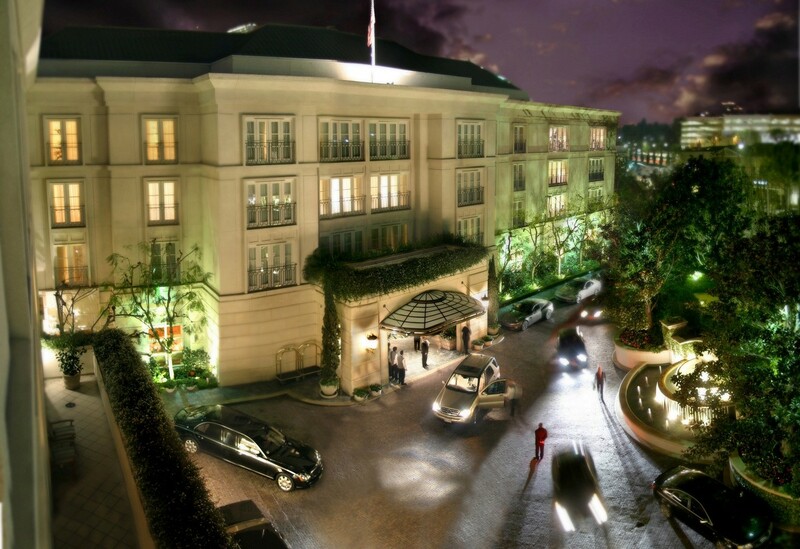 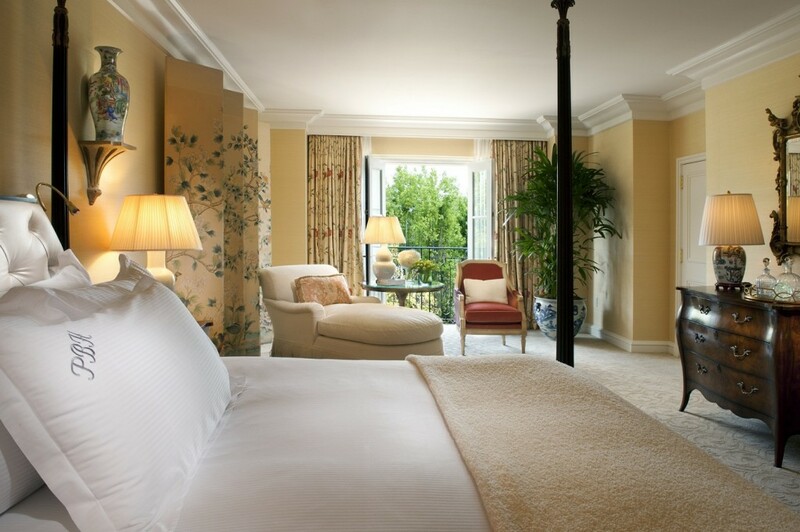 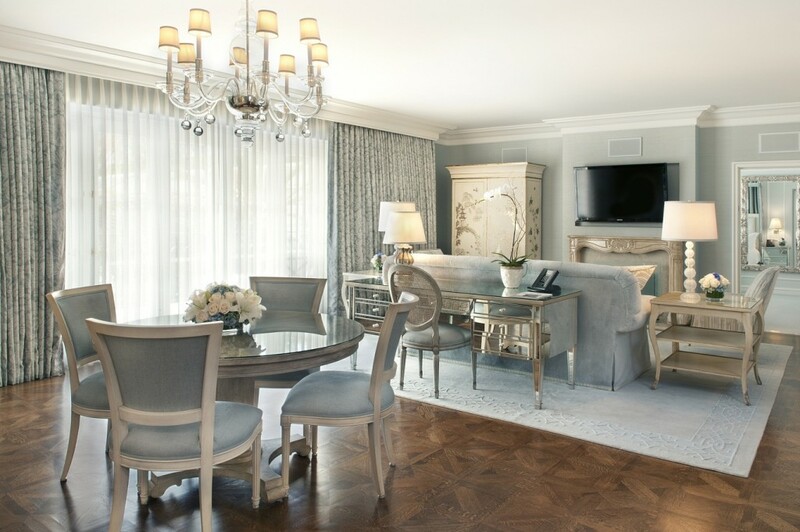 The only AAA Five Diamond and Forbes Five Star rated hotel in Southern California for 20 consectutive years, this iconic luxury hotel offers 194 elegantly appointed rooms, suites and private villas. 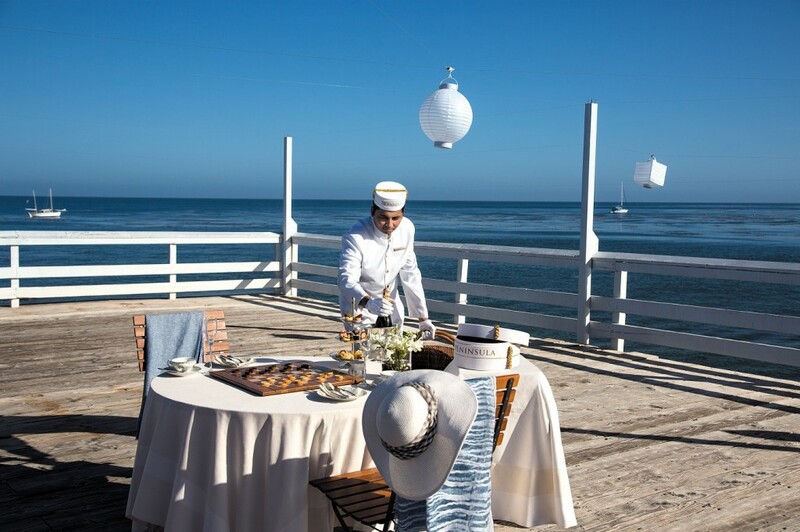 Indulge in the award winning Peninsula Spa and experience extraordinary dining at The Belvedere Restaurant – the only AAA Five Diamond restaurant in Los Angeles for 18 consectutive years. 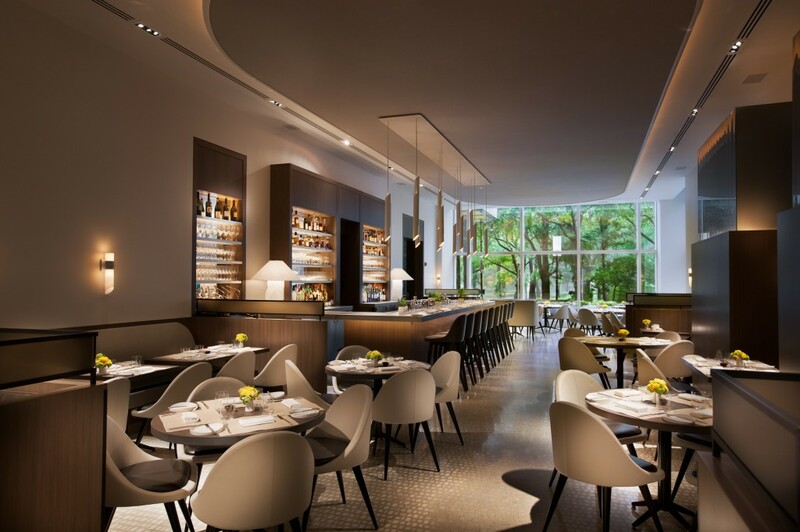 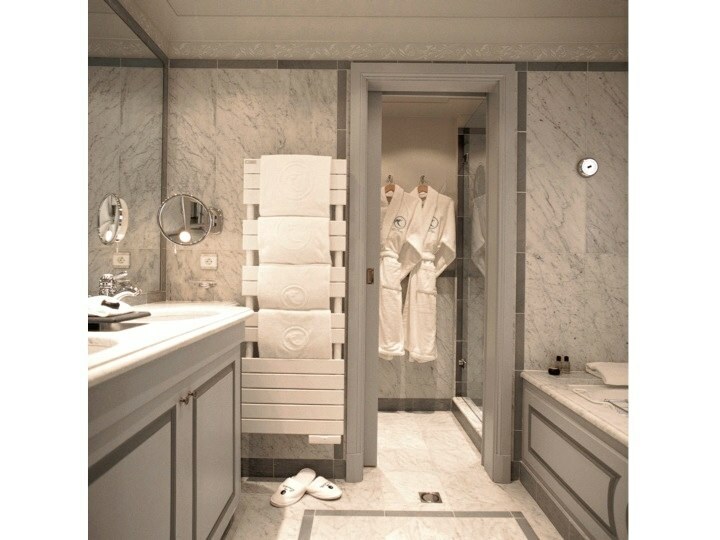 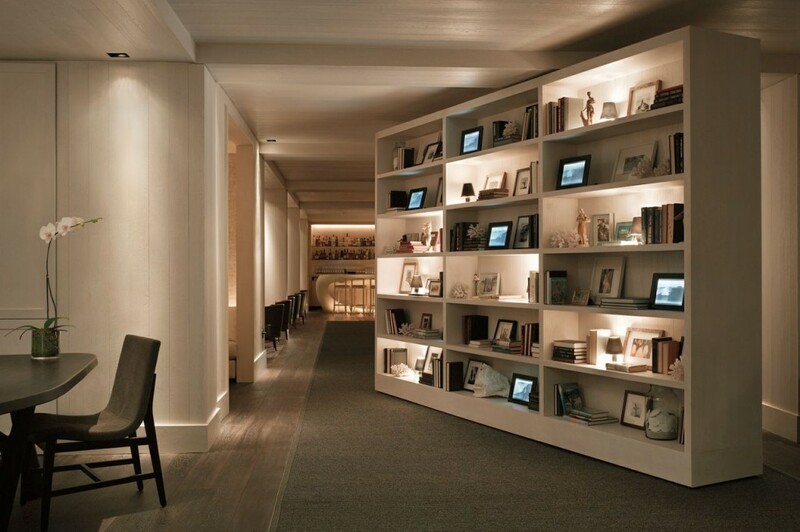 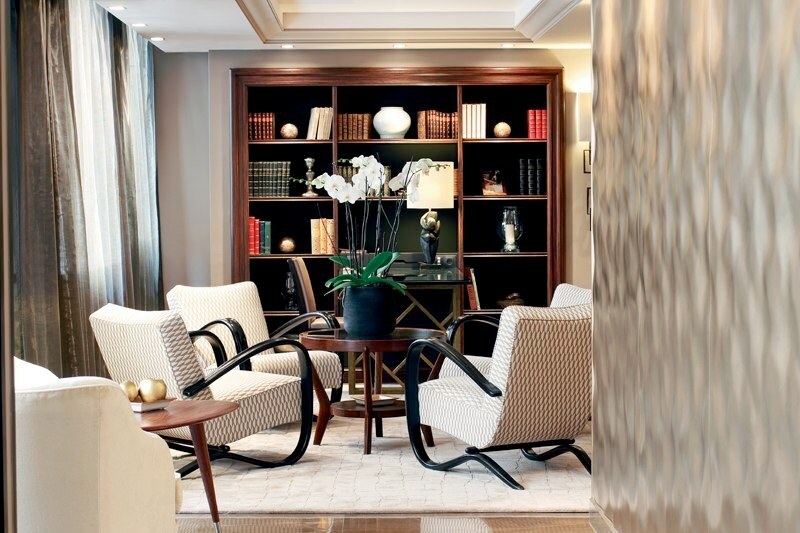 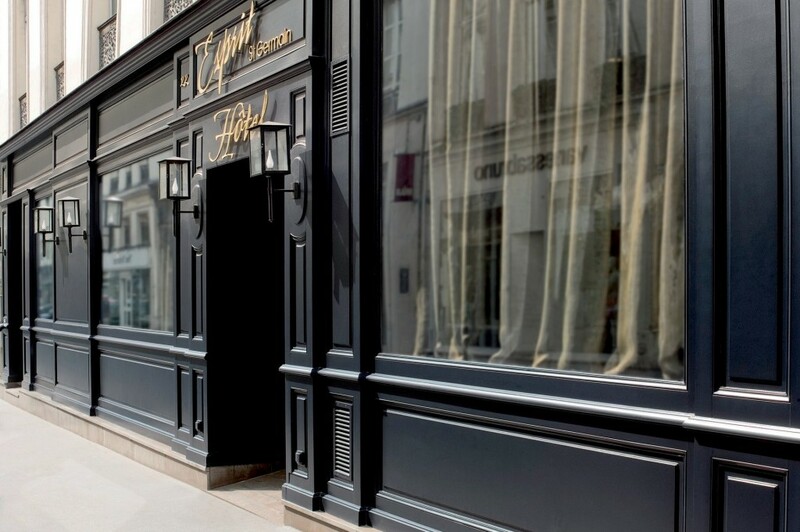 Hotel Esprit Saint Germain has been designed along the lines of a private residence. 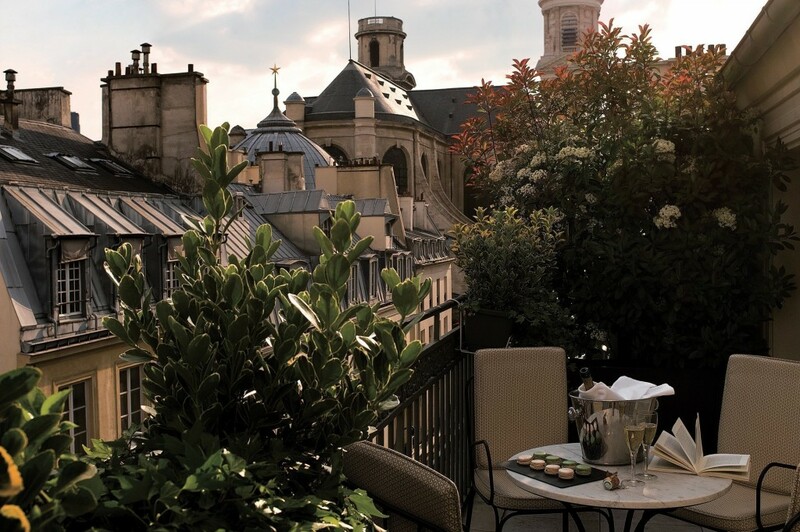 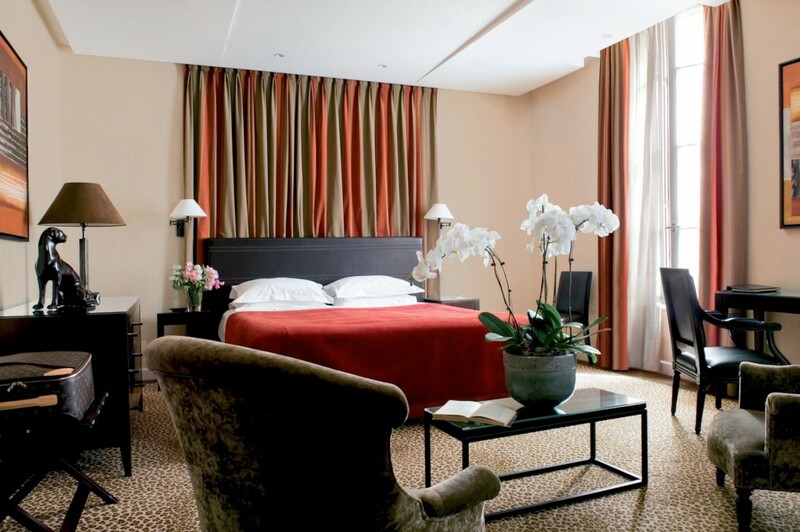 Ideally situated in the heart of Paris, on the Left Bank in Saint Germain Des Pres. 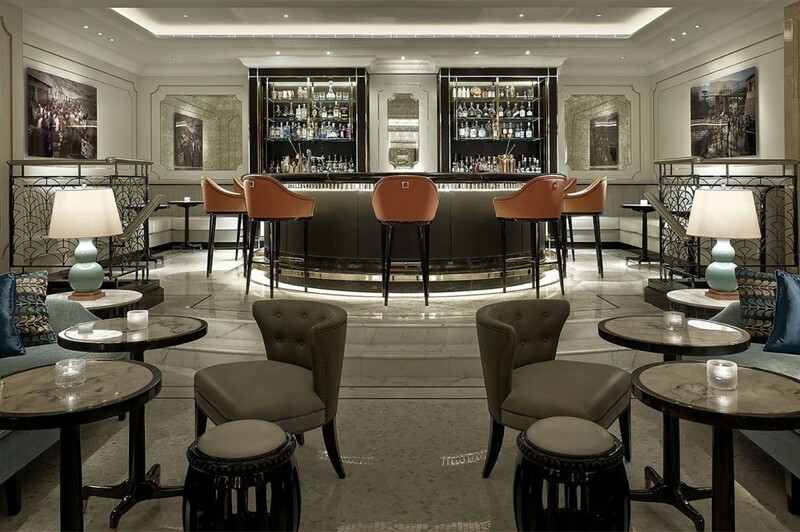 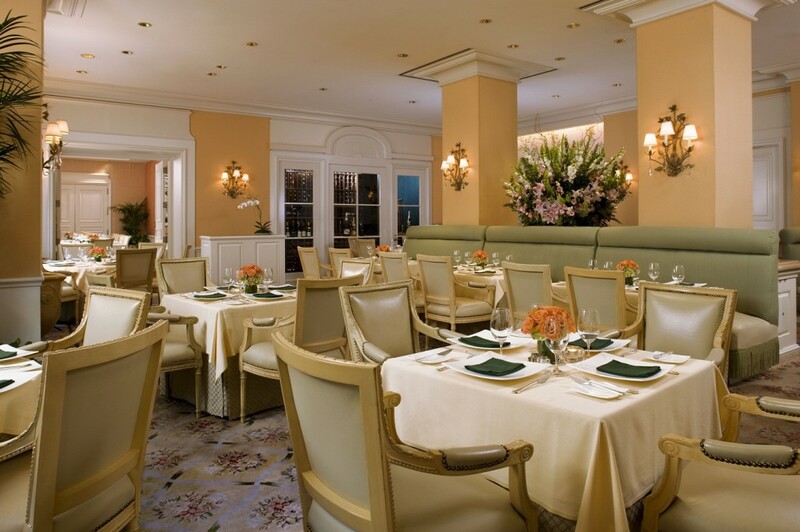 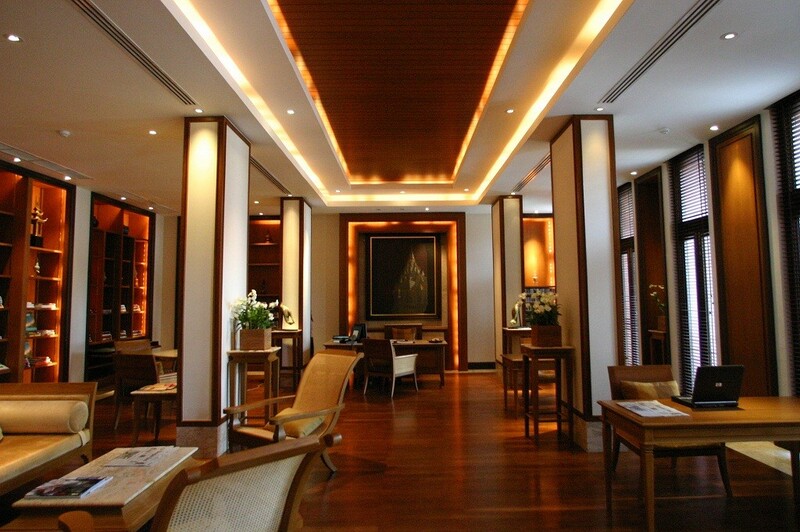 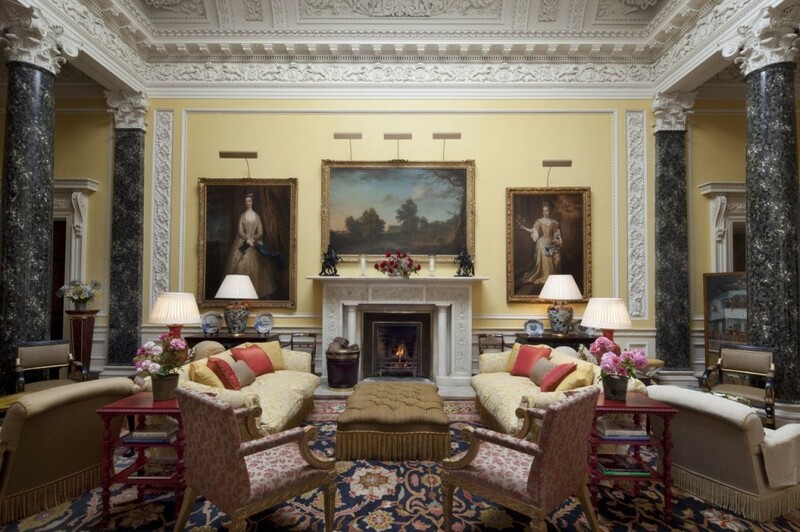 Nothing ostentatious, just an elegant, convivial atmosphere of comfort and refinement. 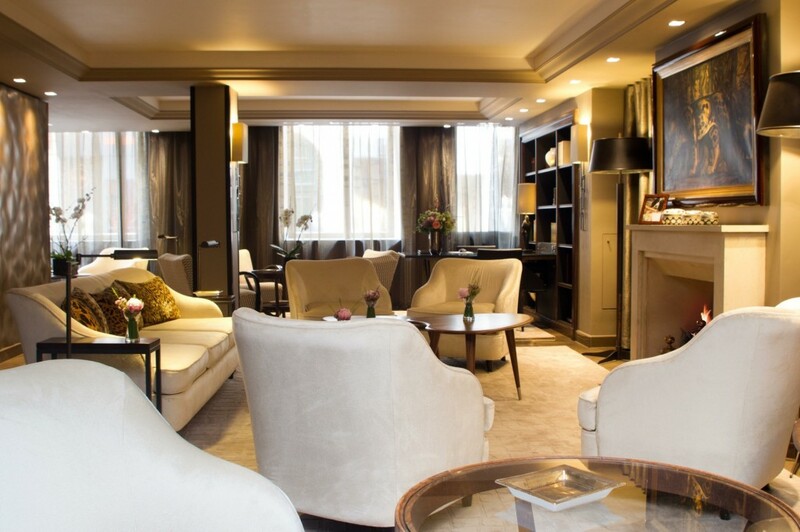 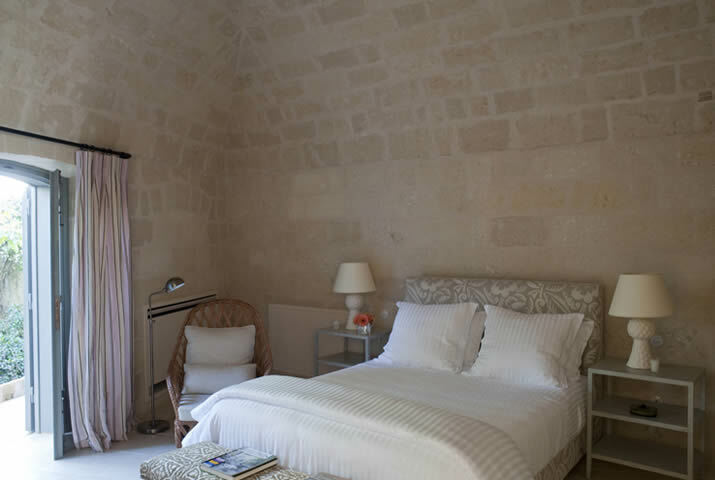 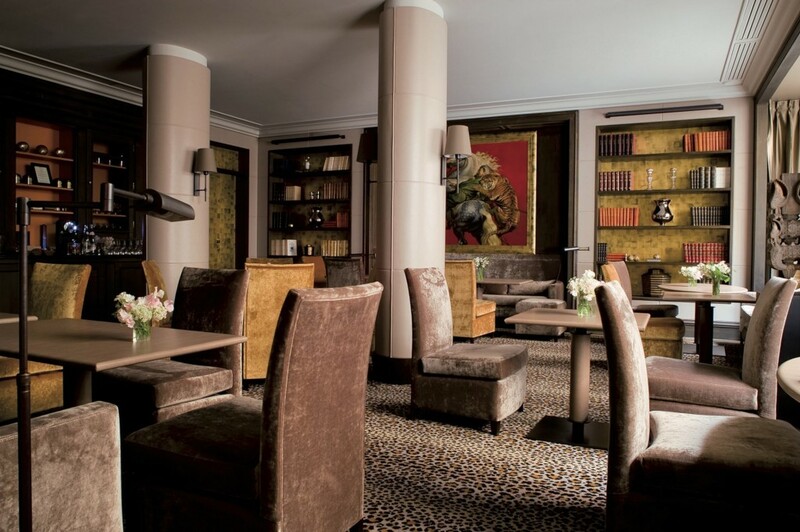 This is a very Parisian, very intimate and warm boutique hotel, stunningly designed with real loving care put into each of its 28 rooms and lounge. 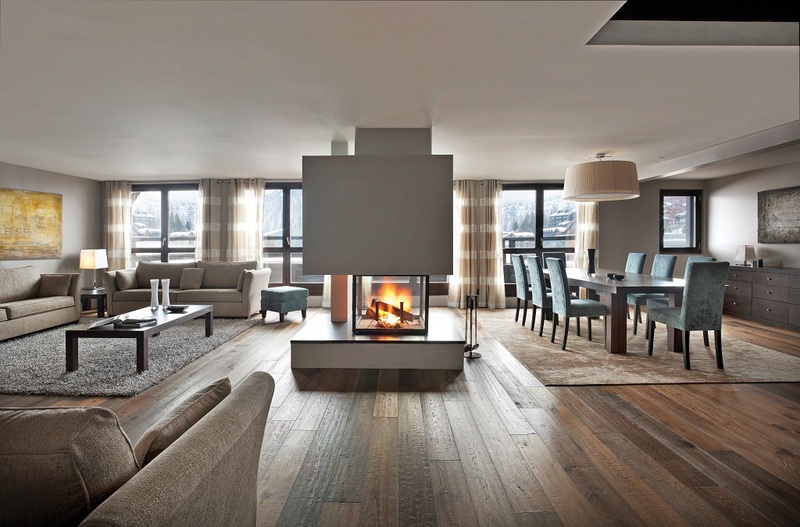 Clients are welcomed as if they were guests in a friend’s home with a personalized and dedicated service, enjoying complimentary drinks anytime during their stay sitting in the living room by the fireplace. It is just what you imagine a French hotel should look like. 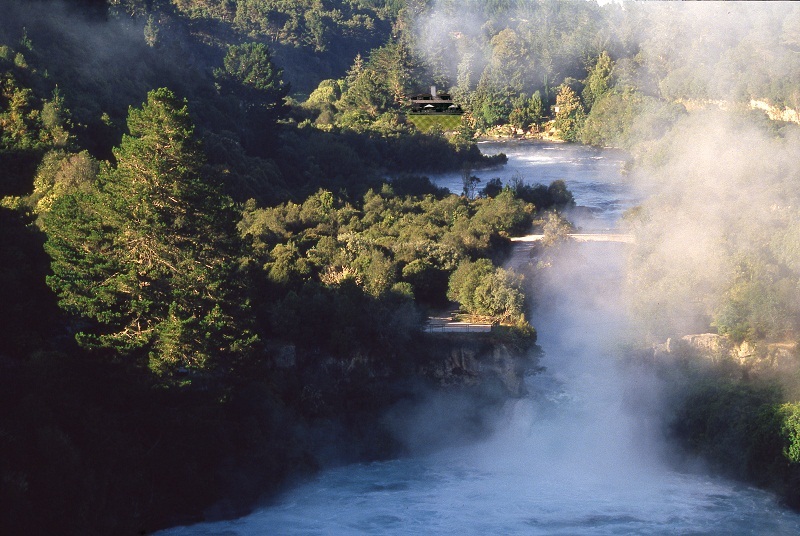 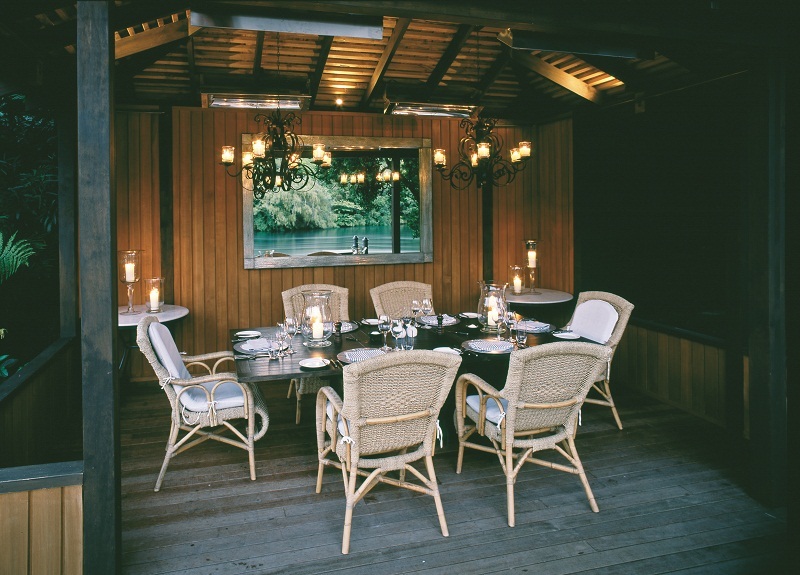 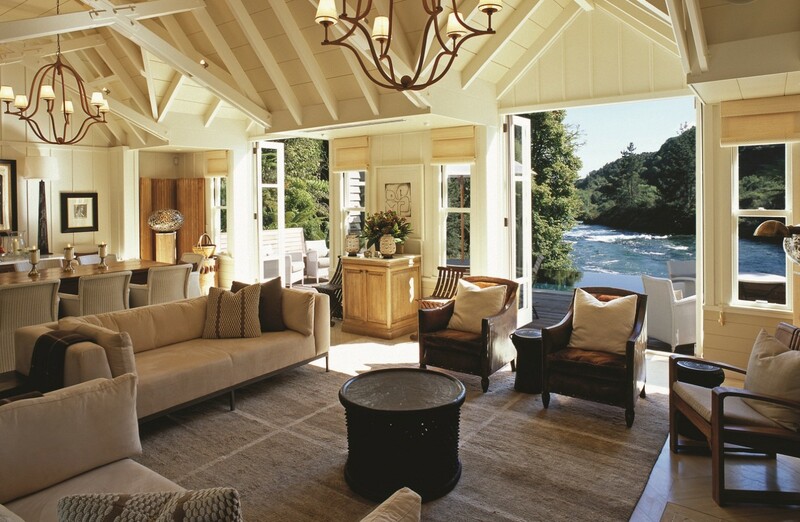 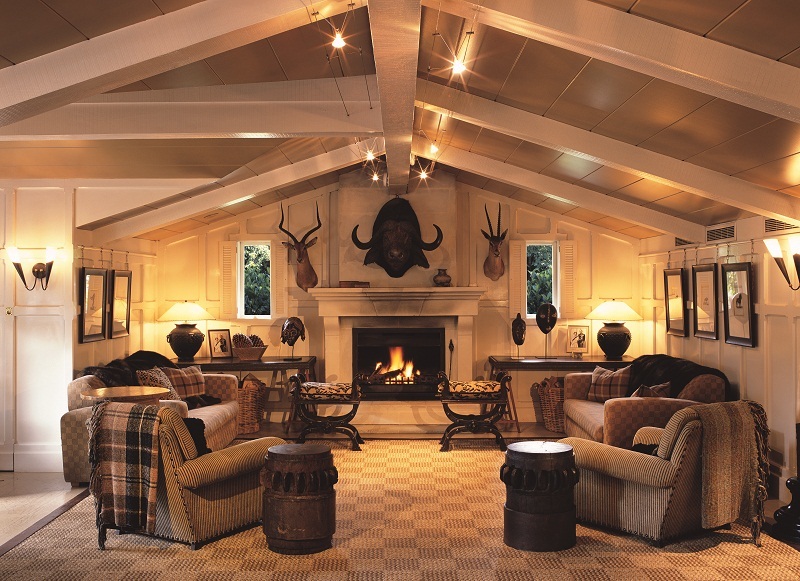 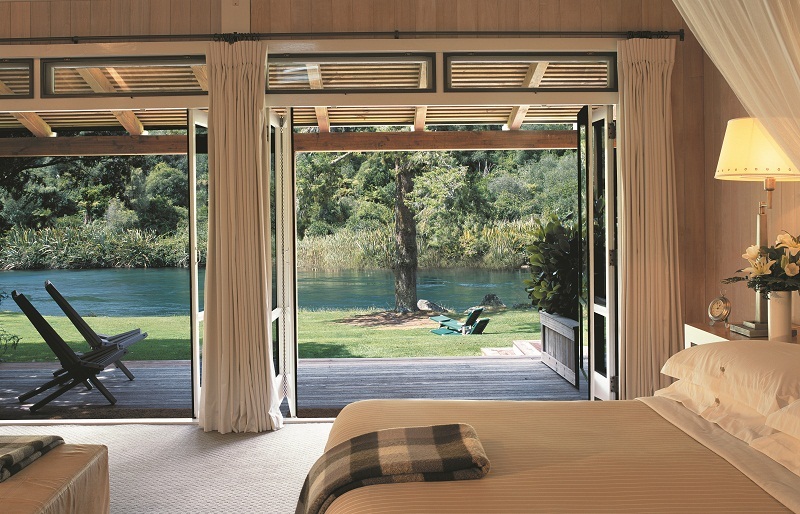 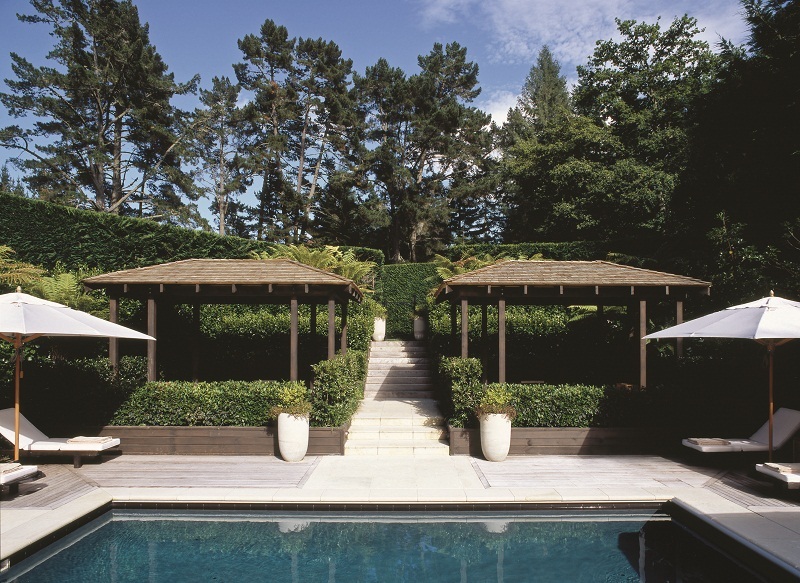 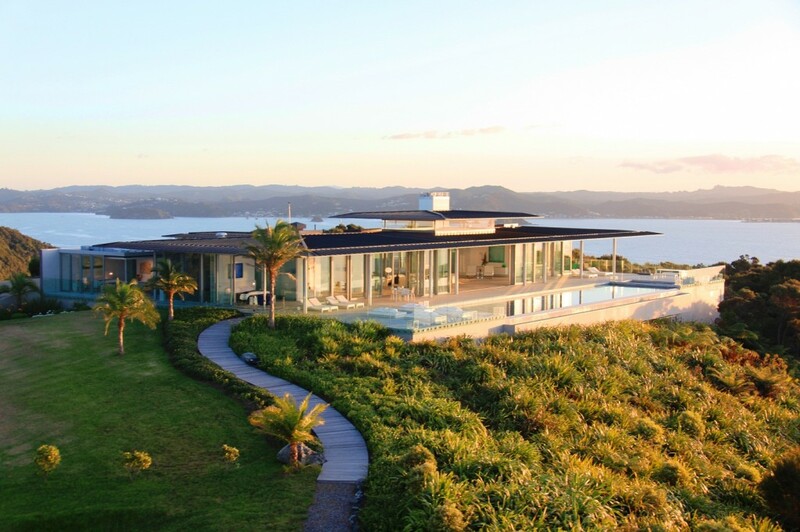 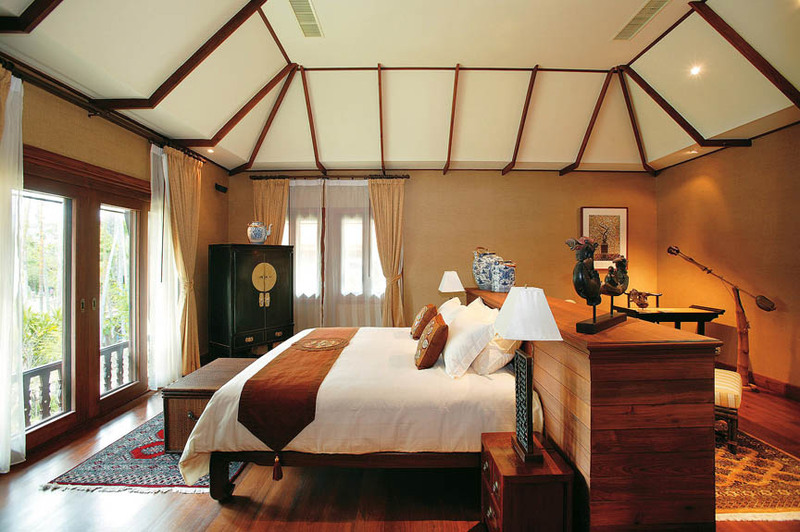 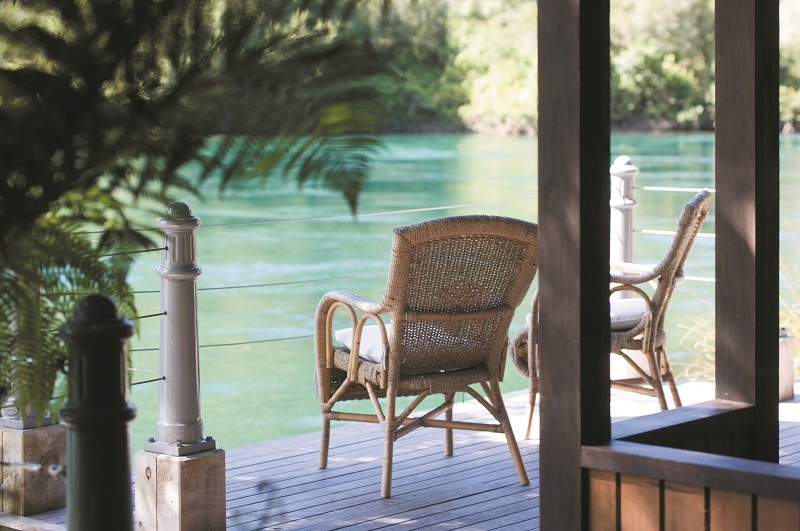 Huka Lodge invite you to enter a world where elegant and generous hospitality meets sophistication and style – creating a welcoming haven, whose reputation and awards are richly deserved. 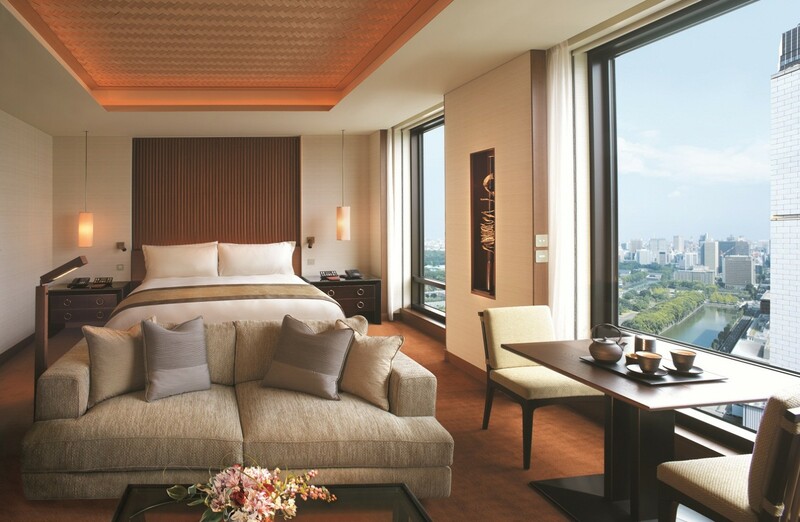 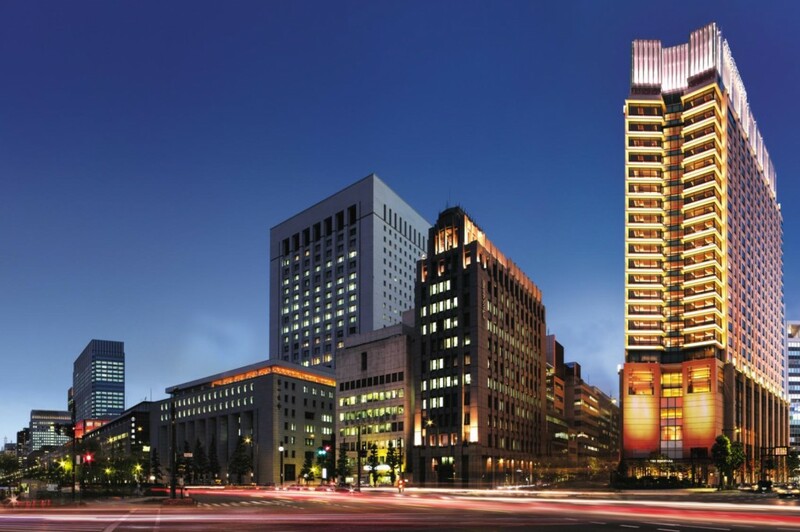 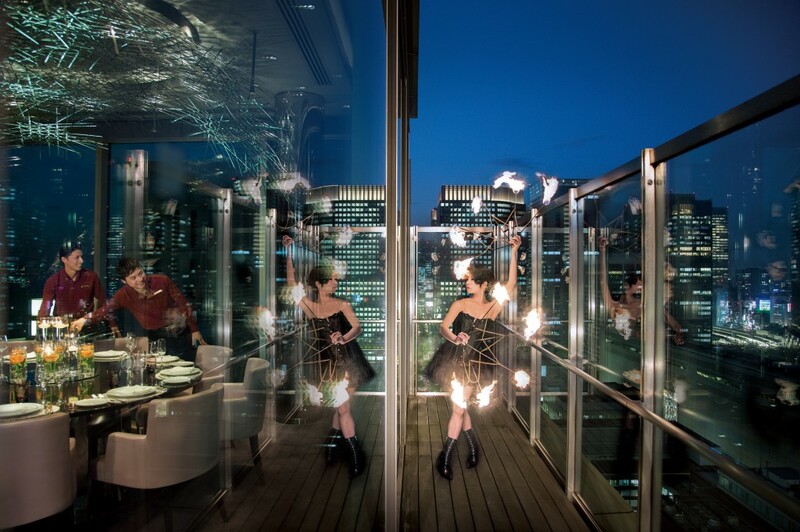 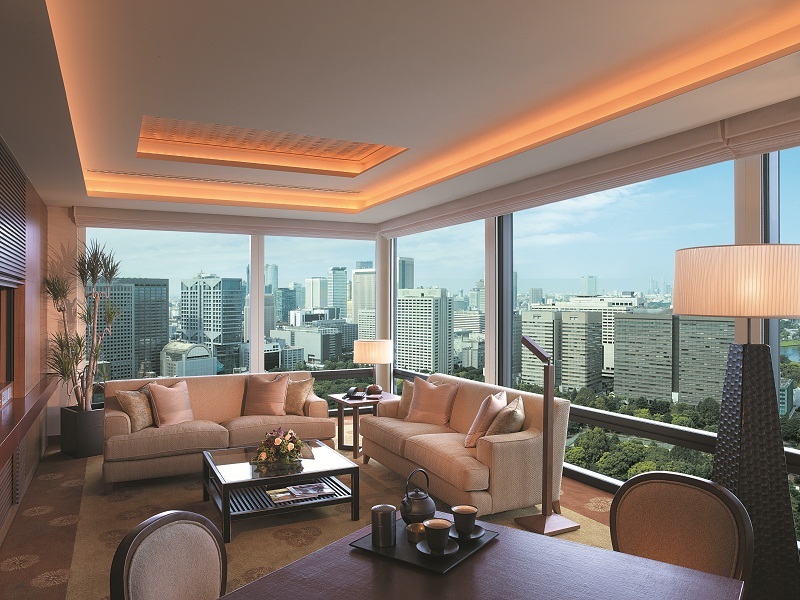 The Peninsula Tokyo is superbly located in the prestigious Marunouchi financial district, opposite the Imperial Palace and a three-minute walk from the shopping capital of Ginza. 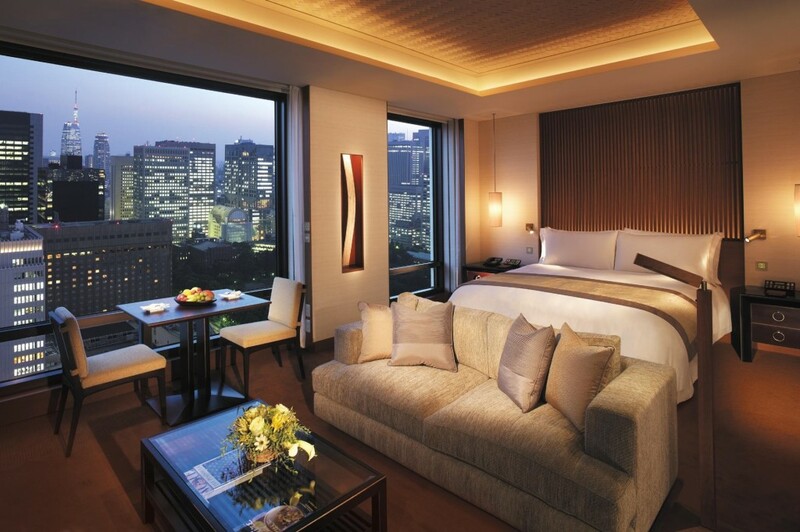 Modern and contemporary with Japanese accents, this gracious free-standing hotel offers 314 spacious guestrooms, including 47 suites, five unique restaurants, a modern lounge bar, two ballrooms, six elegantly designed function rooms, a fitness center and The Peninsula Spa with indoor heated swimming pool, jacuzzi and outdoor terrace with views of the Imperial Palace Gardens. 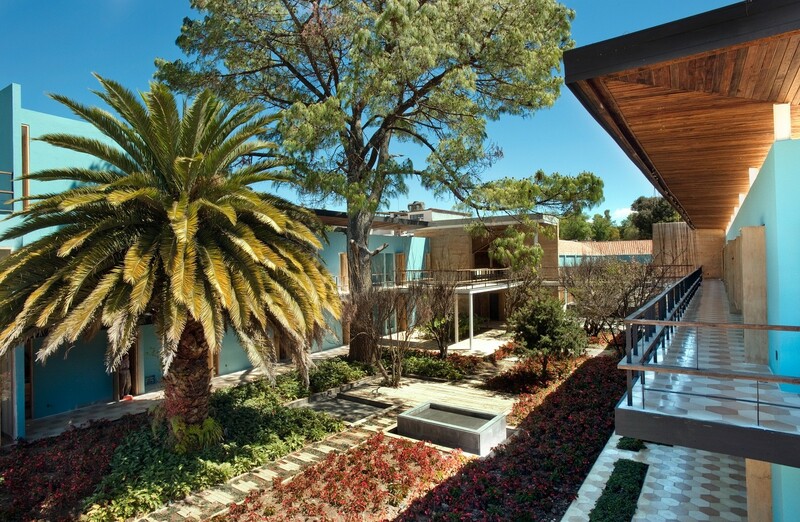 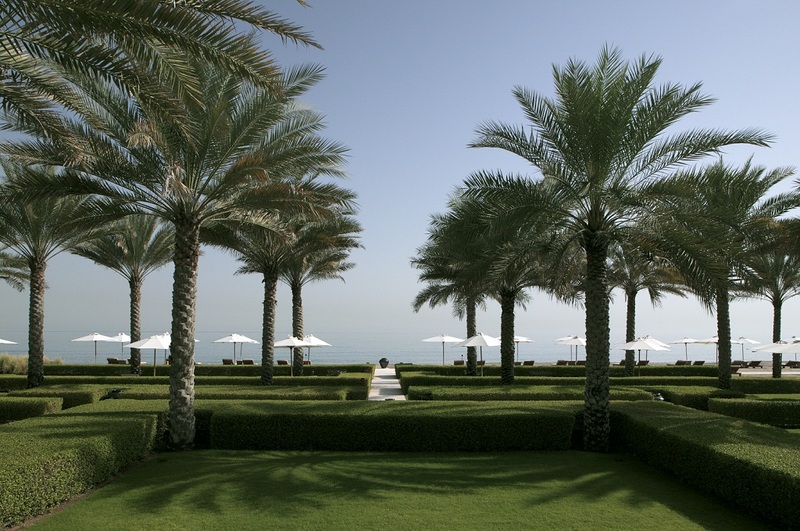 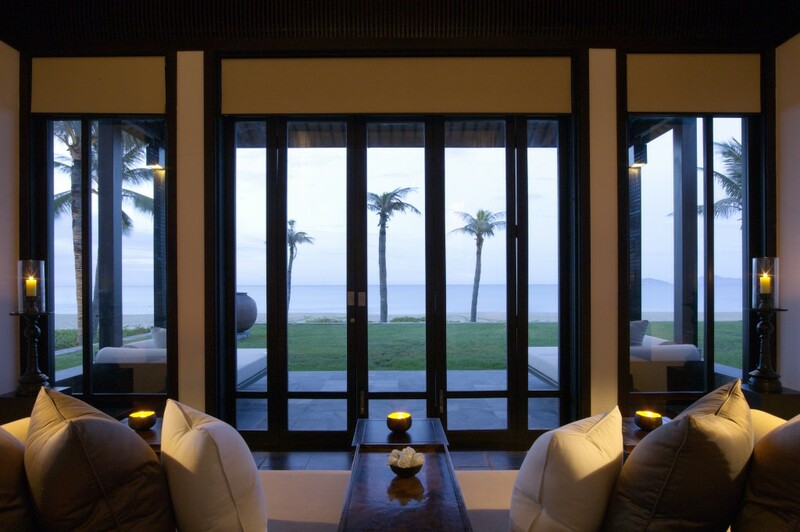 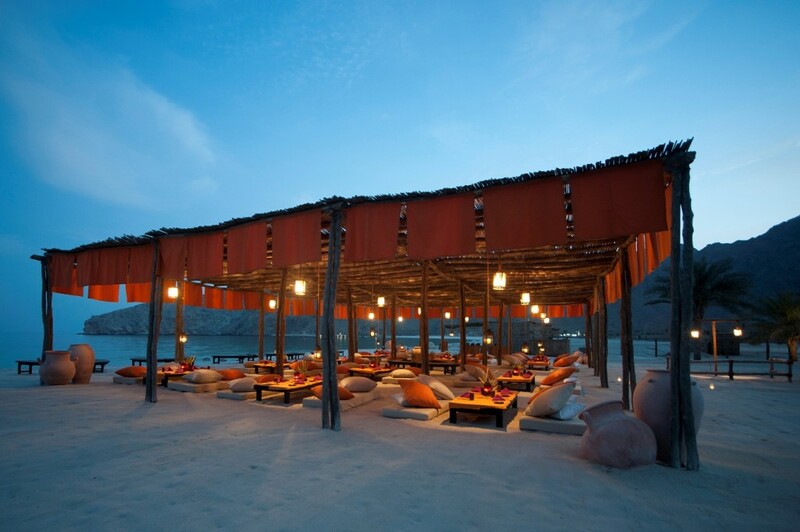 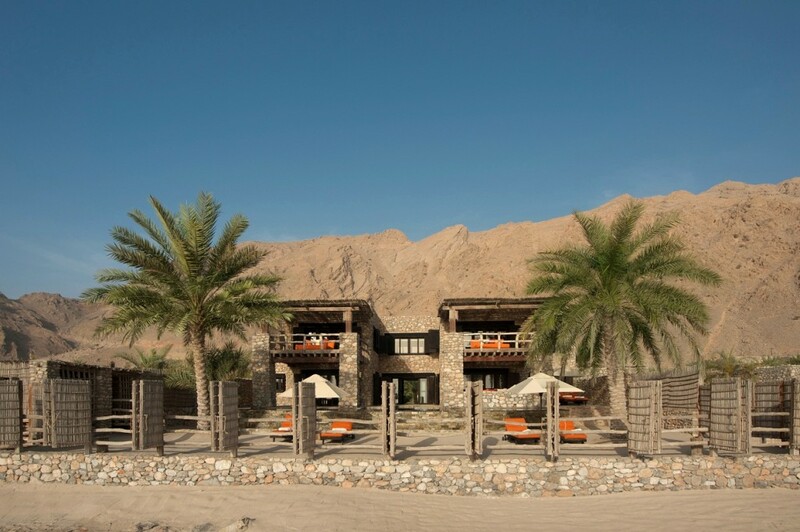 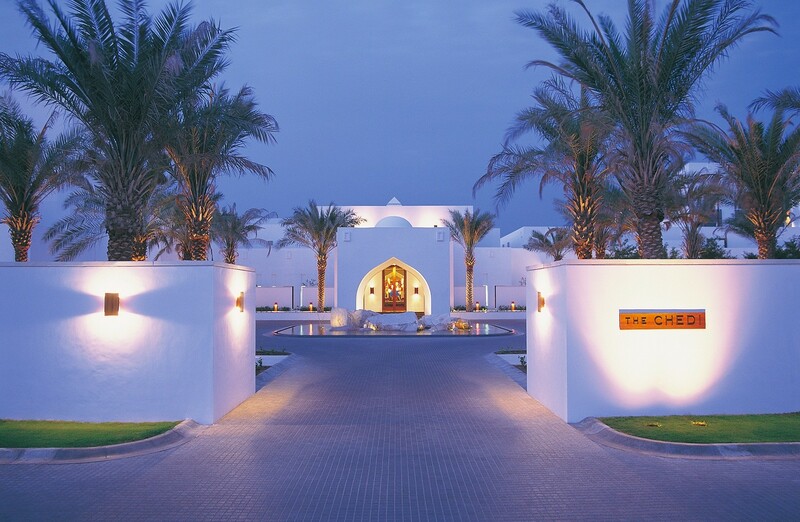 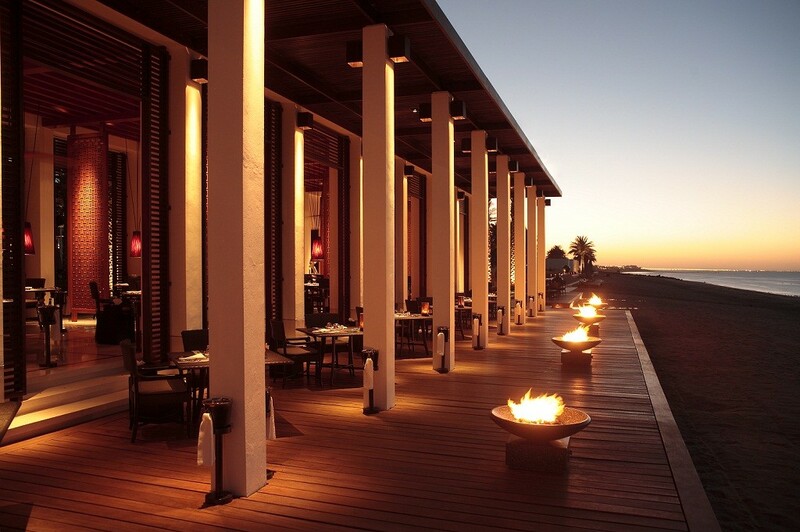 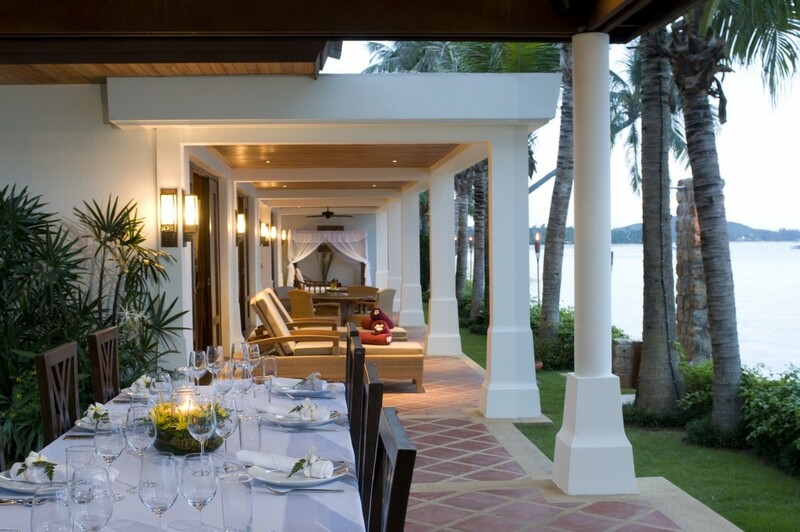 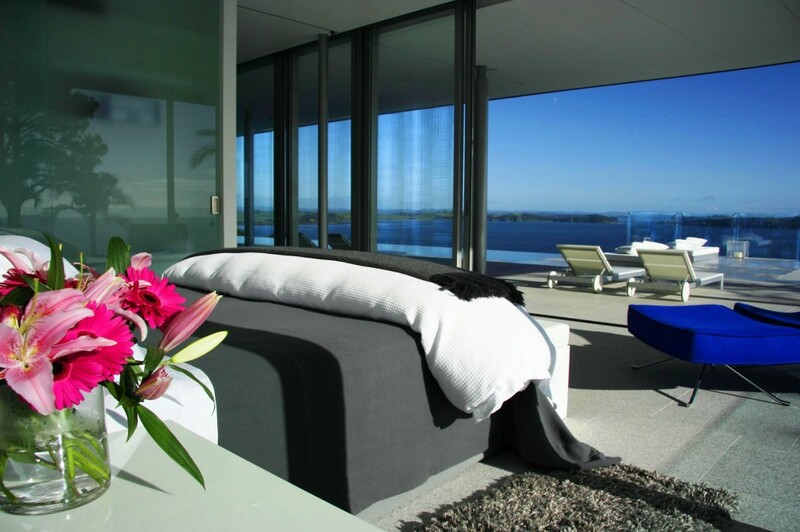 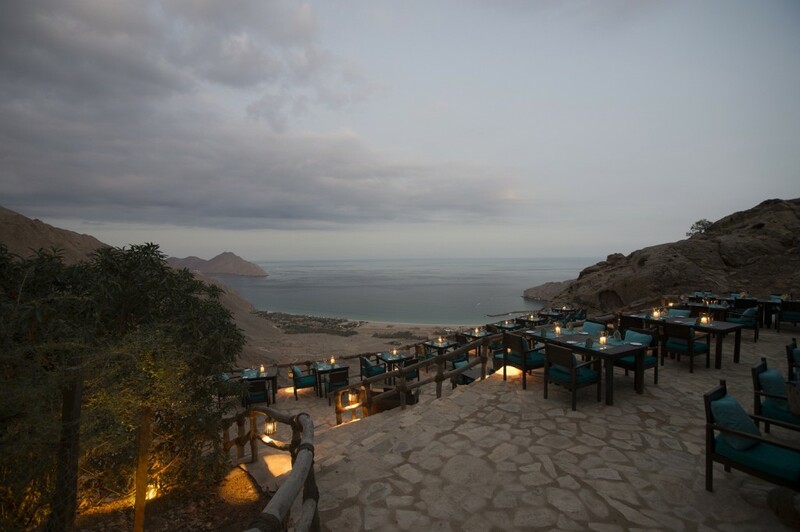 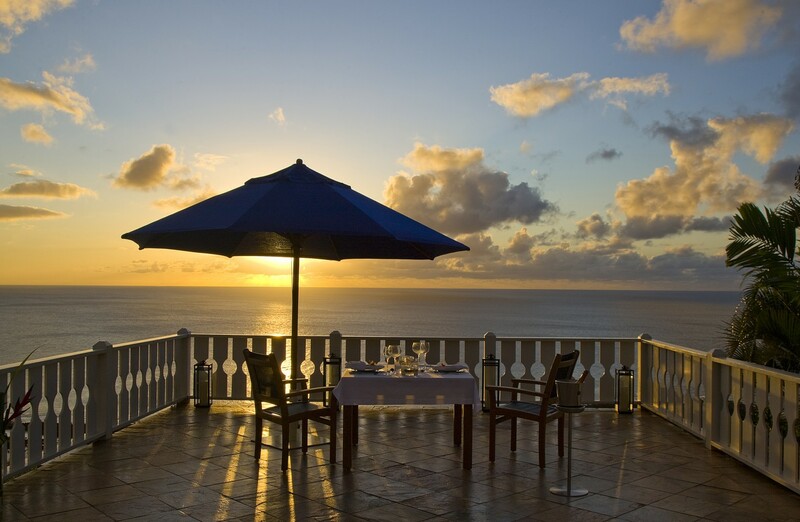 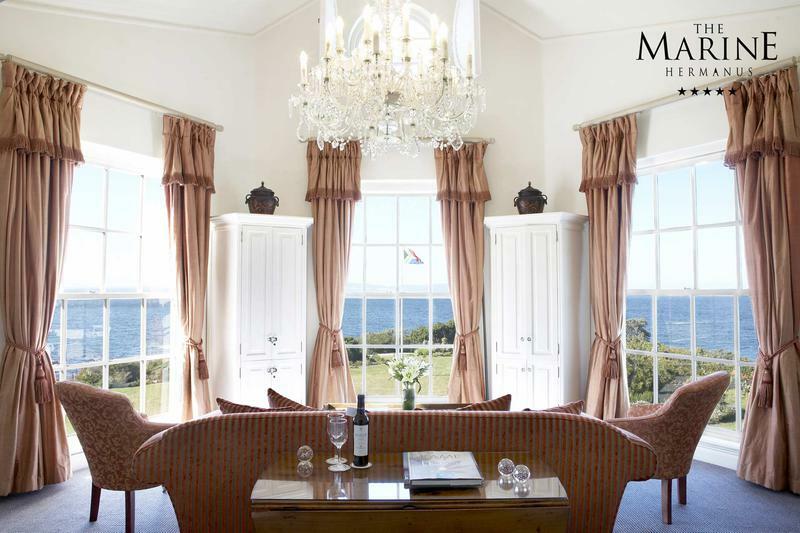 The Marine is one of the southern hemispheres’s most spectacular seaside Relais & Chateaux properties. 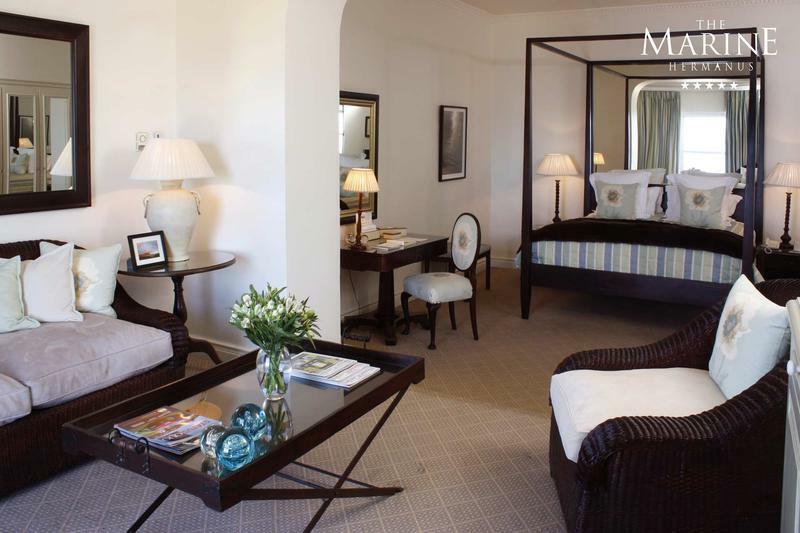 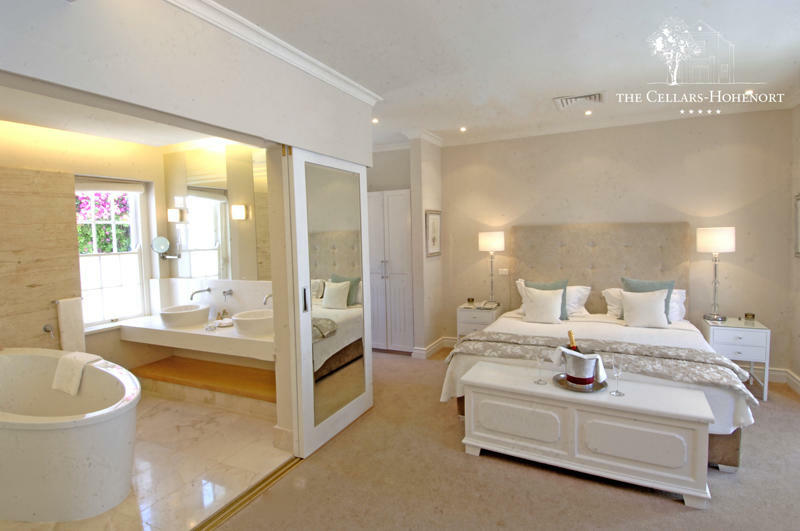 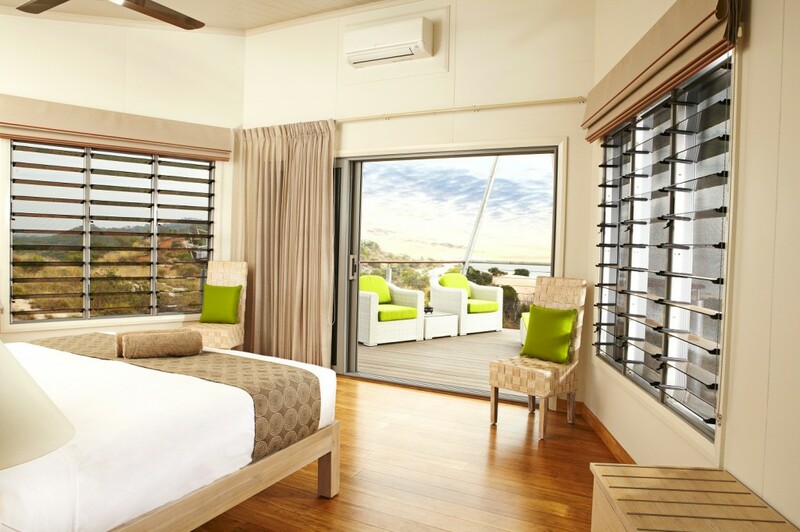 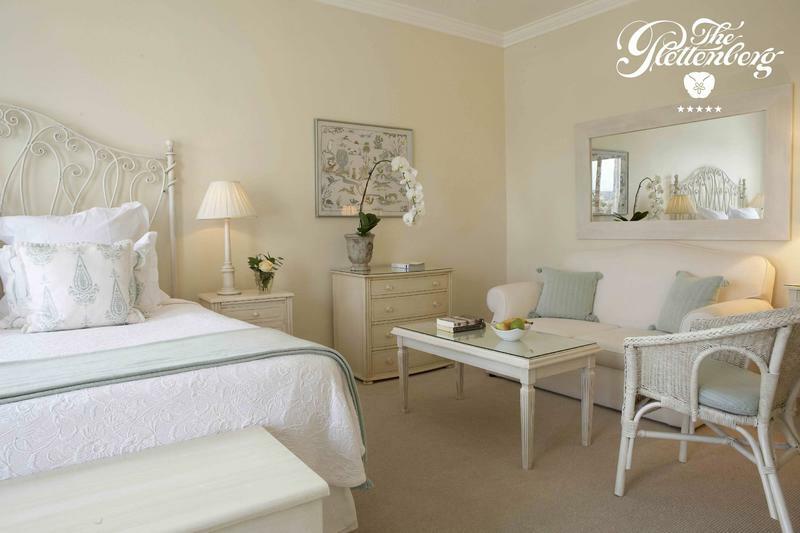 Perched on the cliffs, overlooking Hermanus’s Walker Bay, The Marine boasts 42 individually decorated bedrooms and suites. 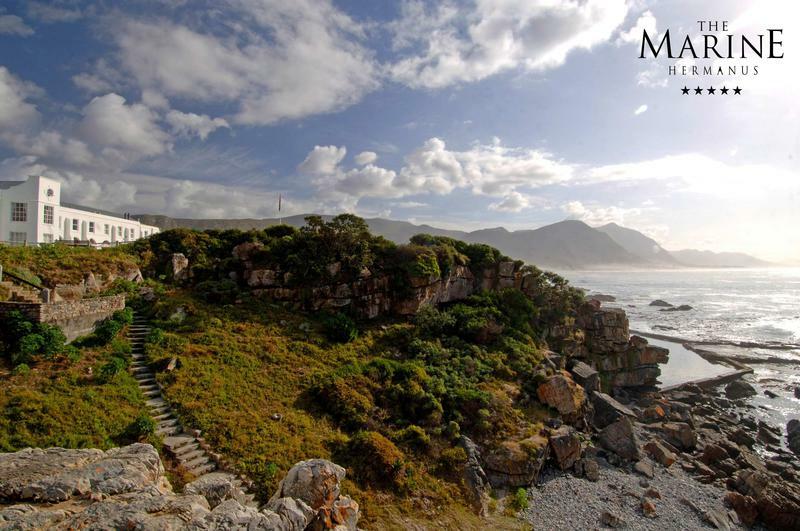 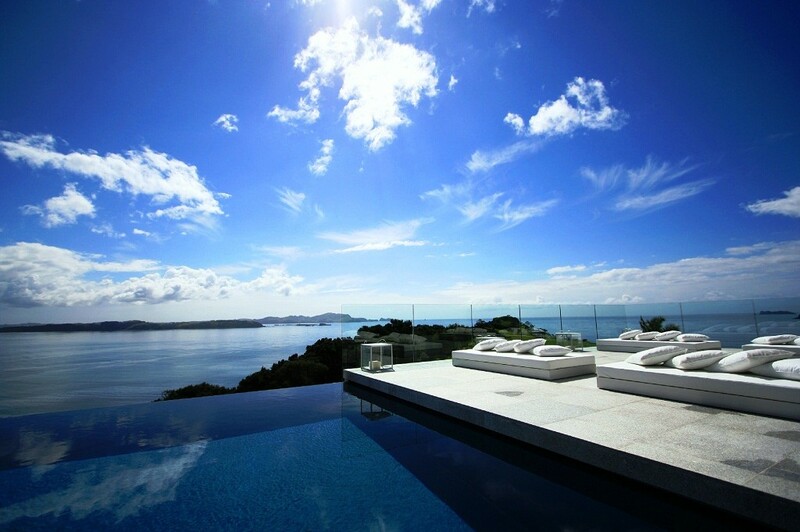 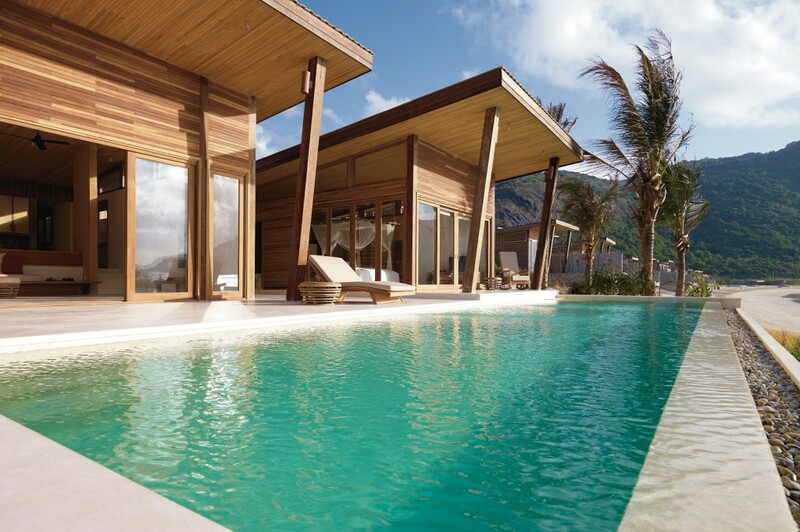 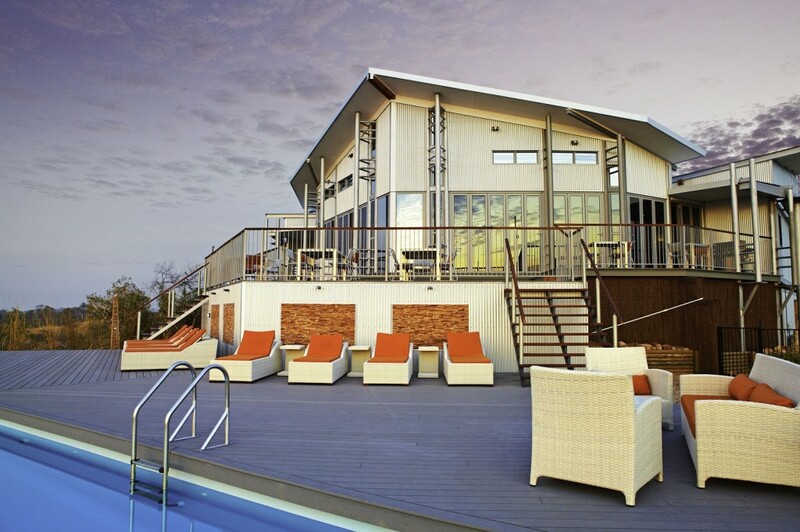 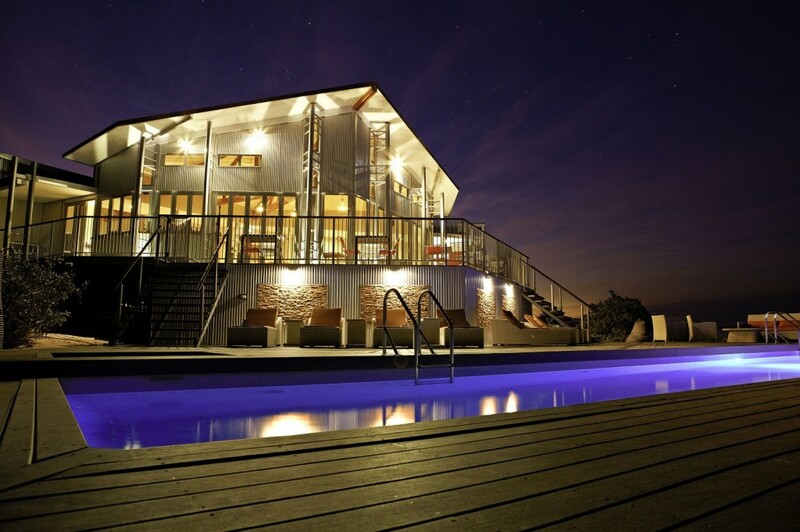 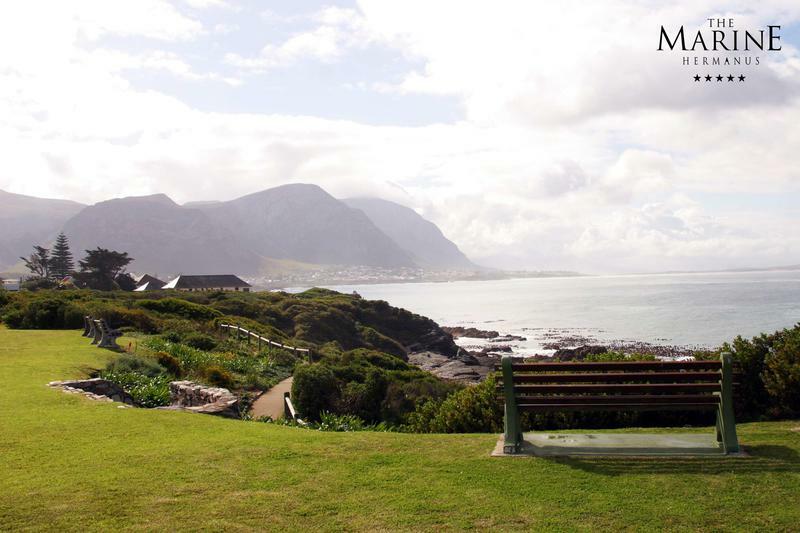 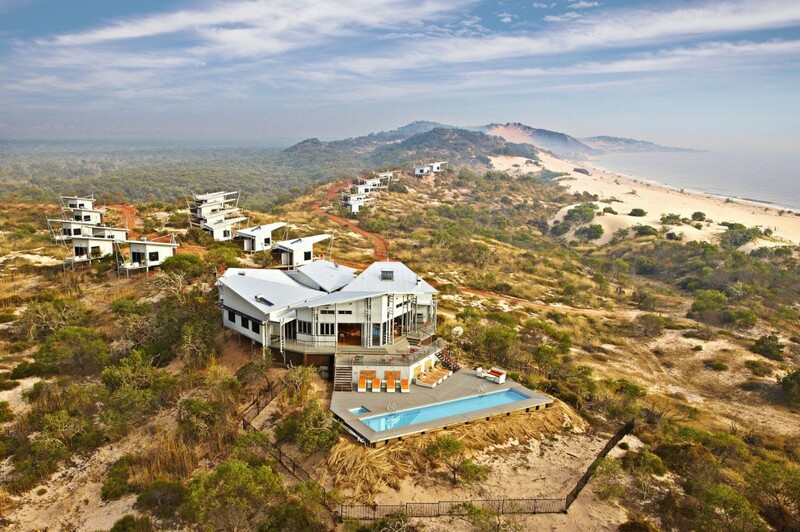 This unforgettable property overlooks South Africa’s most pristine whale sanctuary. 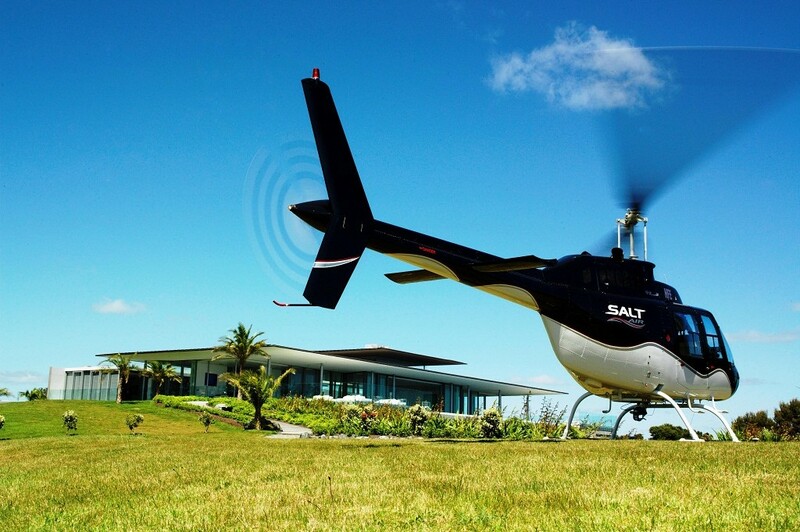 The Marine offers guests the unique opportunity to experience the finest land-based whale watching in the world. 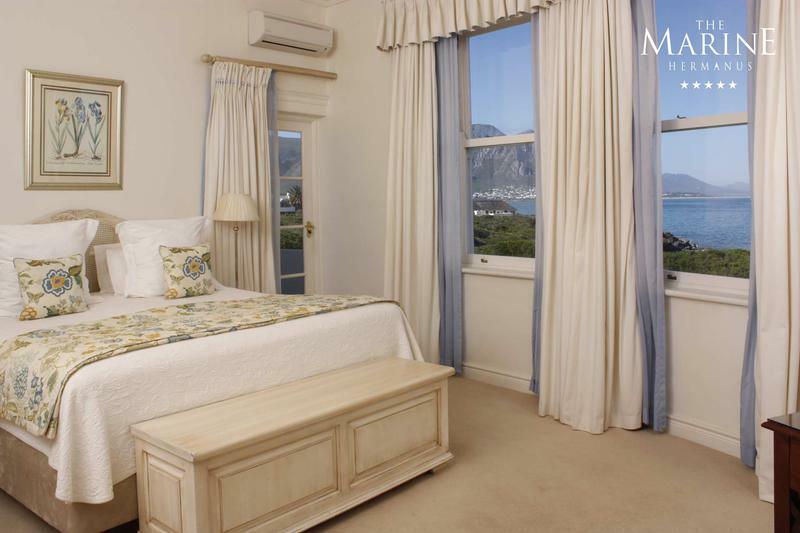 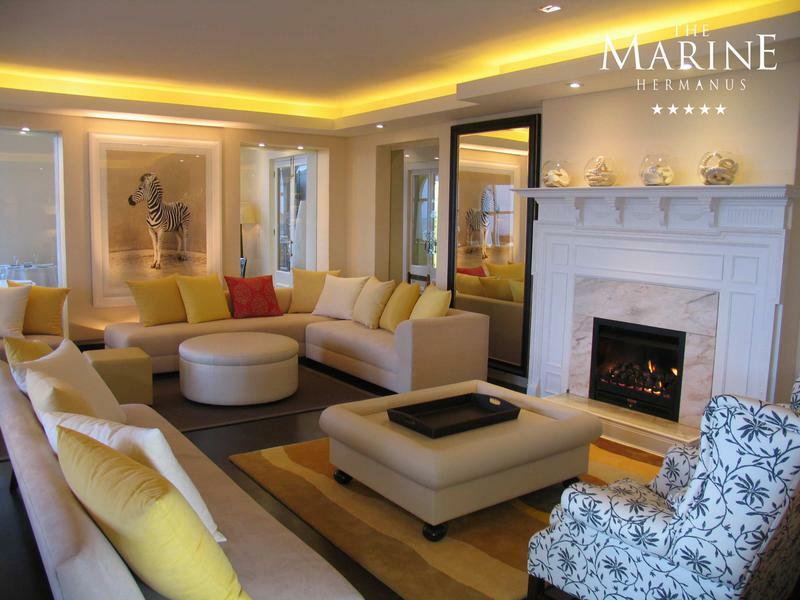 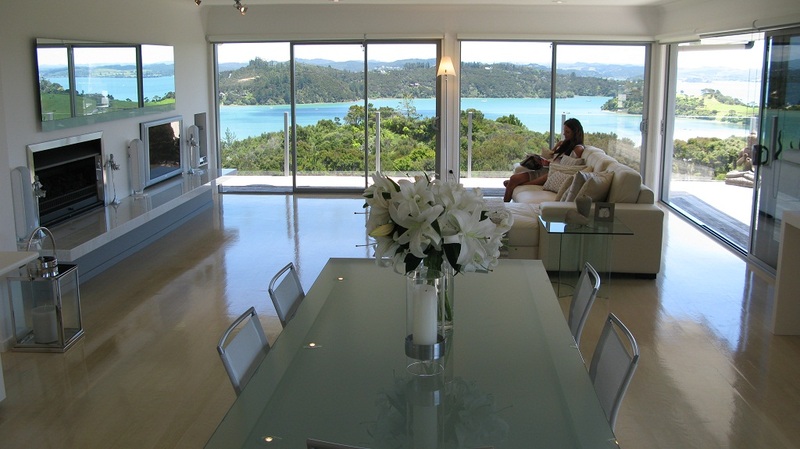 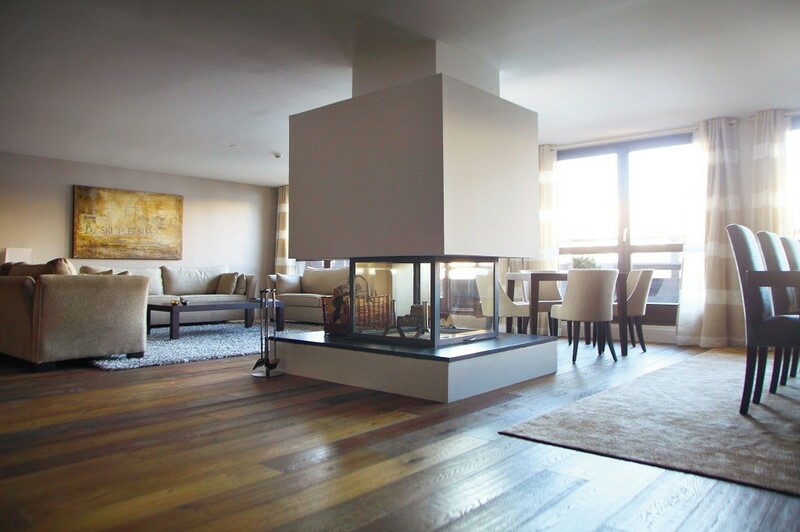 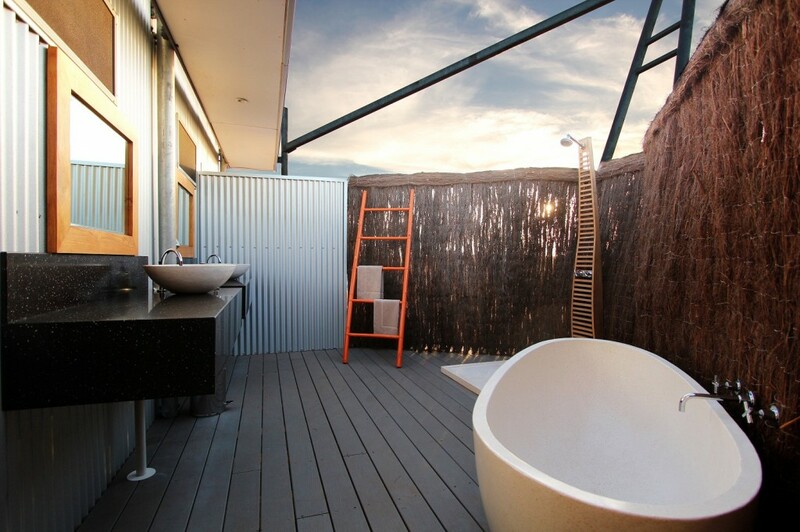 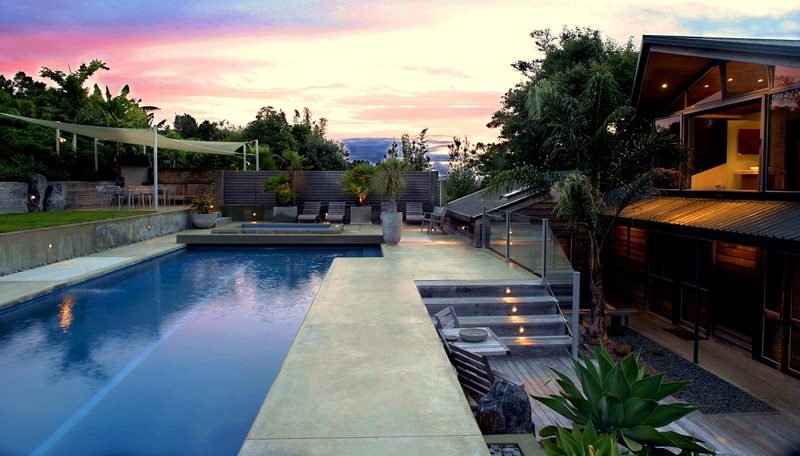 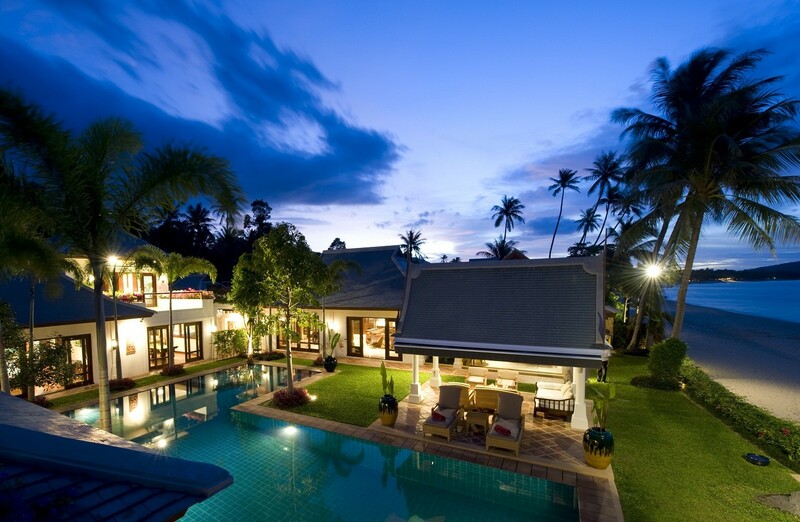 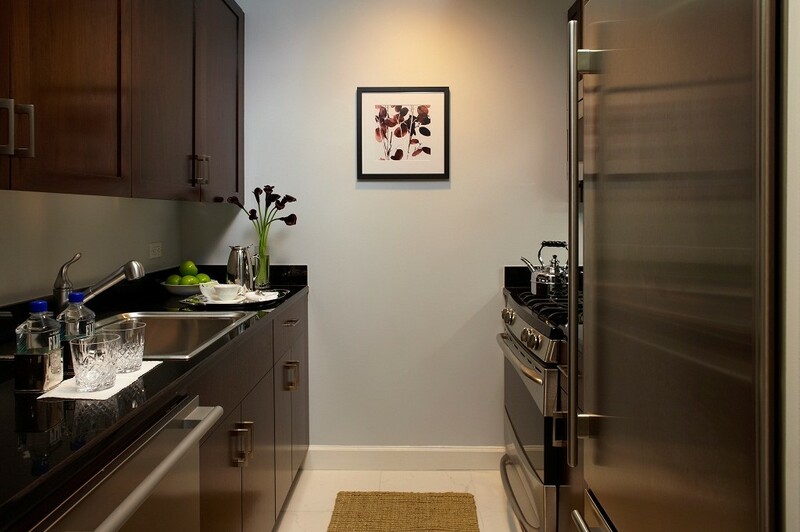 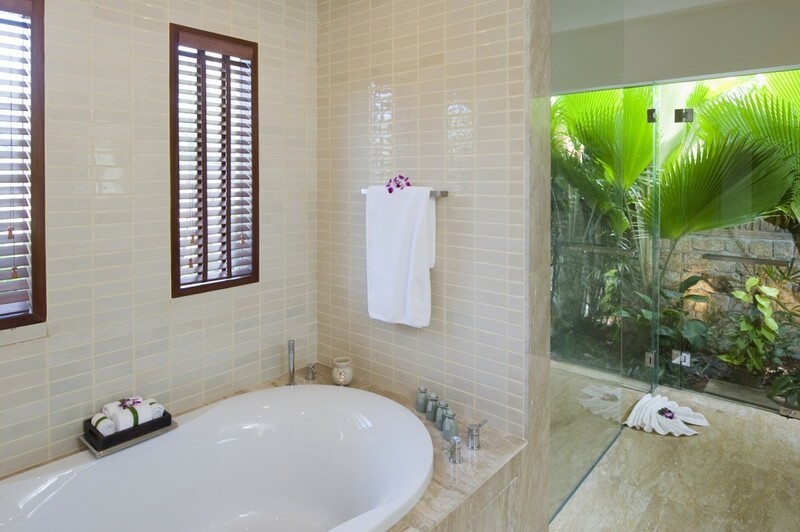 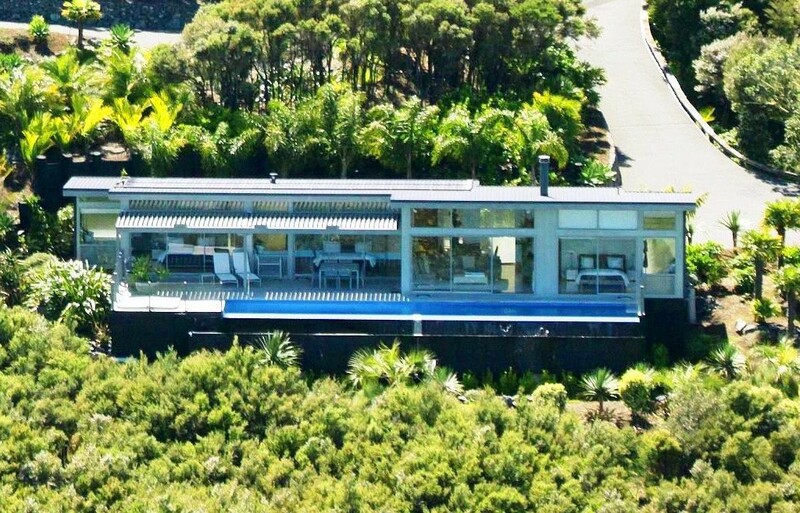 The attention to detail is appararent in every aspect of this remarkable owner managed property. 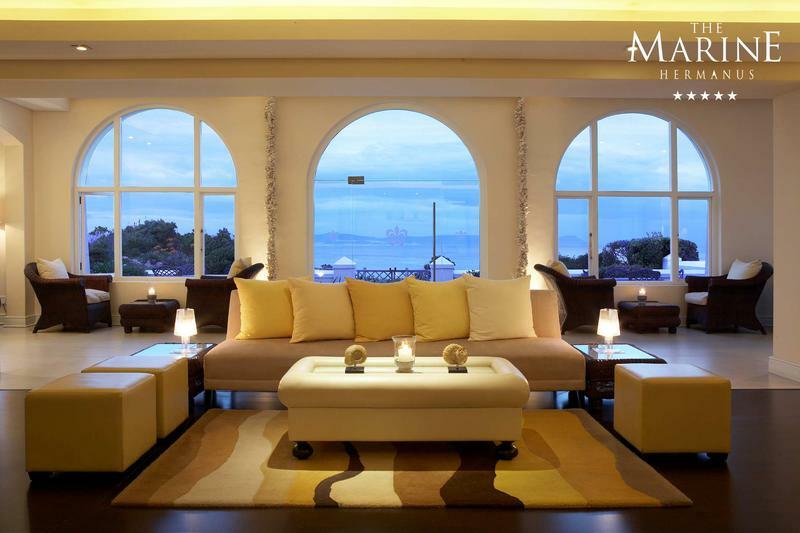 Each piece of The Marine story adds another element to an unforgettable stay. 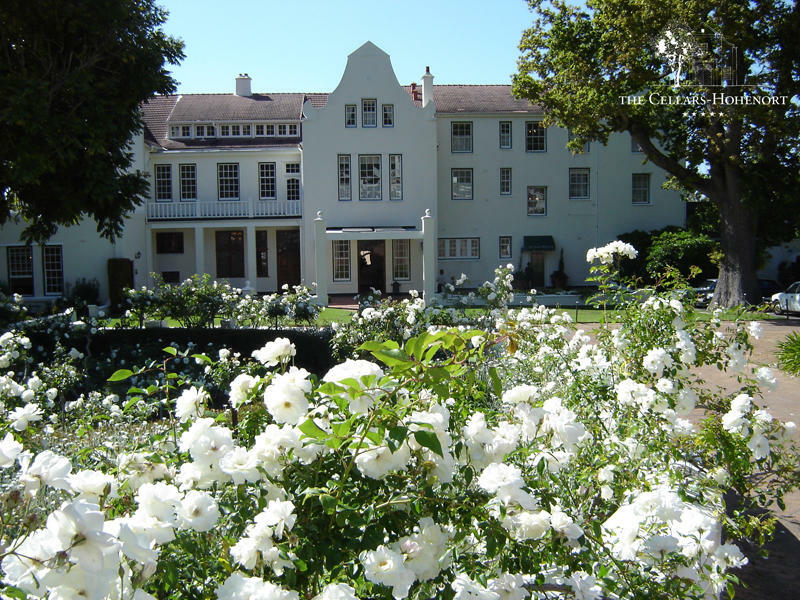 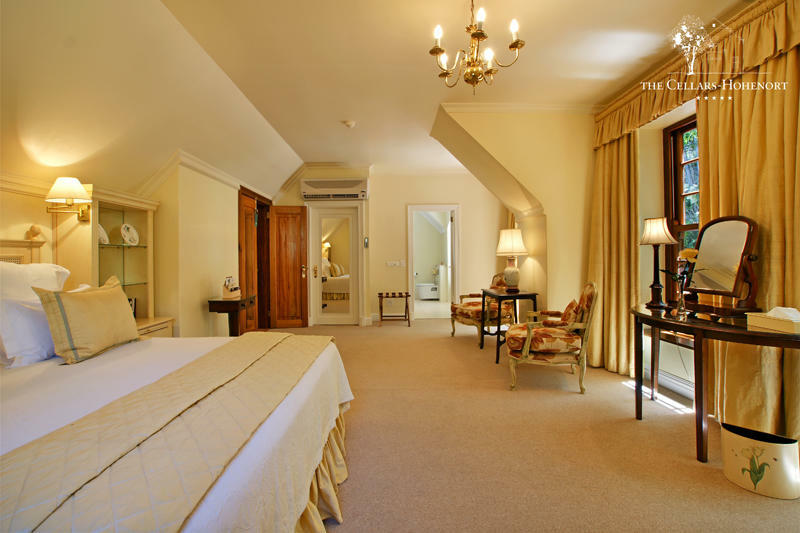 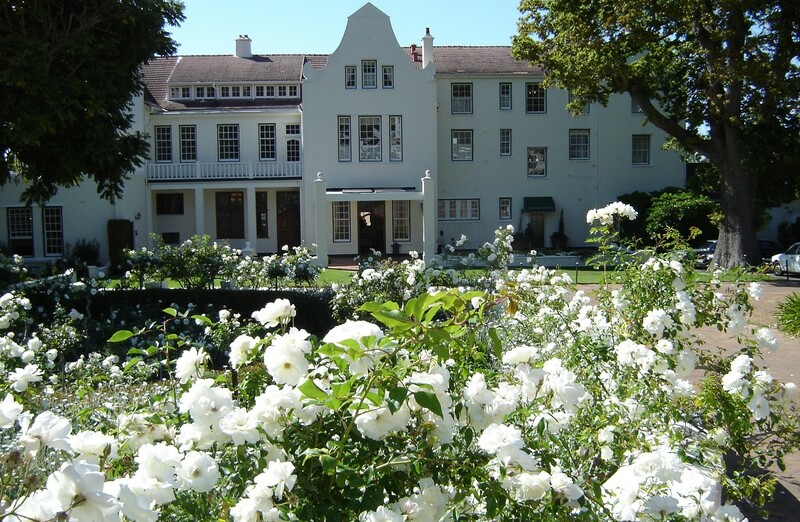 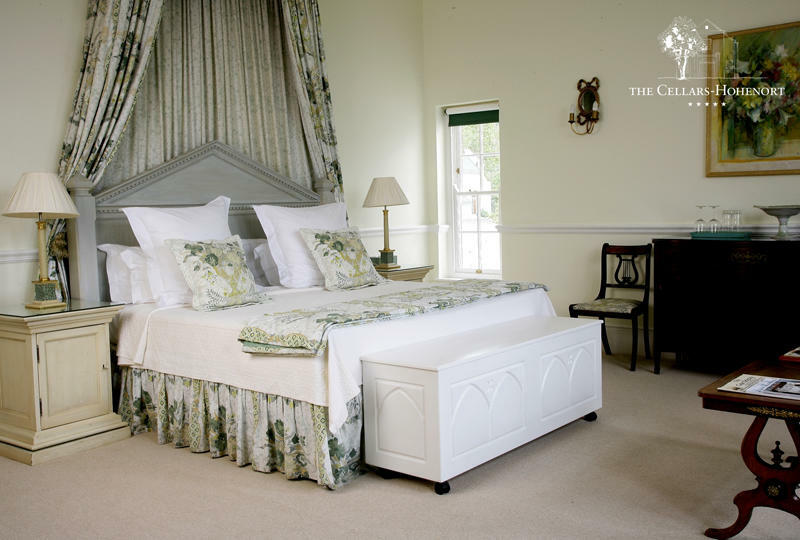 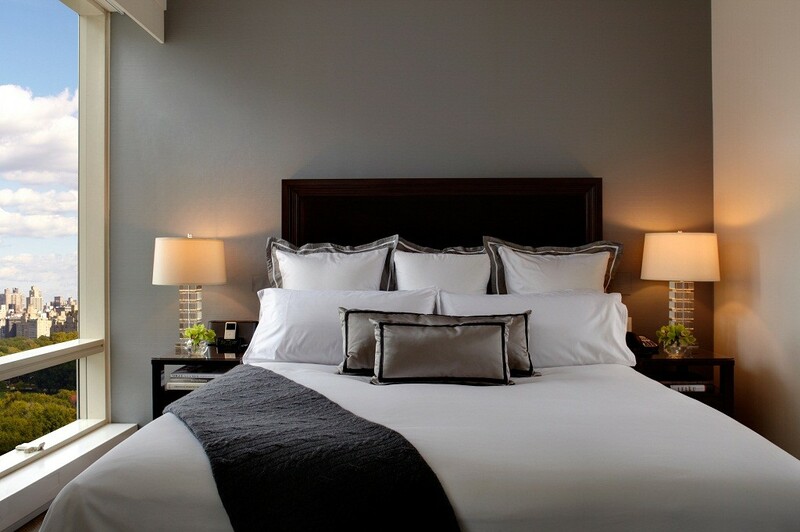 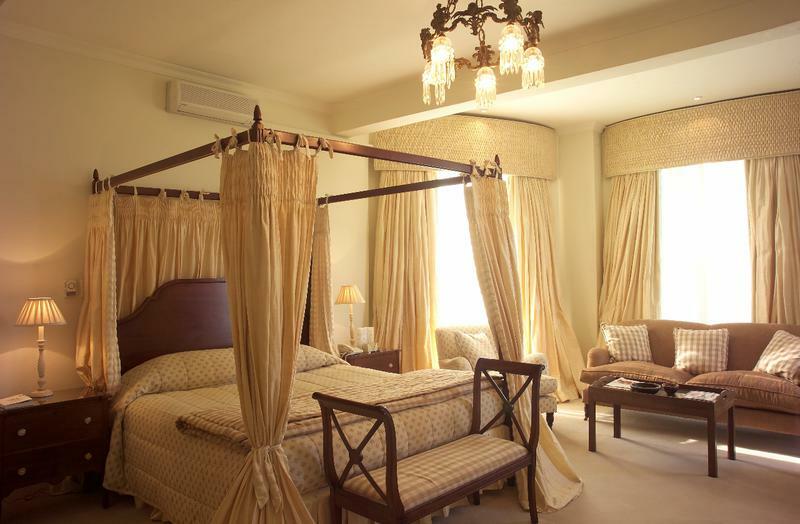 Located in the historical Constantia Valley, Cape Town, on the breath-taking slopes of Table Mountain The Cellars-Hohenort boasts 49 individually decorated rooms and suites. 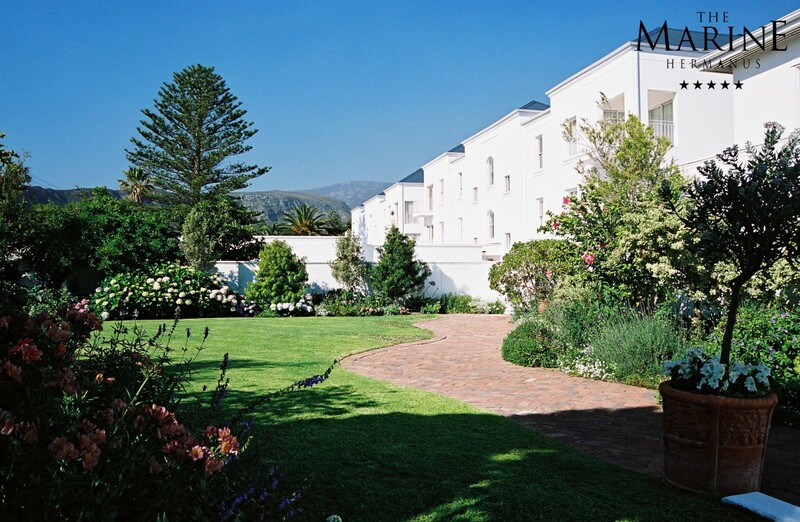 With panoramic mountain and garden views the owner-managed Cellars-Hohenort sets the scene for a fairytale stay. 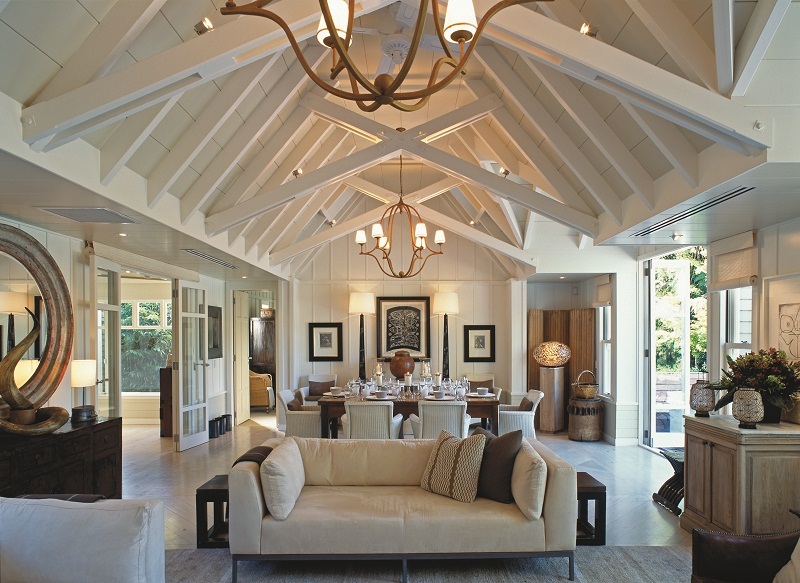 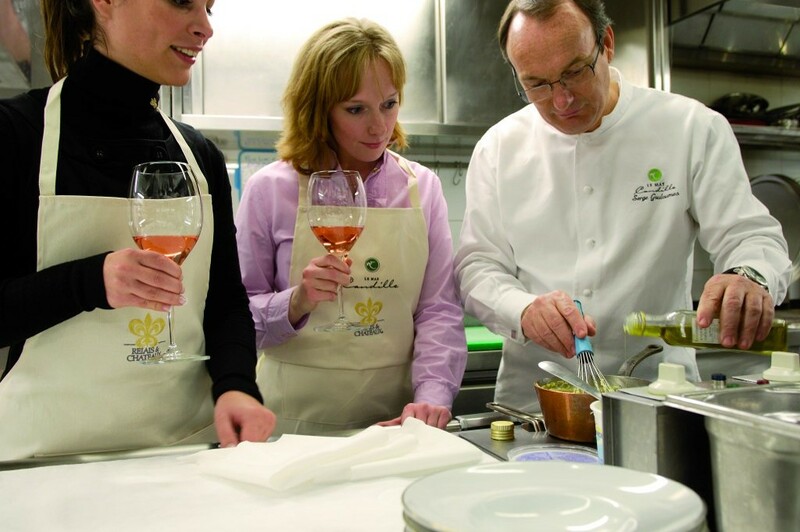 A range of award winning culinary offerings, Fresh Wellness Spa, Gary Player designed gold putting and chipping green, tennis court and much more ensures that The Cellars-Hohenort is the result Liz McGrath’s 20 years of hard work, love and endless inspiration. 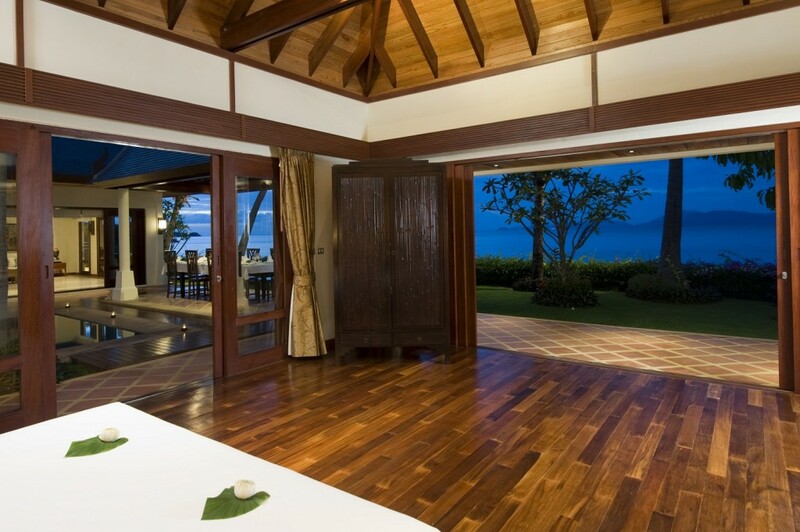 Perched atop a majestic hill, overlooking Oahu’s famed North Shore, the Estate features breathtaking unspoiled panoramic views of both land and sea. 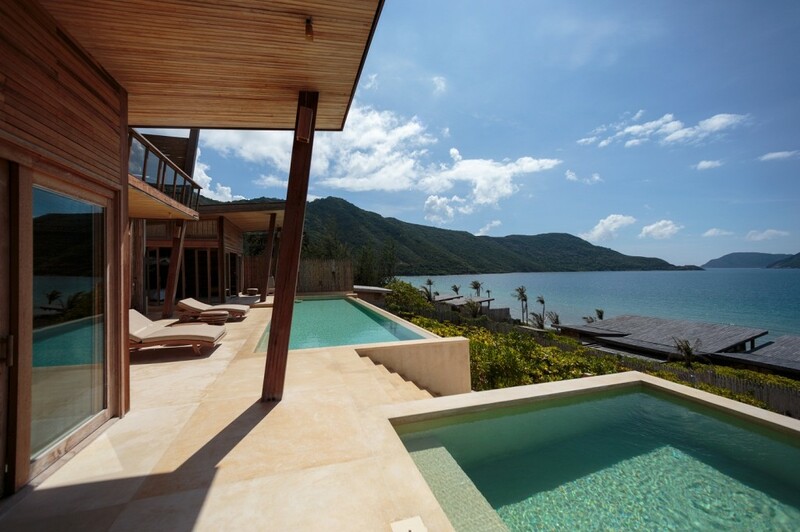 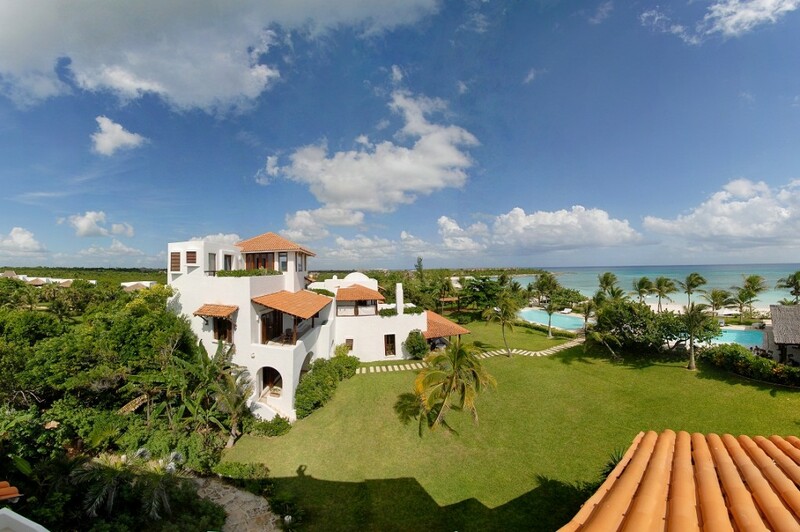 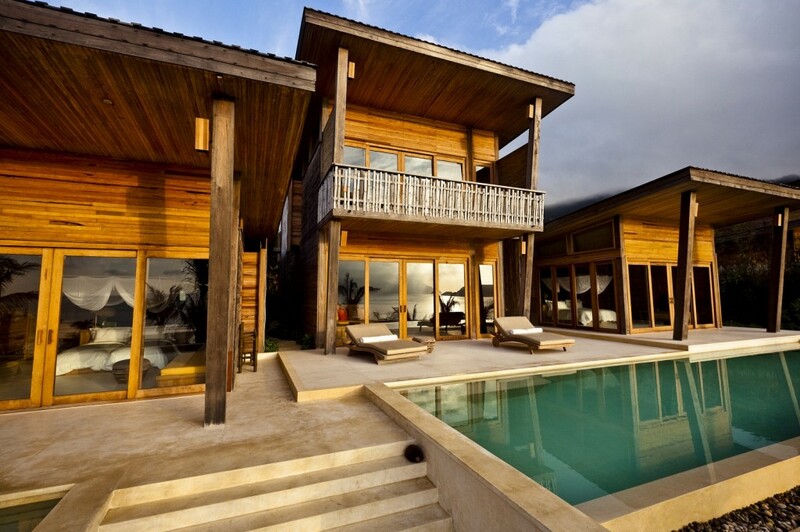 Set on 5.2 acres, this Exclusive Eco-Retreat is only 3 minutes from 12 miles of pristine beaches. 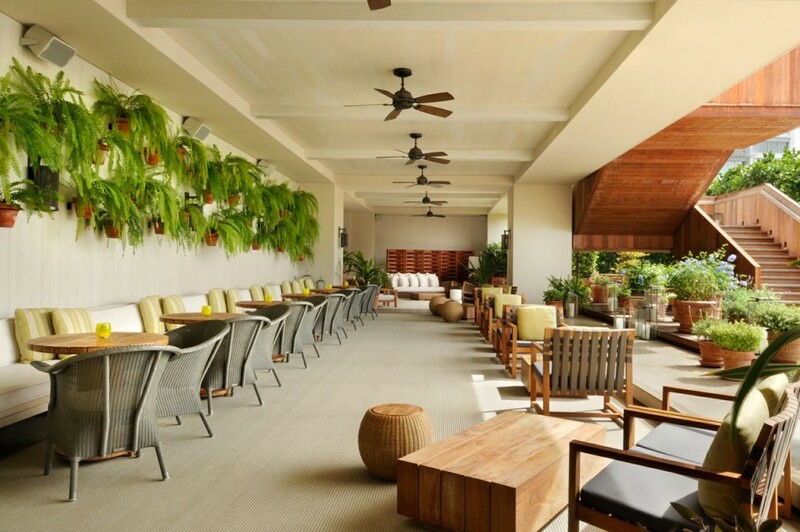 This is not just a hotel; the personalized 7 stars service and private location makes it the place to stay in the Hawaiian Islands, and ranks above the best elite hotels worldwide.Your stay at this lavish solar powered paradise will introduce new strategies for a balanced, healthier and more successful lifestyle, for home as well as for your business life. 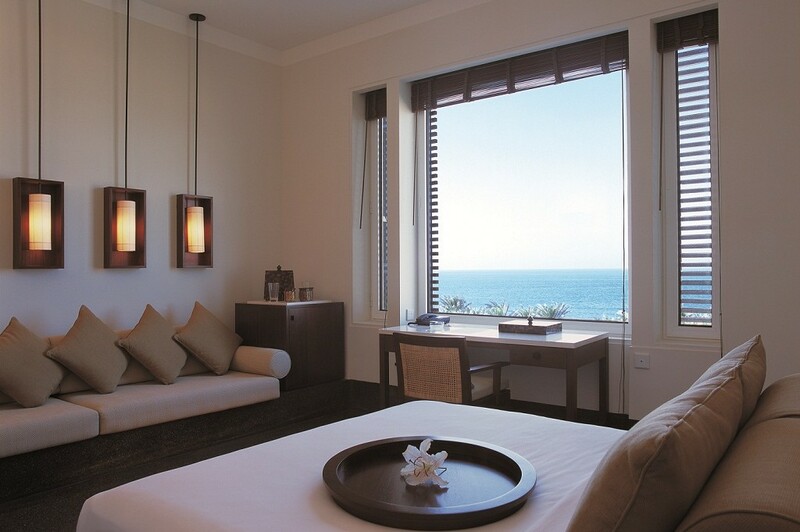 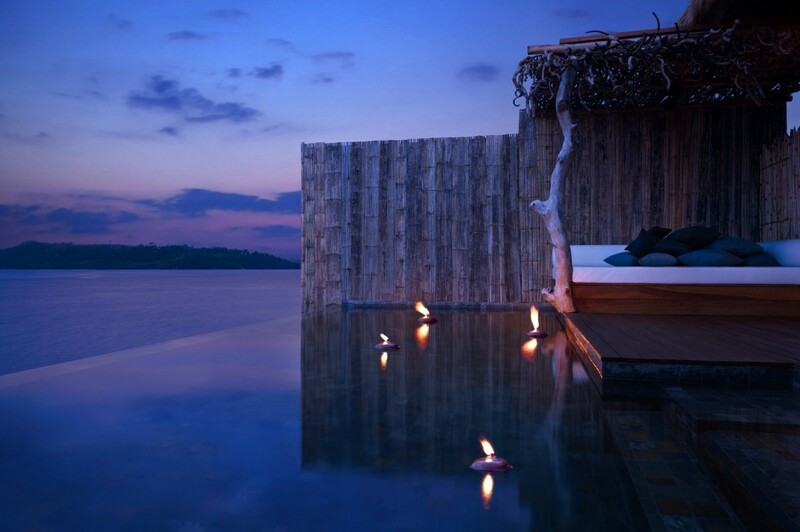 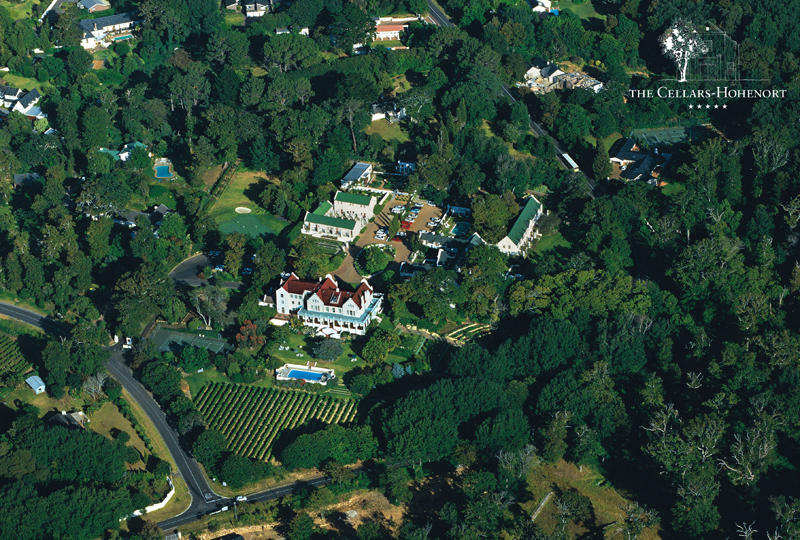 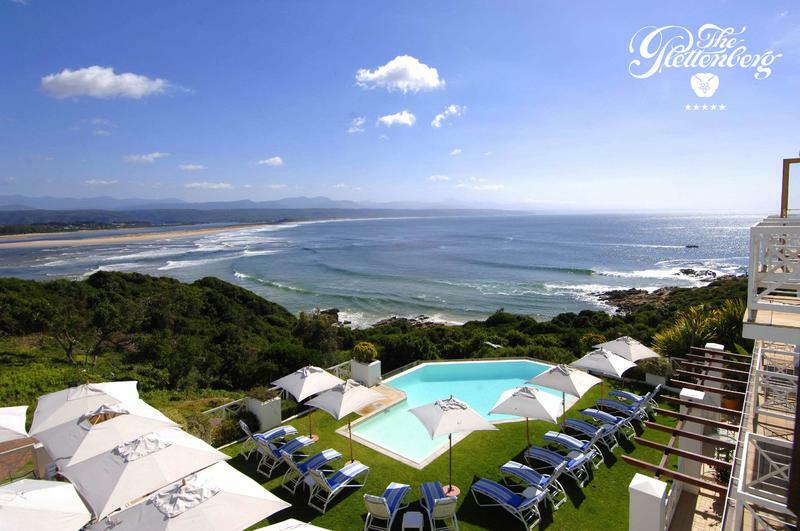 The Plettenberg – situated on a rocky headland in Africa’s most spectacular coastal resort – is the ultimate escape. 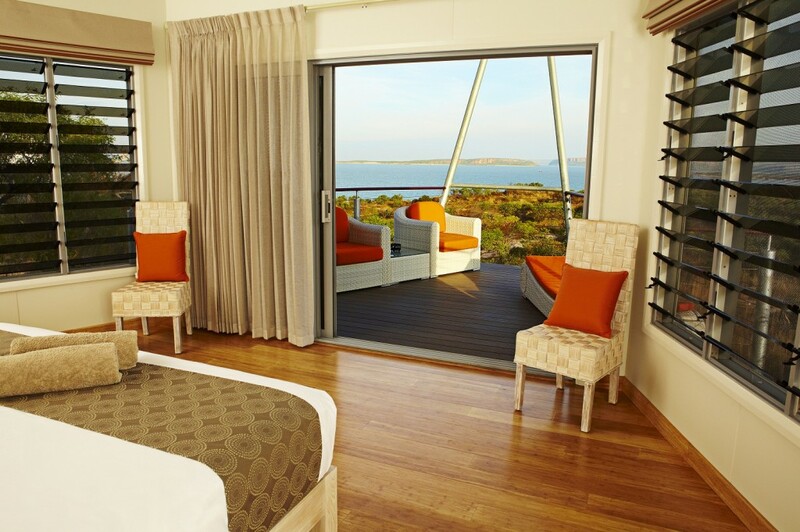 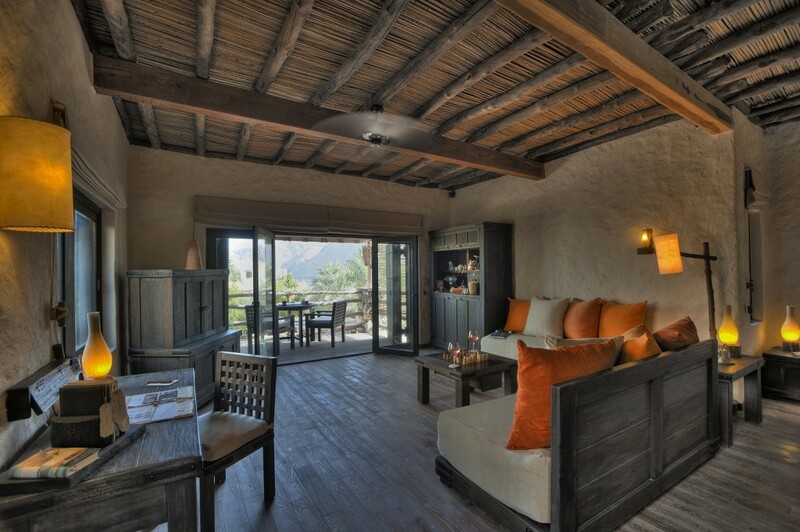 The 37 luxury rooms and suites, showcase the most breathtaking vistas in Southern Africa. With views of the ocean, mountains and endless stretches of golden beach, The Plettenberg is situated in the heart of the adventure-rich Garden Route. 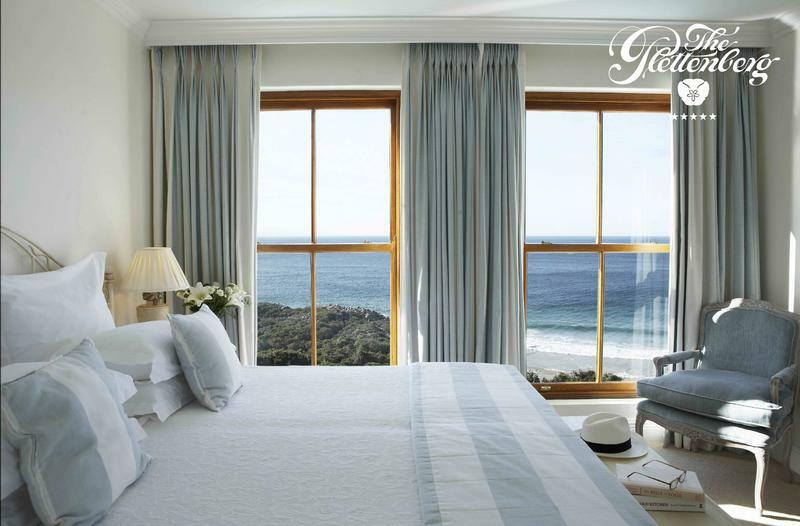 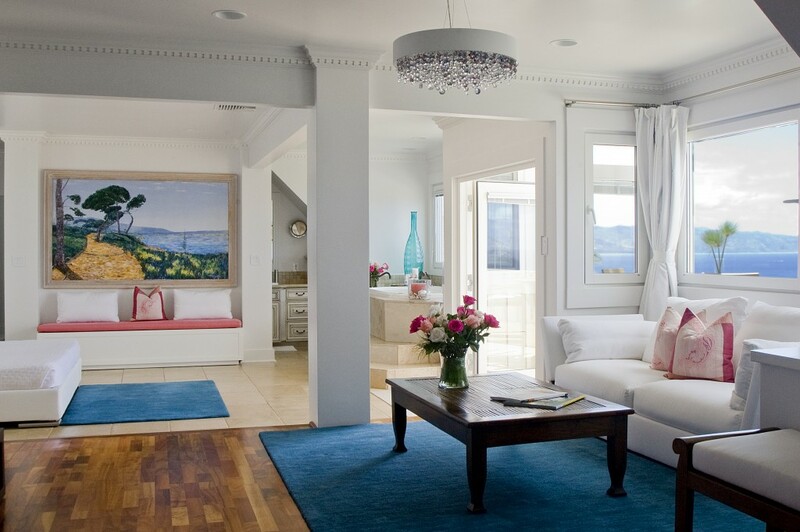 The Plettenberg is the ideal place to both relax and unwind – or recharge and reinvigorate. 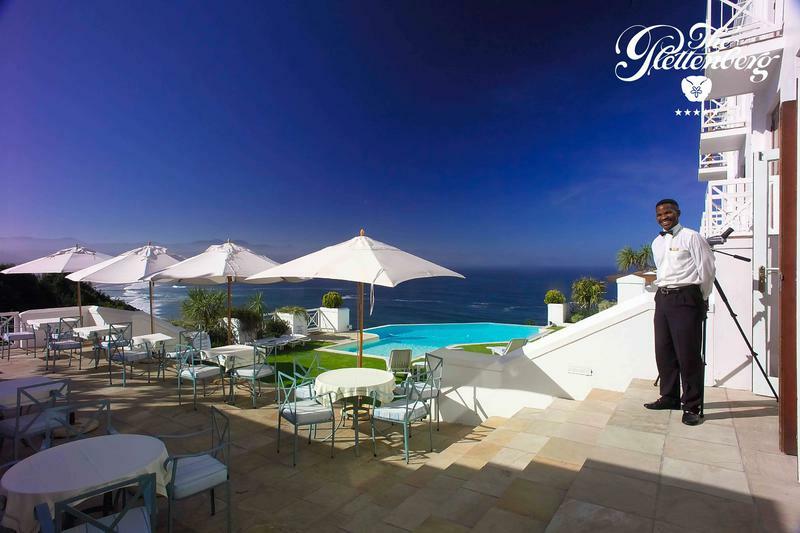 At The Plettenberg the charming service and the setting combine to create the ultimate story, one of a South African seaside property unlike any other. 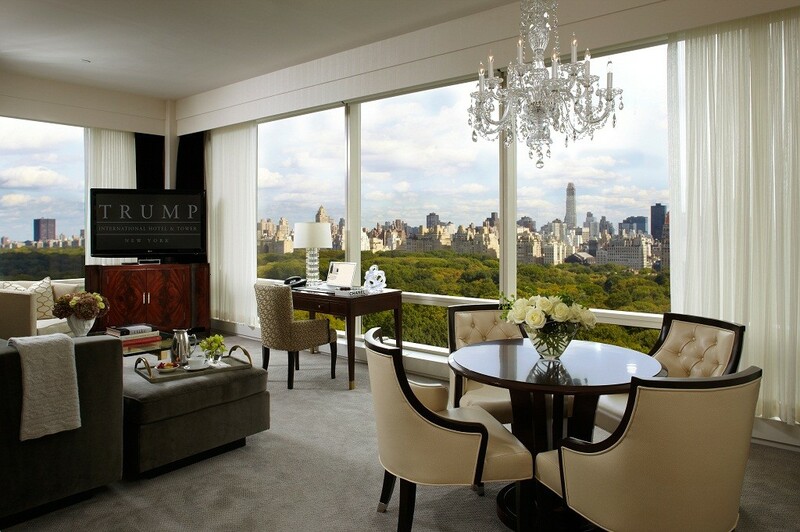 Trump International Hotel & Tower, the only New York property with Forbes Five-Star & Five-Diamond rating for both hotel and restaurant, is located on Central Park. 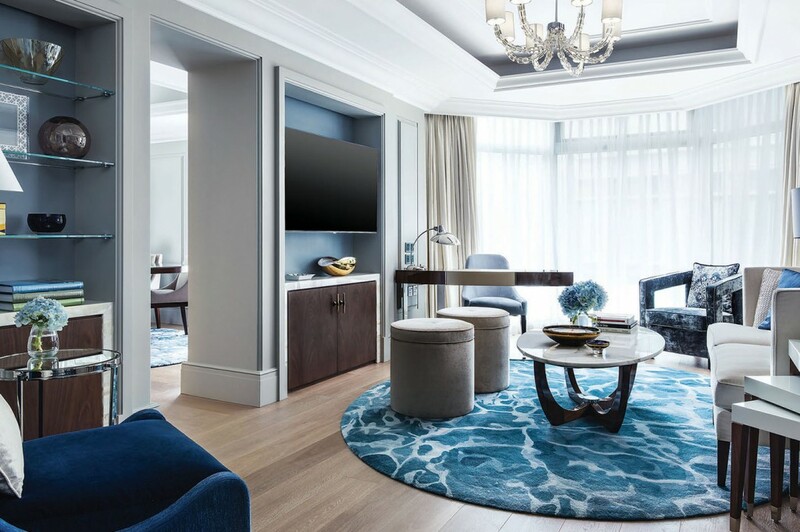 The 52-storey glass tower features newly renovated rooms and suites, showcasing spectacular views of Central Park and the City, 55-inch HDTV’s, and fully-equipped kitchens. 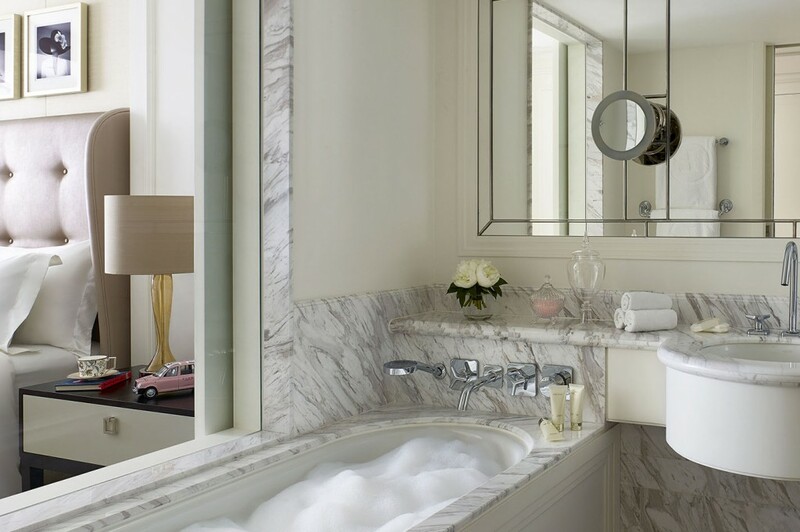 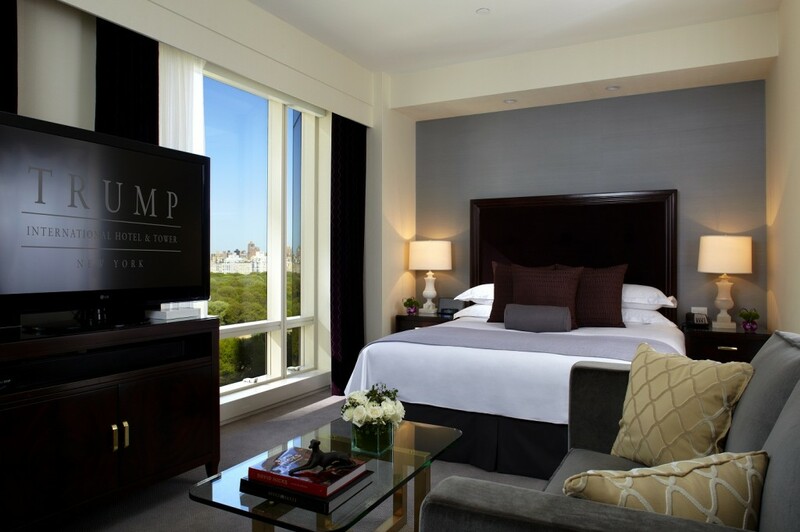 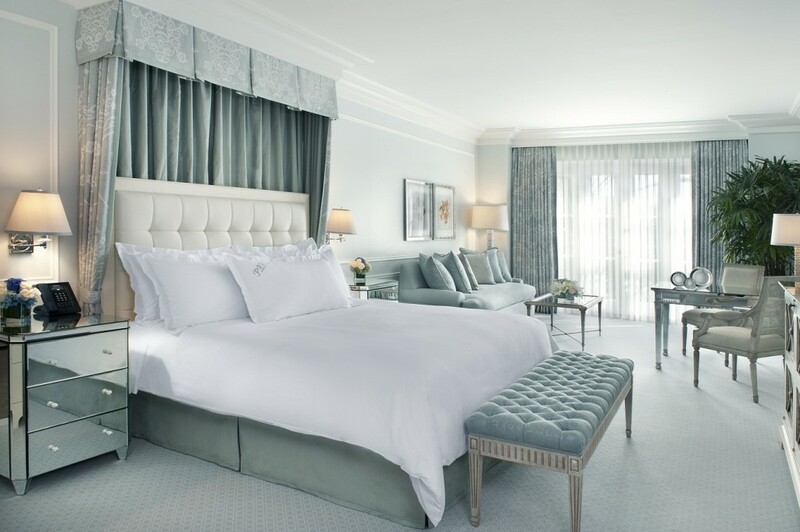 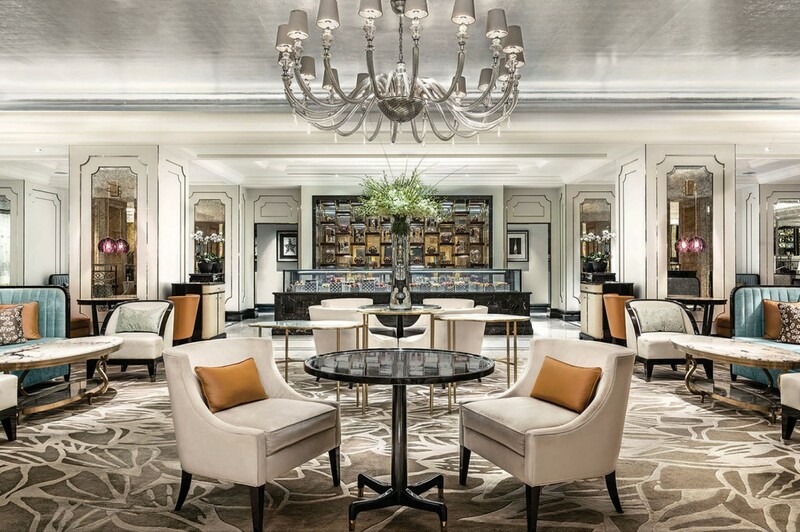 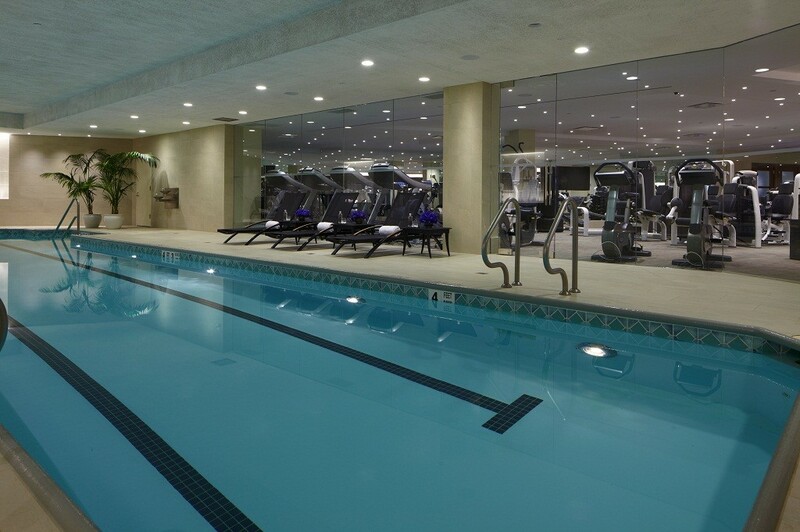 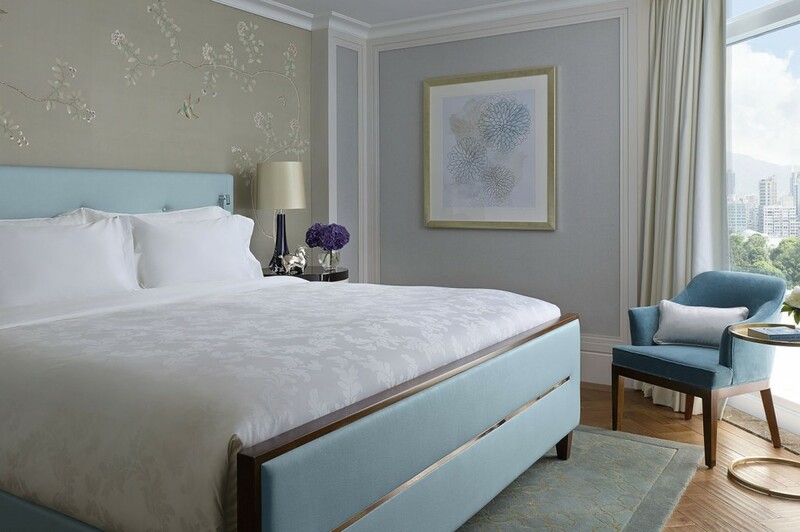 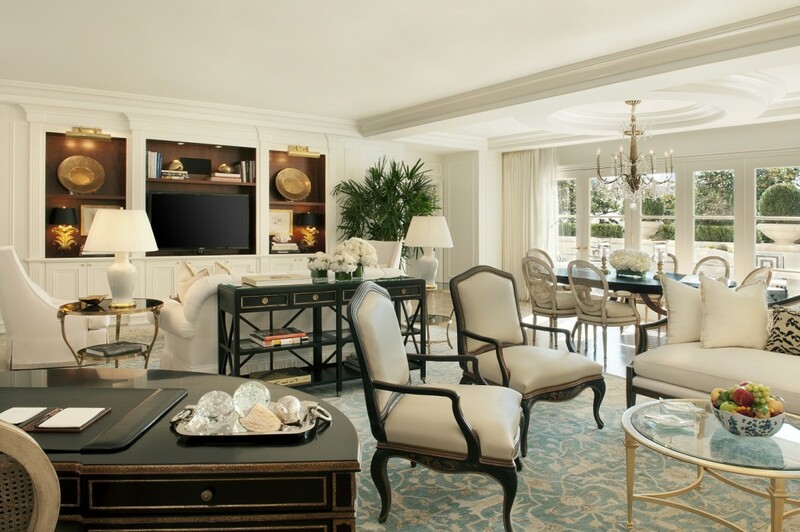 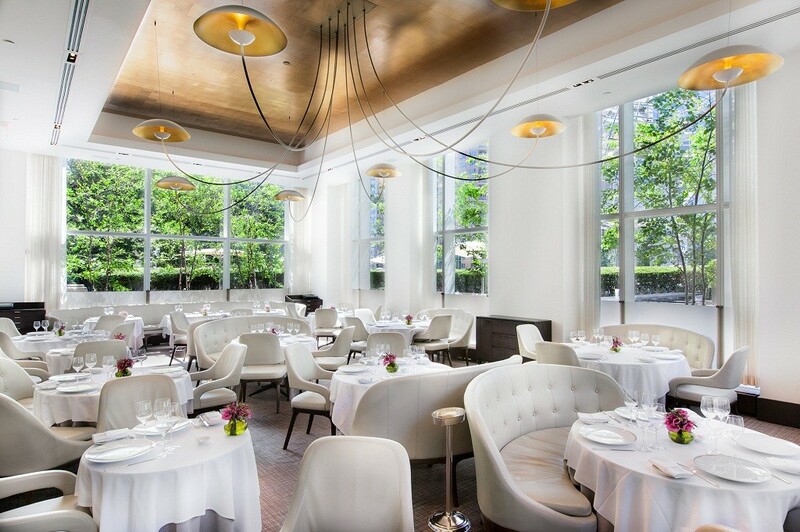 Additional amenities include dining in Three Michelin-Star restaurant Jean Georges, newly-renovated Trump Spa & Fitness Centre, 55 ft. heated indoor Salt Pure pool, and personal Attaché Guest services exclusive to Trump. 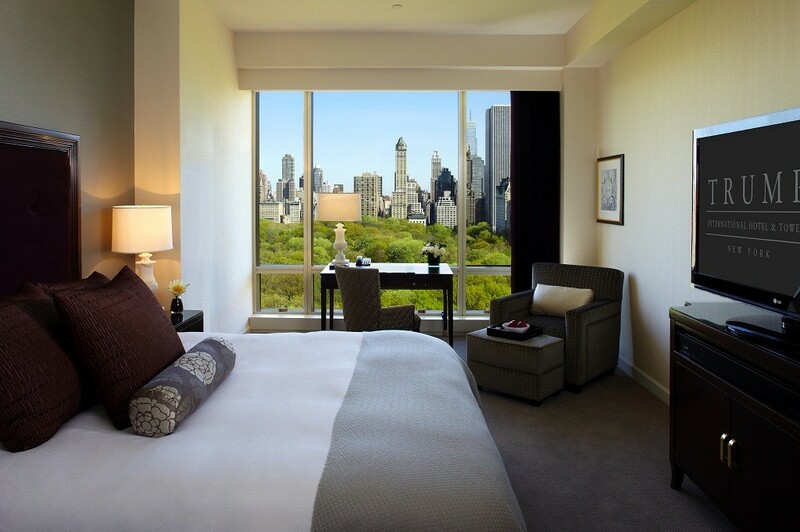 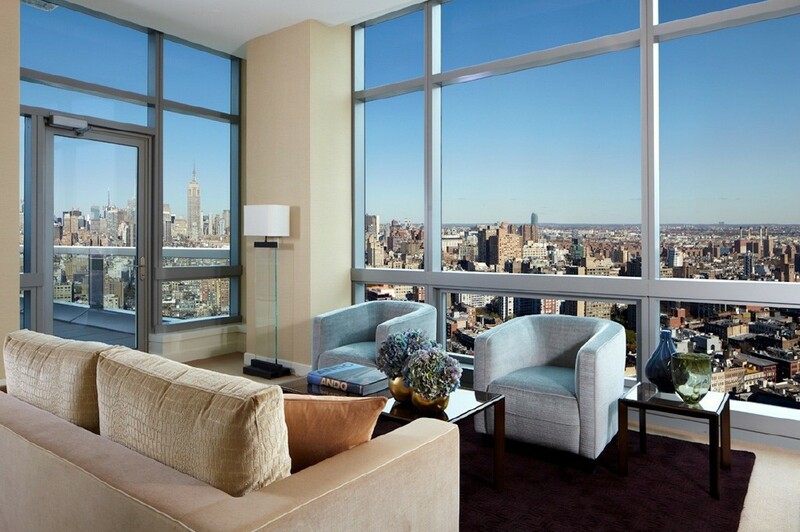 Adding distinction to the skyline, Trump SoHo New York brings a new perspective of Manhattan from its 391 guest rooms. 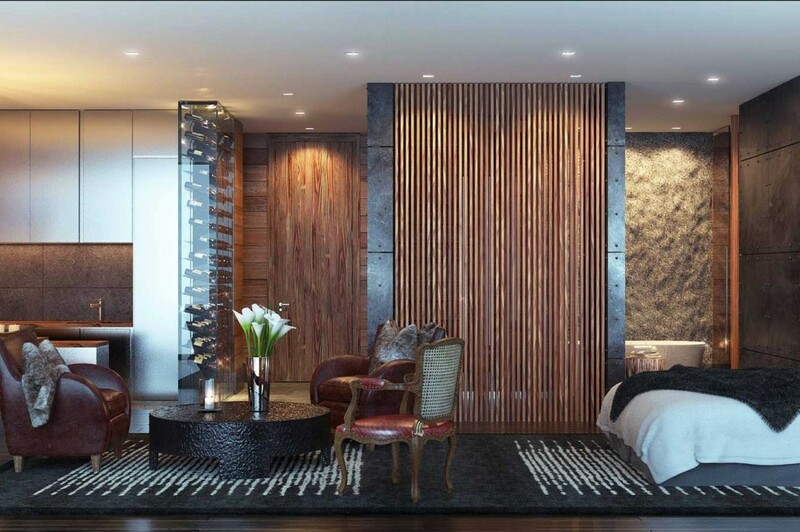 This 46 storey hotel places you in one of the city’s most exciting neighbourhoods. 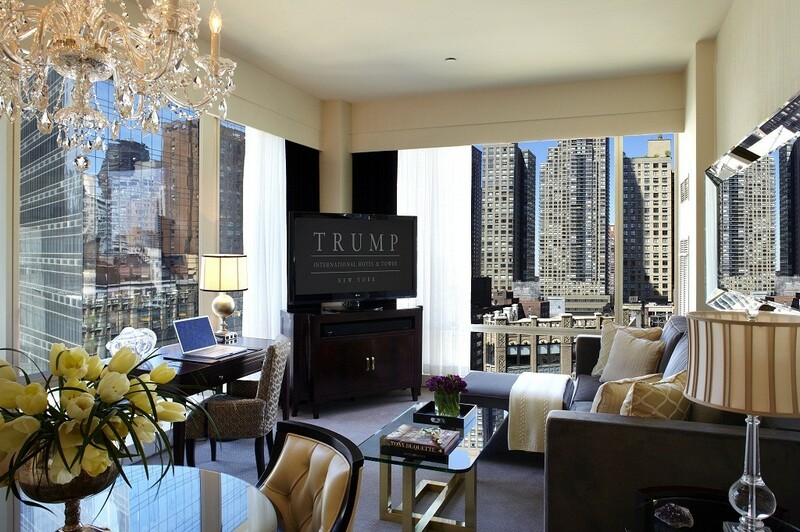 Soaring above Spring Street, Trump SoHo provides unparalleled views of the city from floor-to-ceiling windows in the Deluxe and Premiere guest rooms and suites. 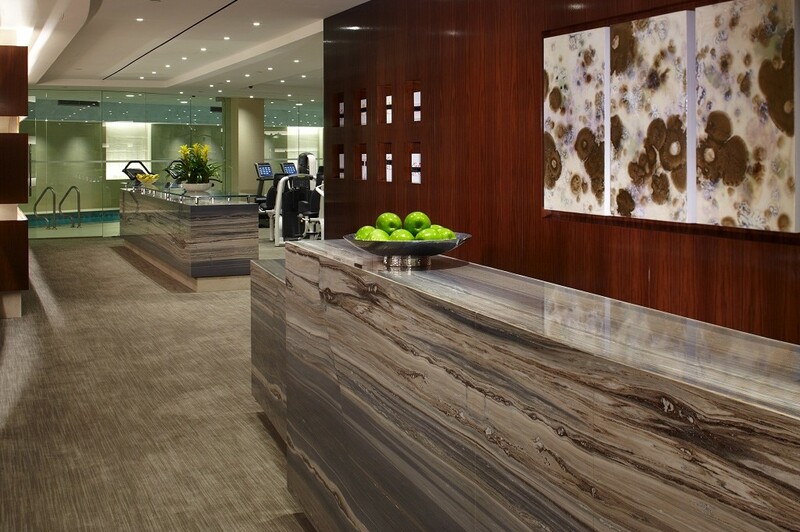 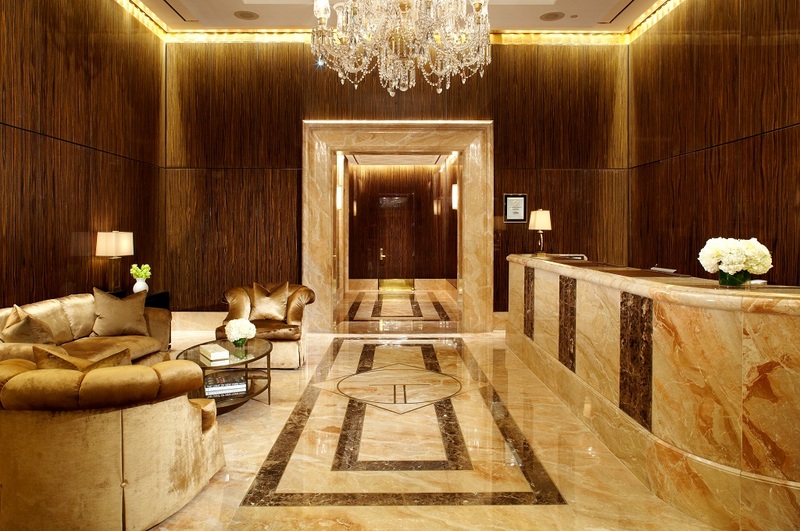 The two-storey lobby combines rich and raw elements that are reflective of SoHo’s environment. 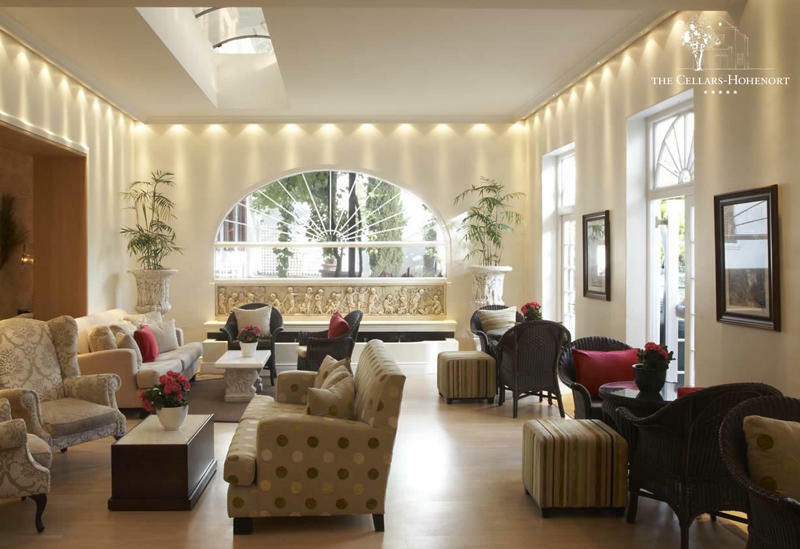 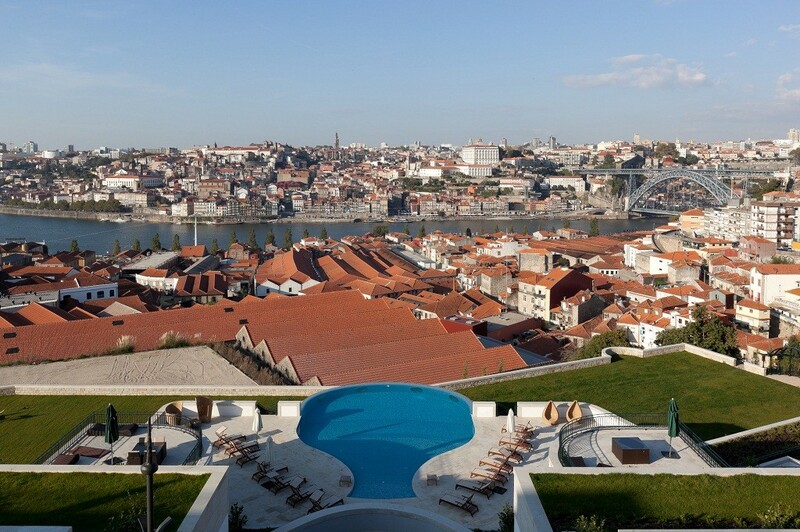 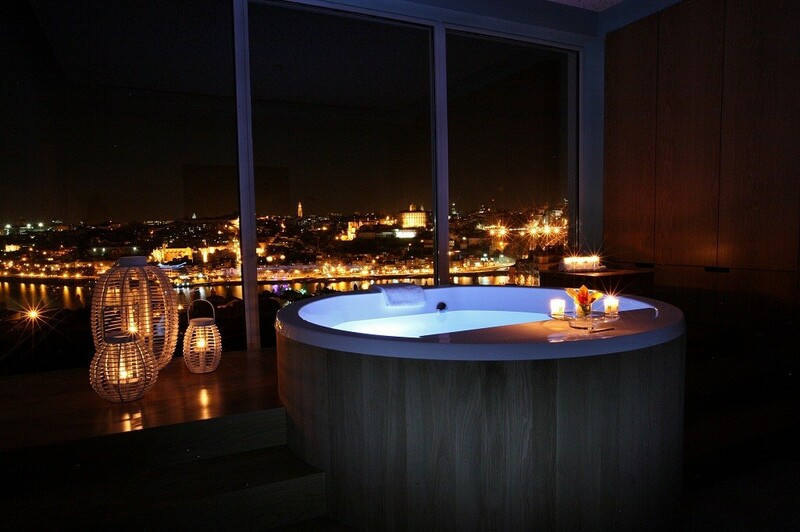 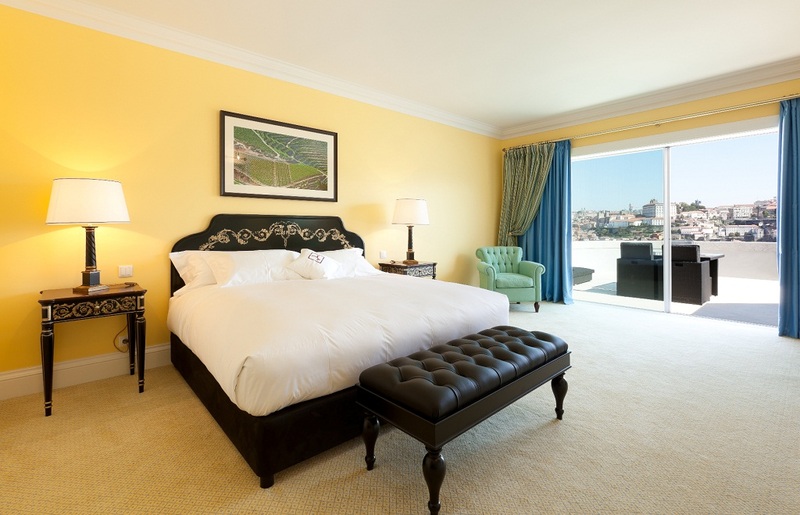 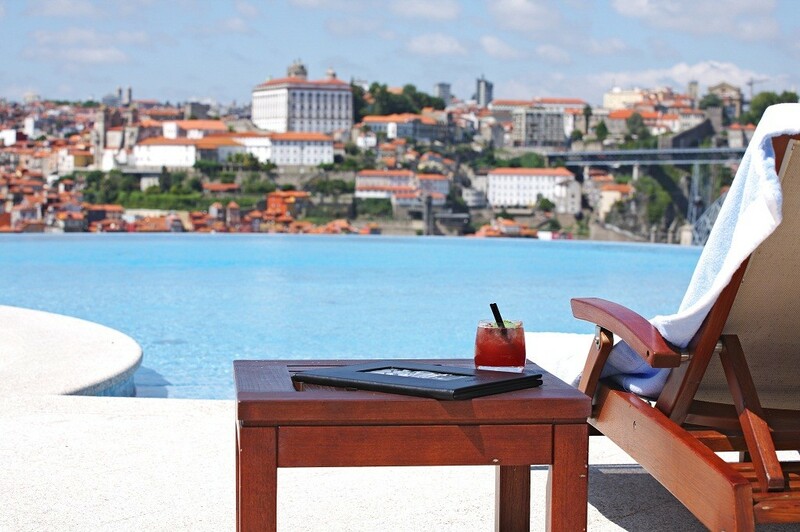 The Yeatman, a classic luxury wine hotel set in landscaped gardens within the historic Port Wine Lodge district. 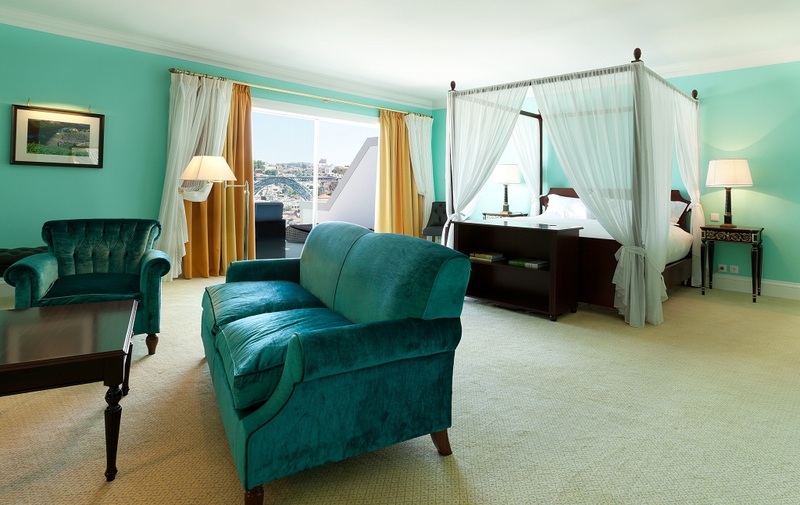 Eighty-two rooms and suites with private balconies, enjoy breathtaking vies of the Douro River and the World Heritage City of Oporto. 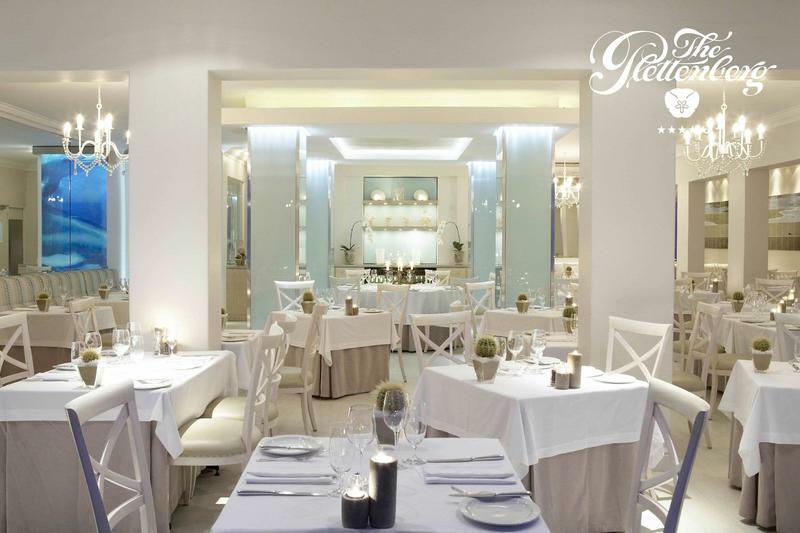 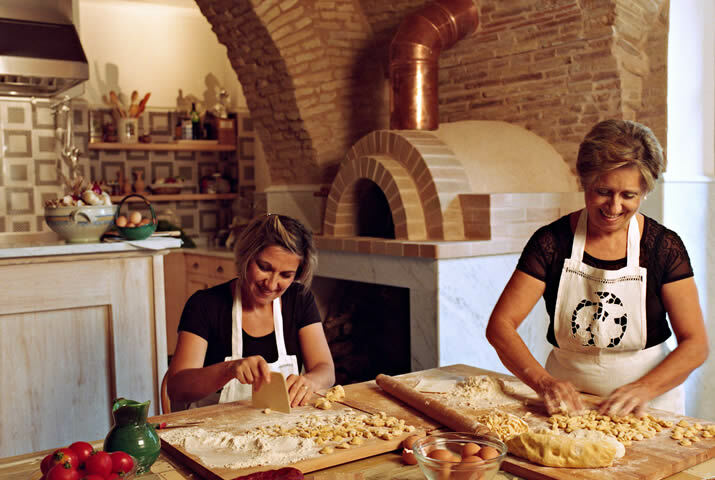 The Hotel is a haven for wine lovers with a comprehensive cellar and a gastronomic restaurant with high quality service. 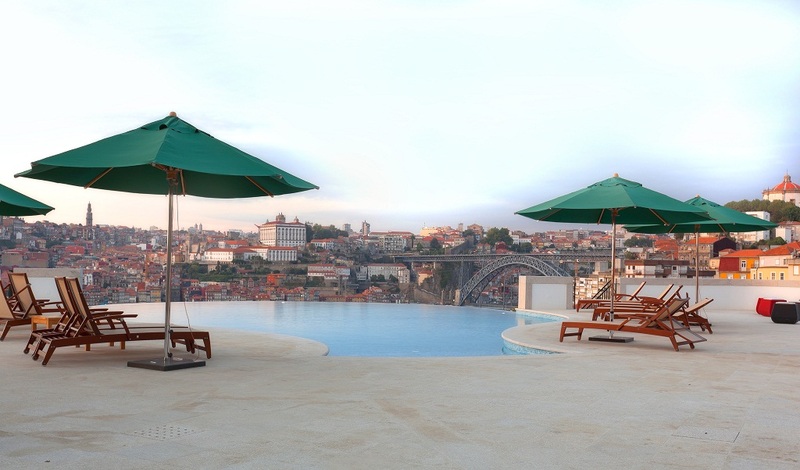 Winner of a Michelin star in the 2012 and 2013 Guides, The Restaurant at The Yeatman provides a unique gastronomic experience. 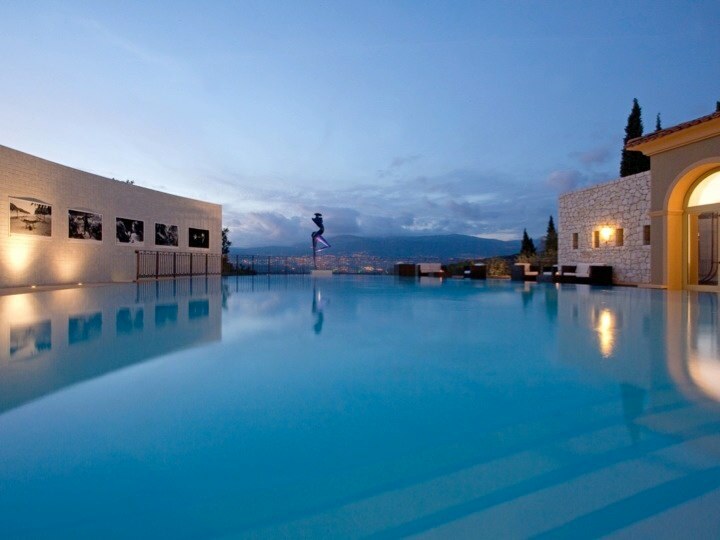 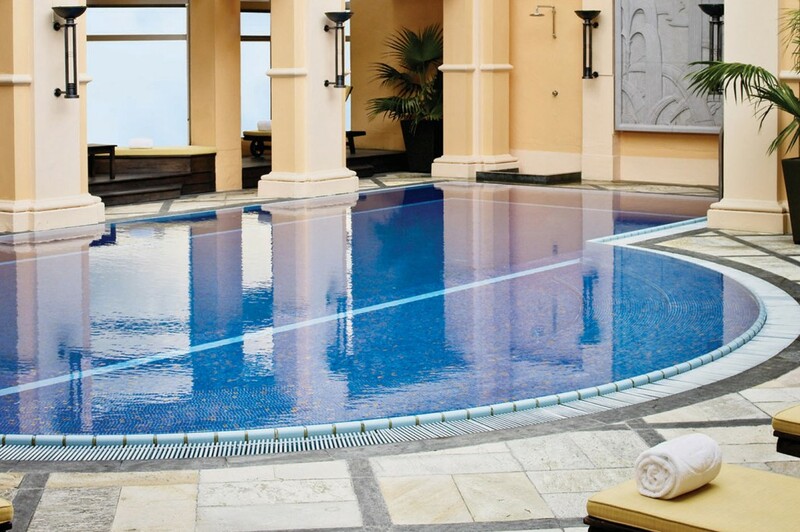 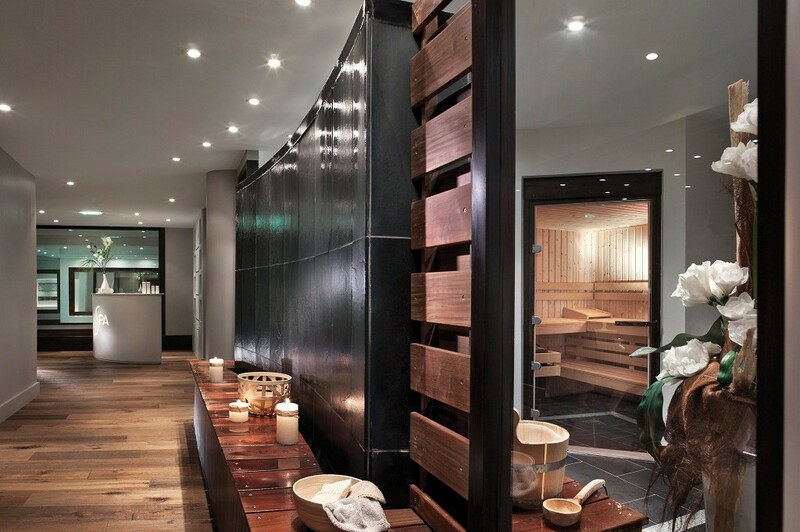 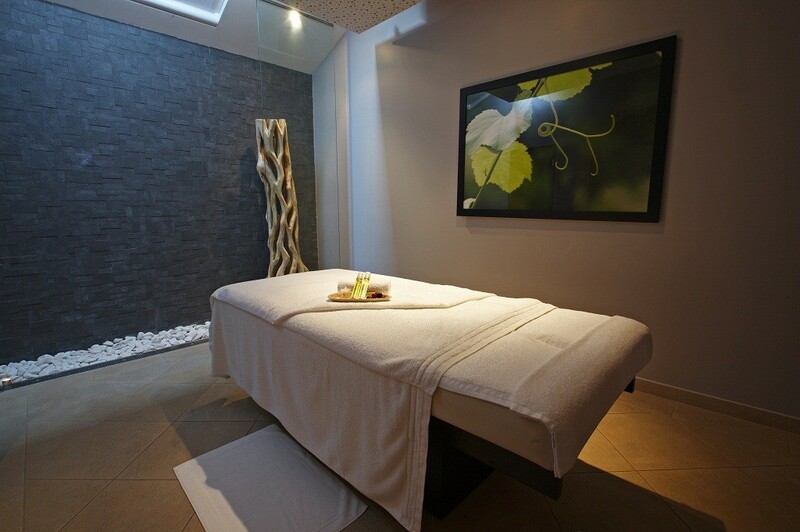 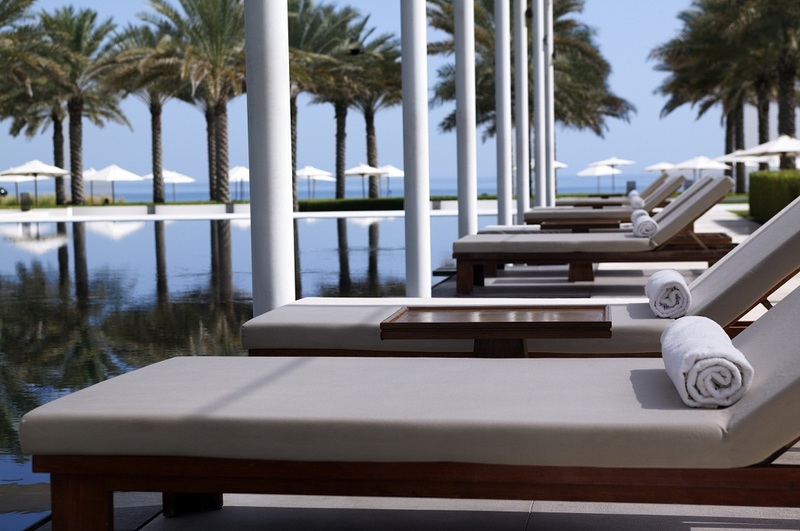 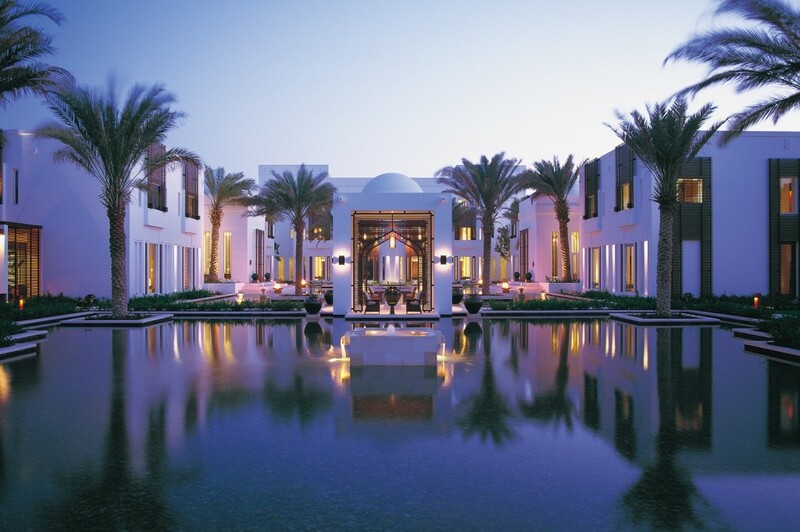 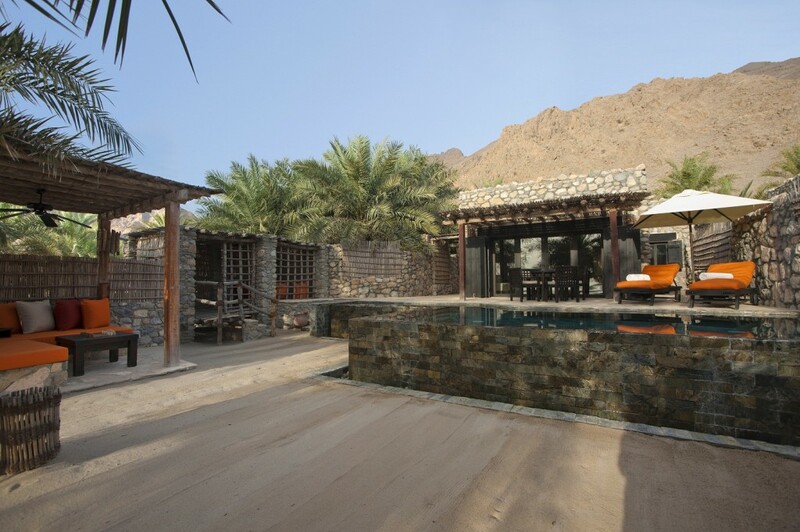 Relax in the outdoor and infoor infinity pools or enjoy a luxurious treatment in the Vinothereapie Spa by Claudine. 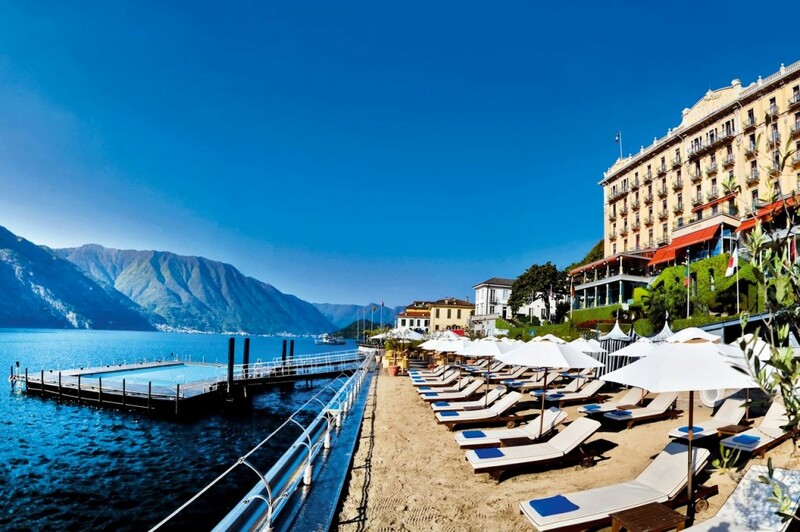 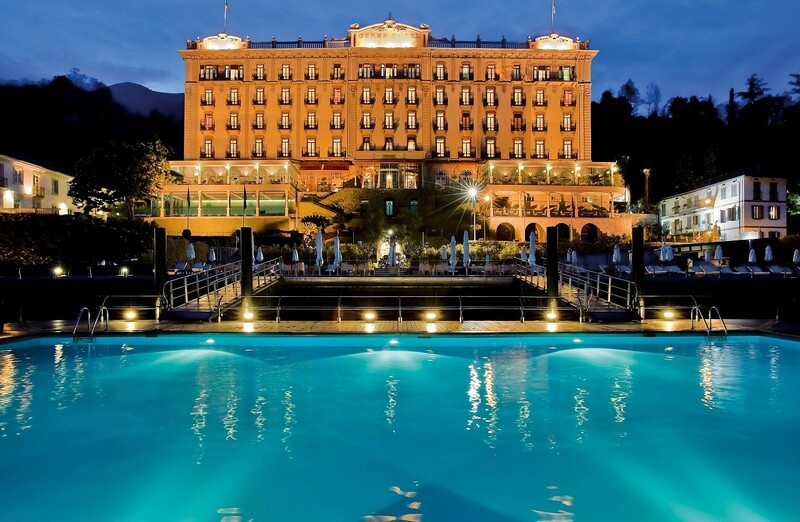 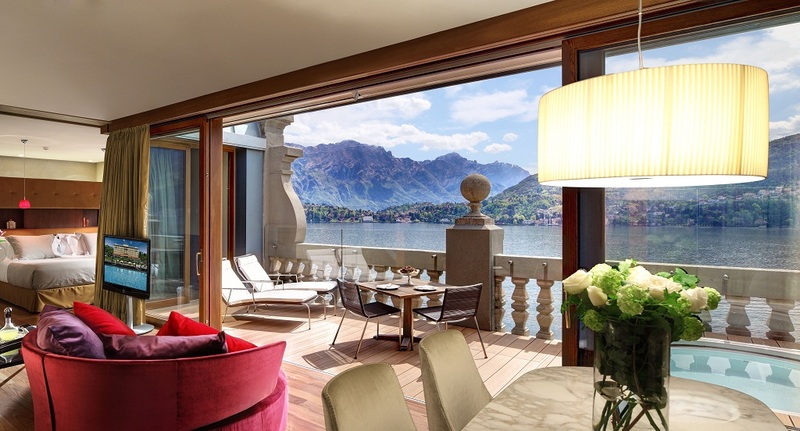 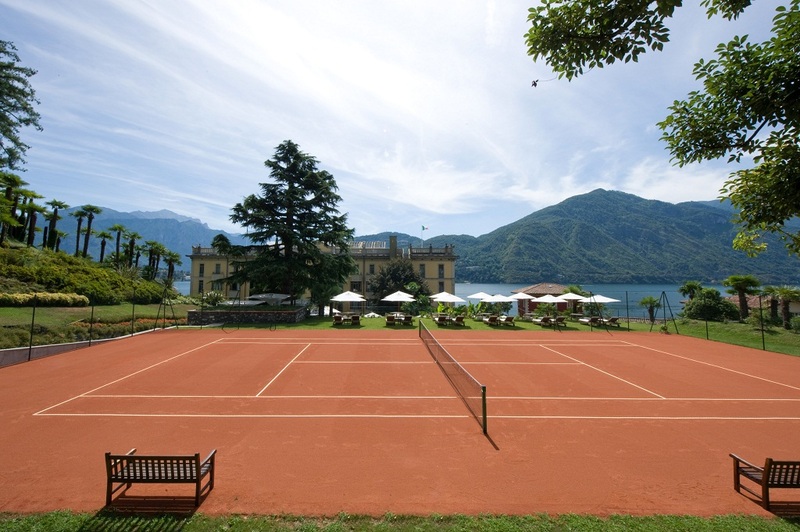 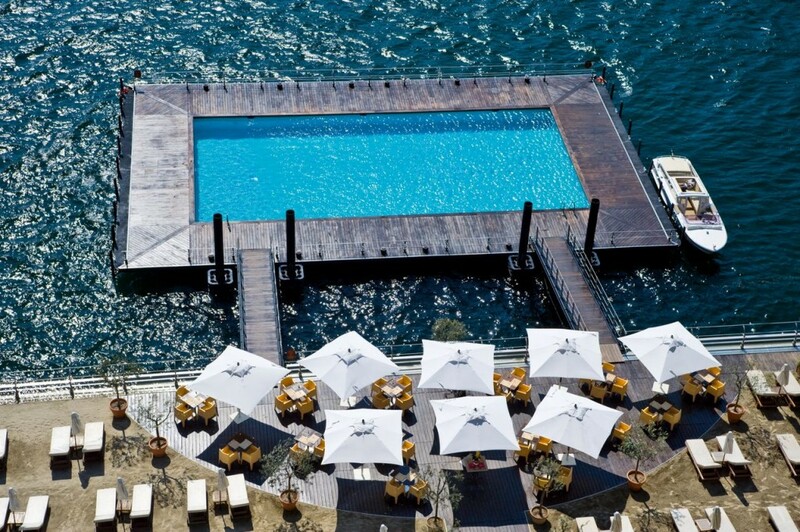 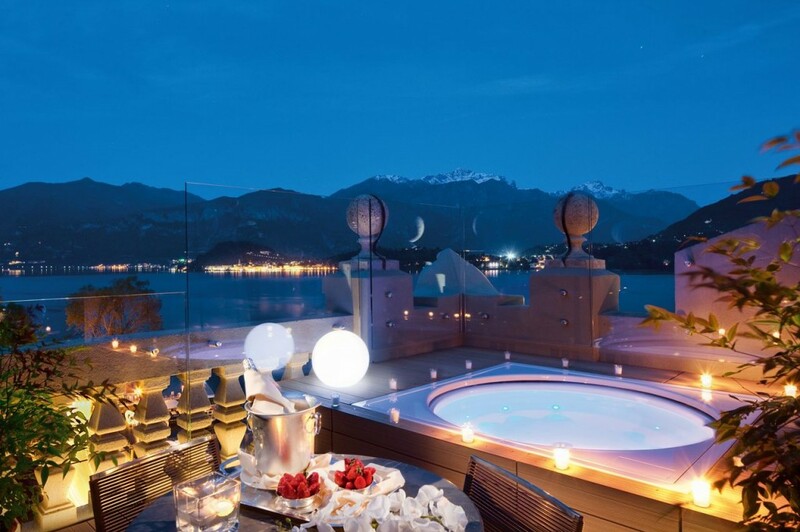 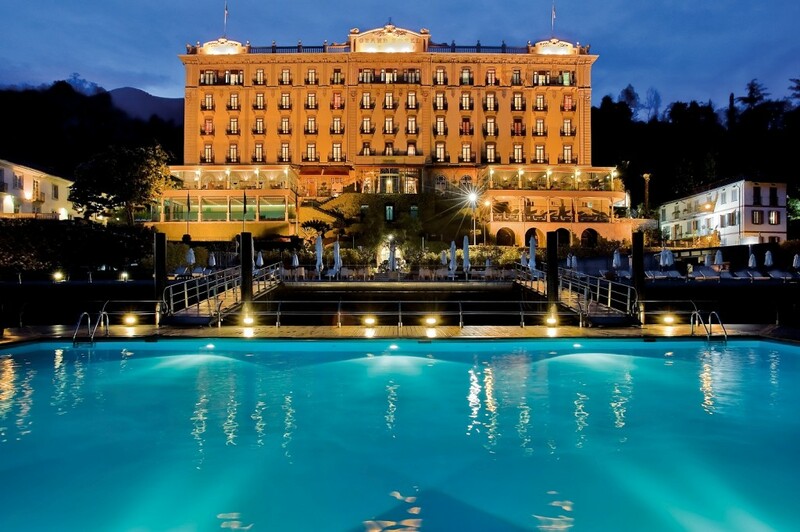 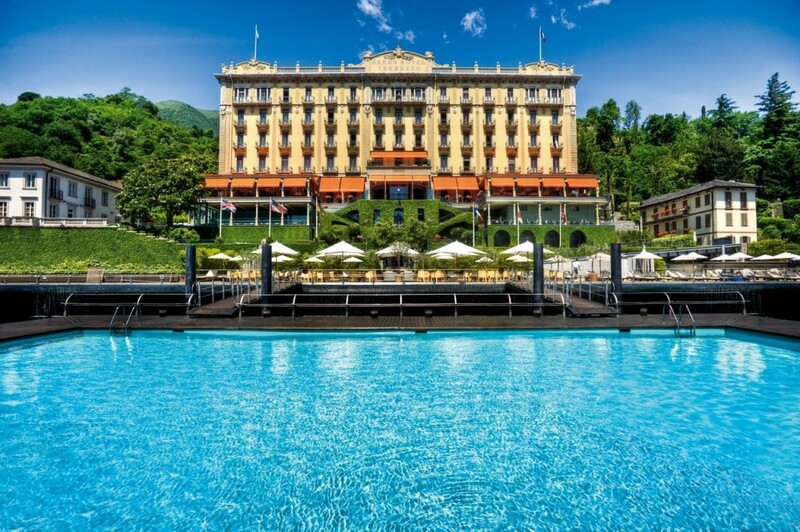 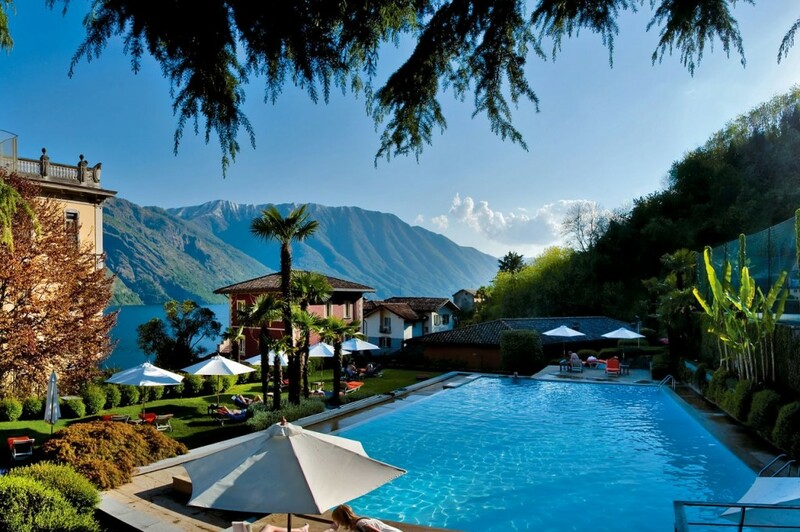 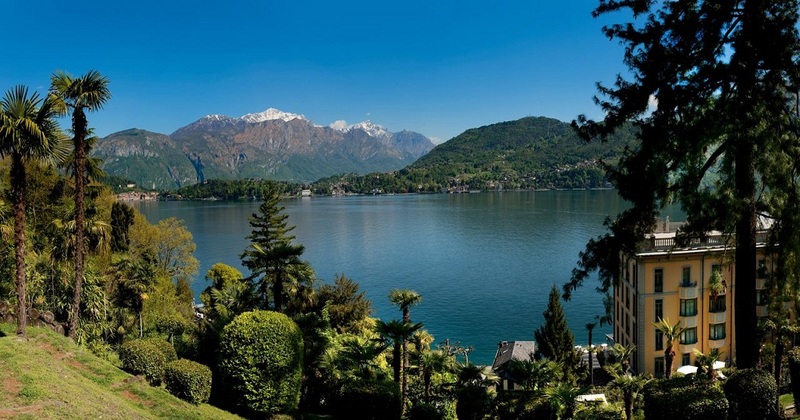 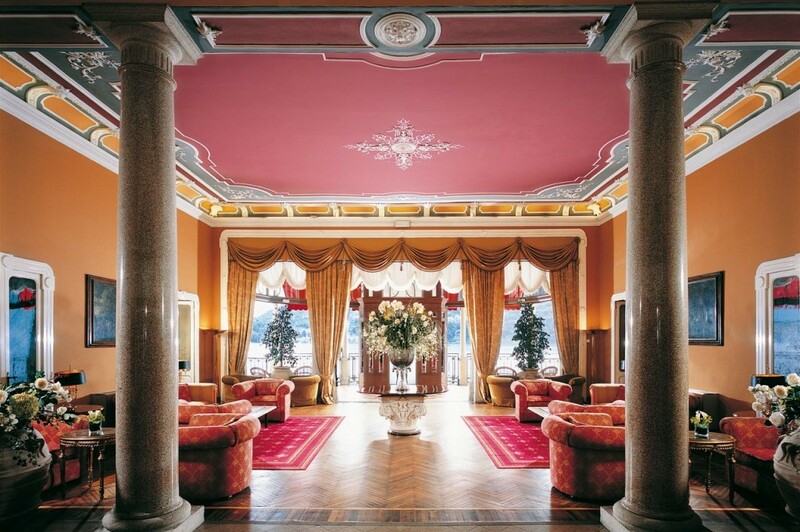 Boasting breathtaking views of Bellagio and more than 100 years of ageless allure, the iconic Grand Hotel Tremezzo is one of the most fascinating luxury hotels on Lake Como. 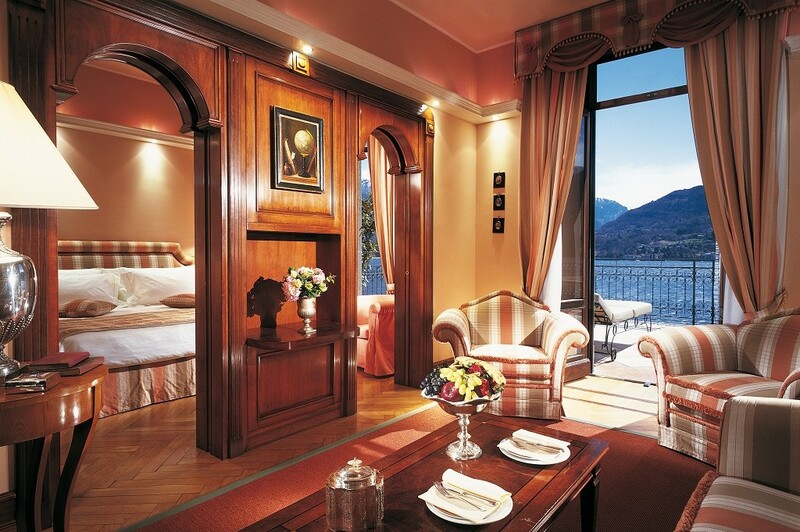 With 86 elegant rooms and 11 luxurious suites, including the 8 new exclusive Rooftop Suites, this vintage symbol of Italian hospitality offers all the delights of a true 5-star vacation and a whole world of temptations; 3 spectacular pools, private beach, `epoque private boat, the luxurious T Spa with ESPA exclusive treatments, over 6 acres of lush secular park and five different restaurants and bars offering the culinary art of Italy’s most famous chef, Gualtiero Marchesi. 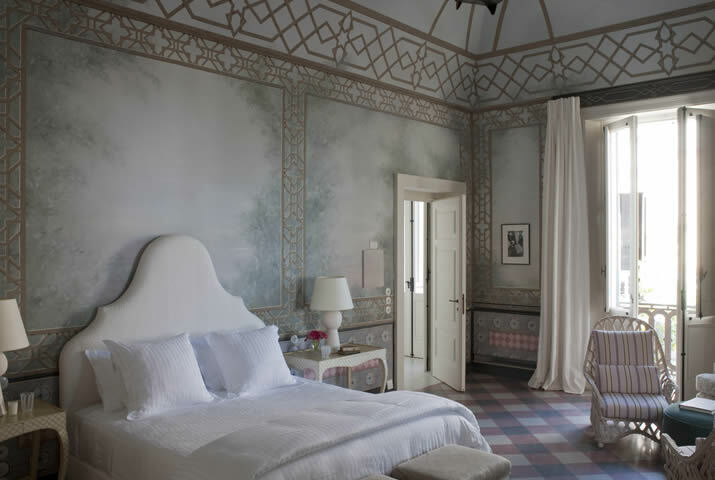 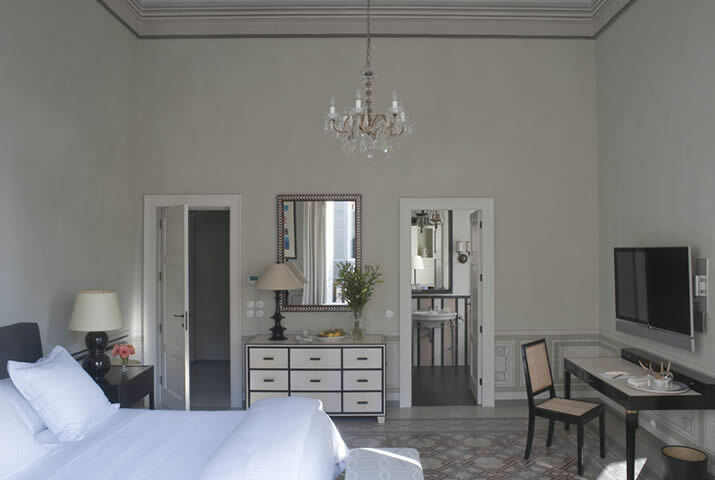 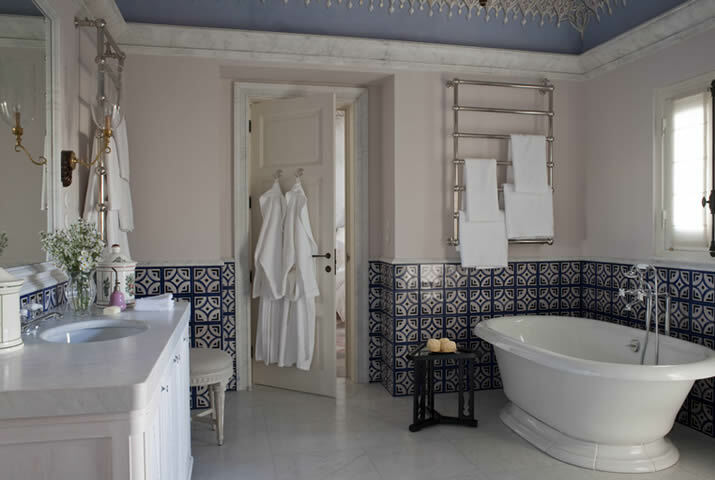 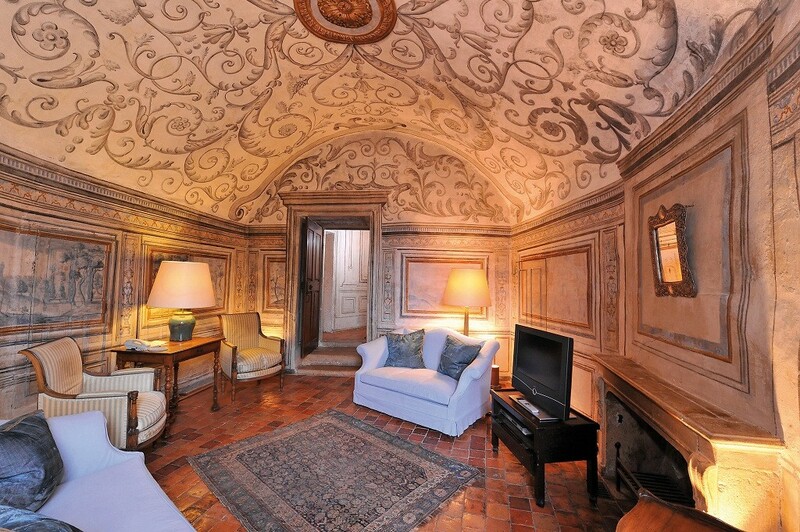 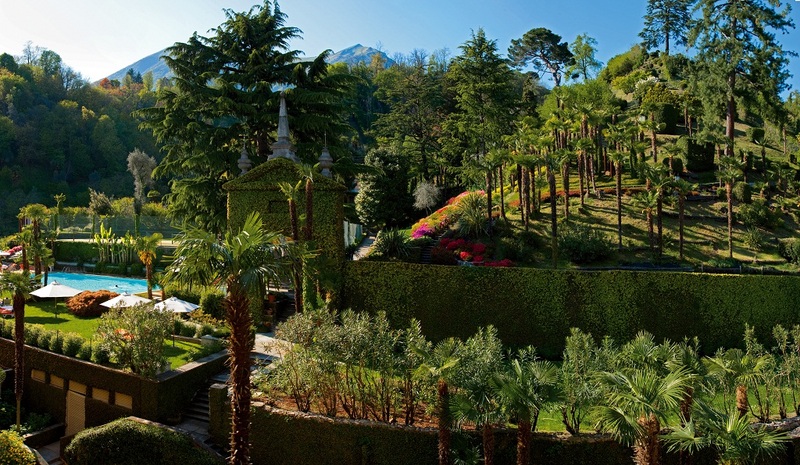 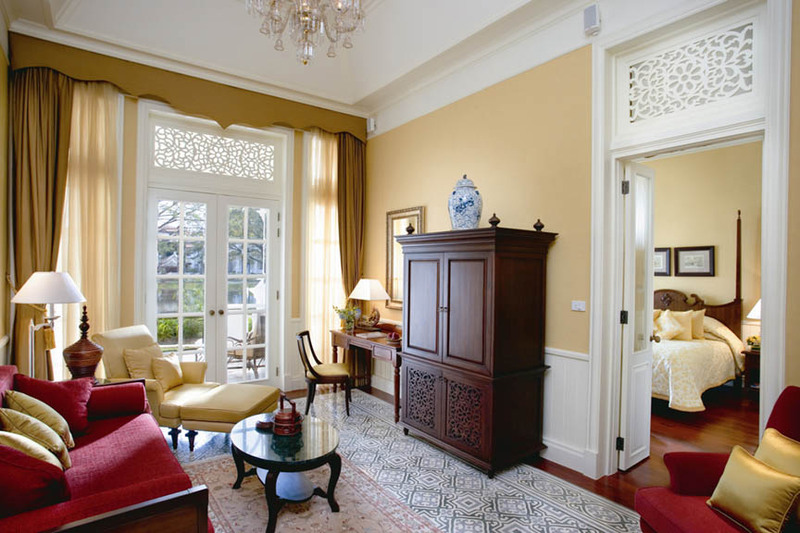 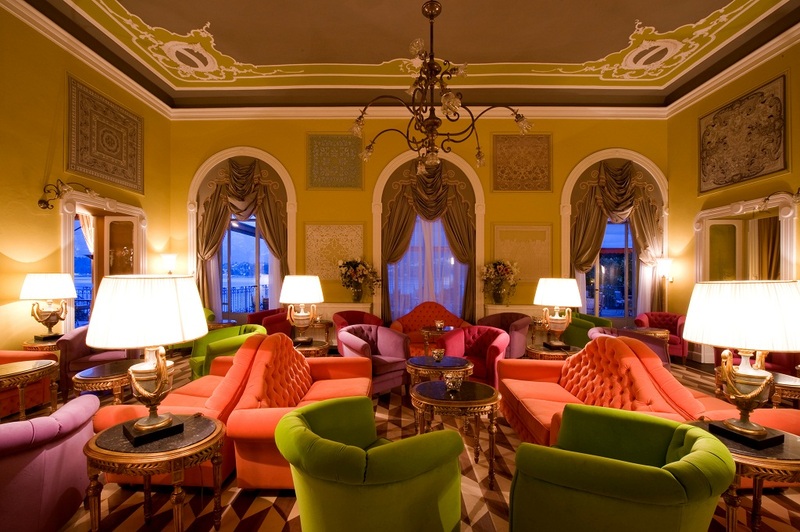 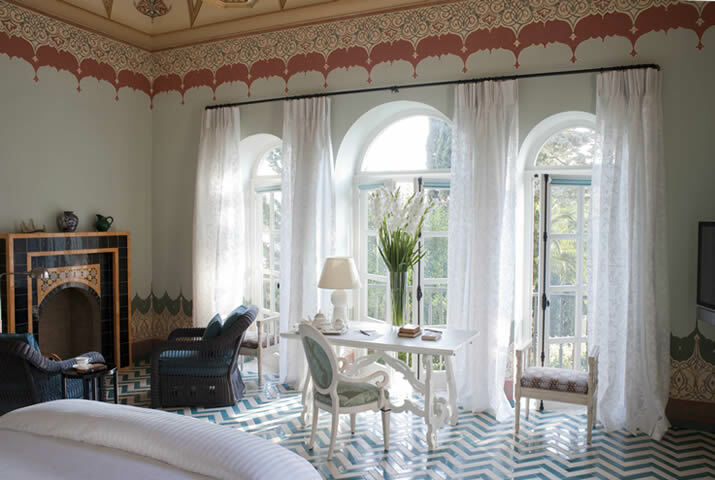 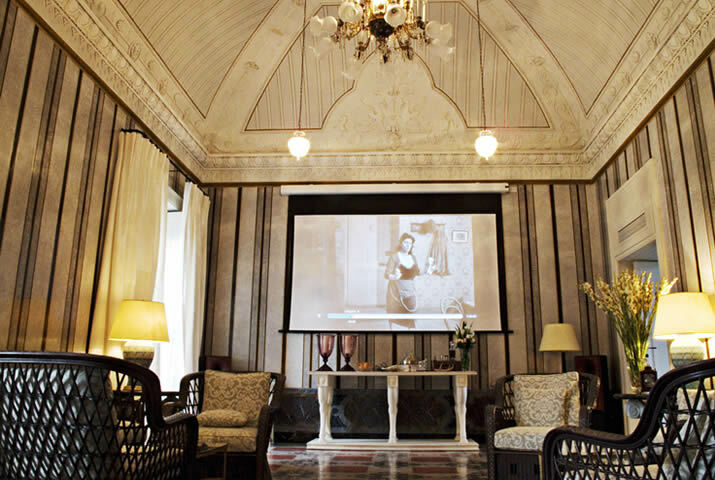 Opened in March 2012, Palazzo Margherita is the latest addition to Coppola Resorts, a collection of five intimate hideaways across the globe created by acclaimed director Francis Ford Coppola. 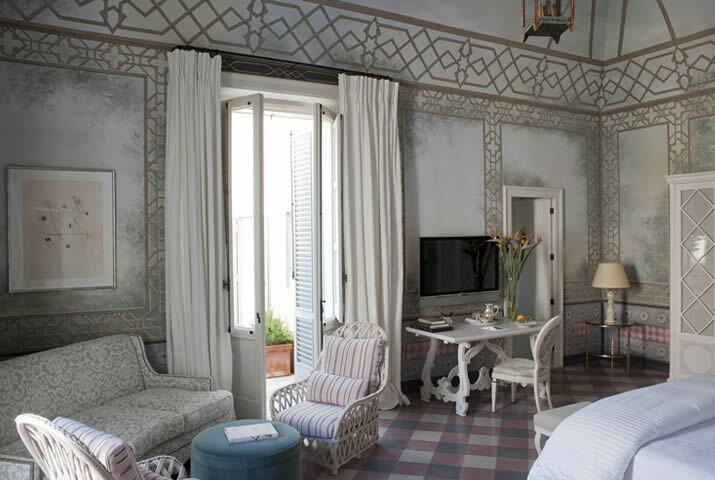 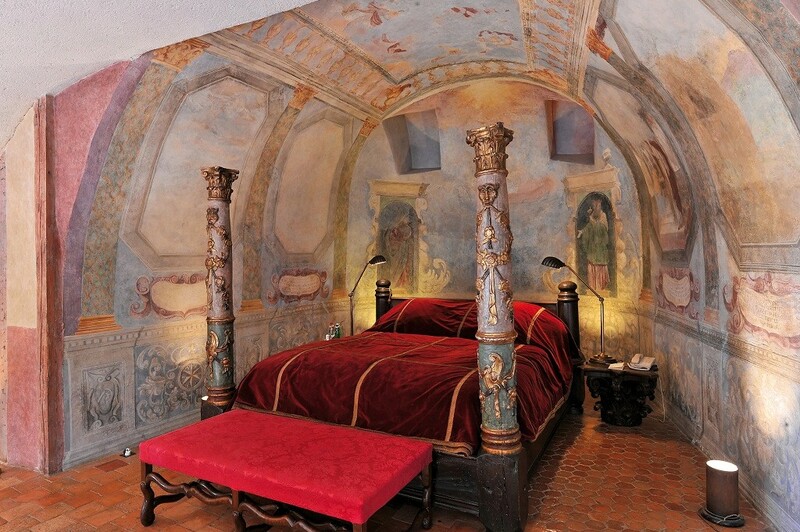 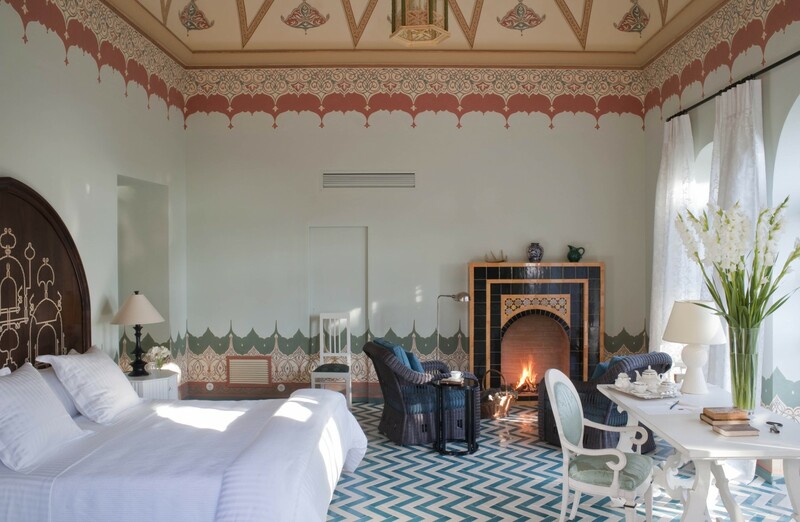 It is a lovingly restored 19th century palazzo located in the southern Italian town of Bernalda, where Francis’ grandfather was born. 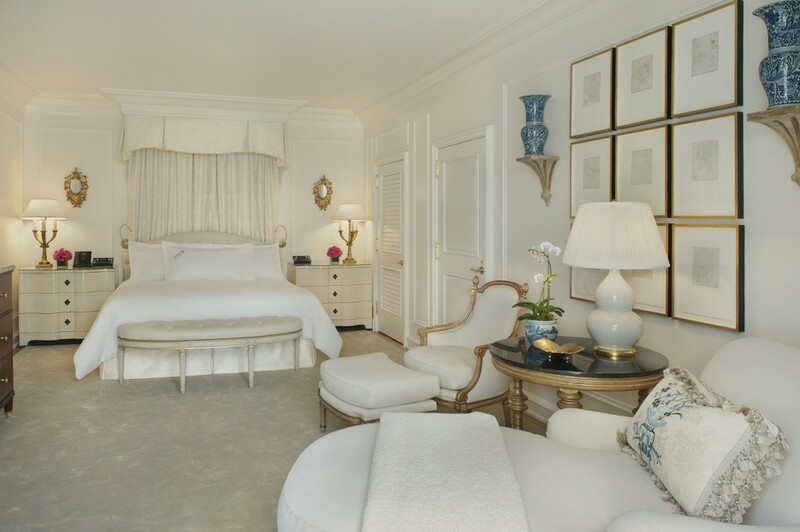 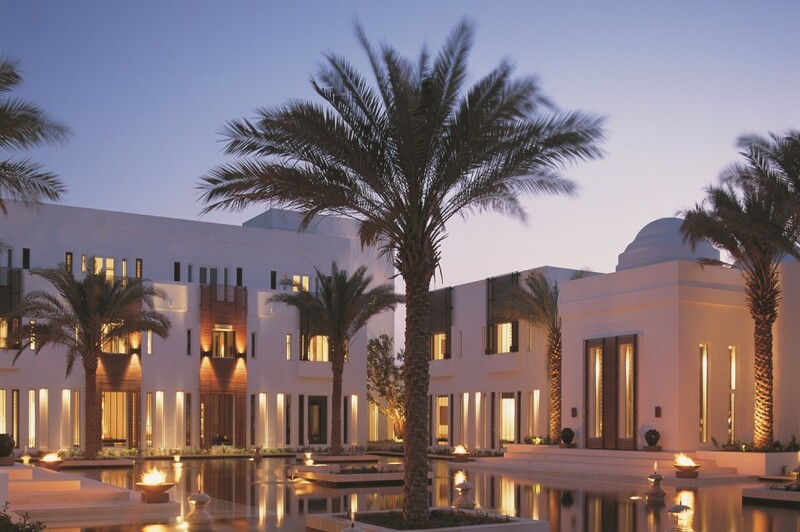 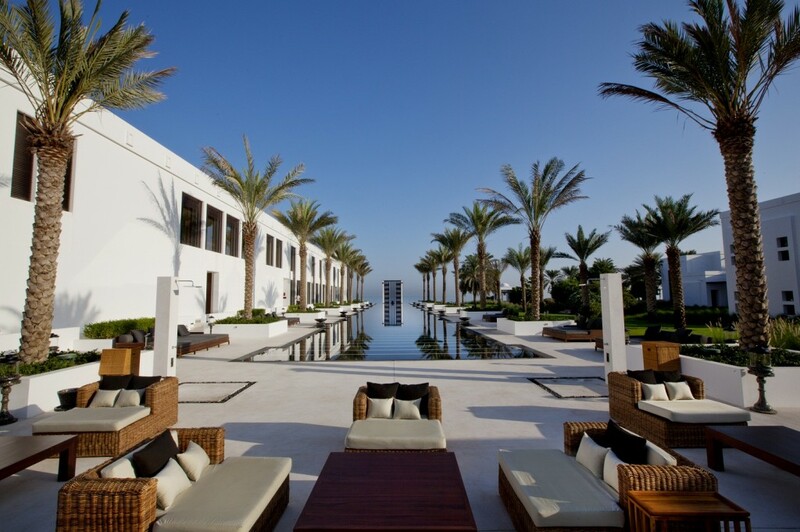 The property has the feel of a luxurious, private home with nine spacious suites, each with a distinct Italian decor, and amenities including a large, eat-in kitchen, a salon and state-of-the-art screening room, in-room spa services and a formal garden, pool and pool bar. 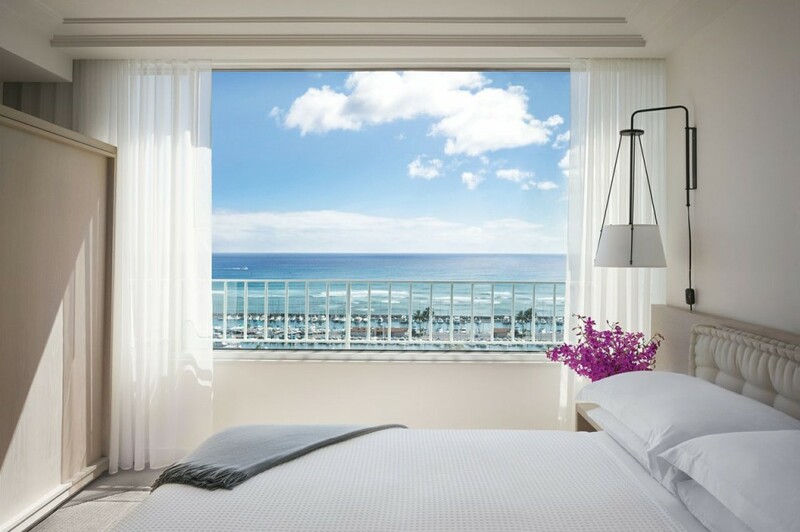 The MODERN Honolulu is Hawaii’s newest leading luxury lifestyle hotel combining true innovation with friendly modern service. 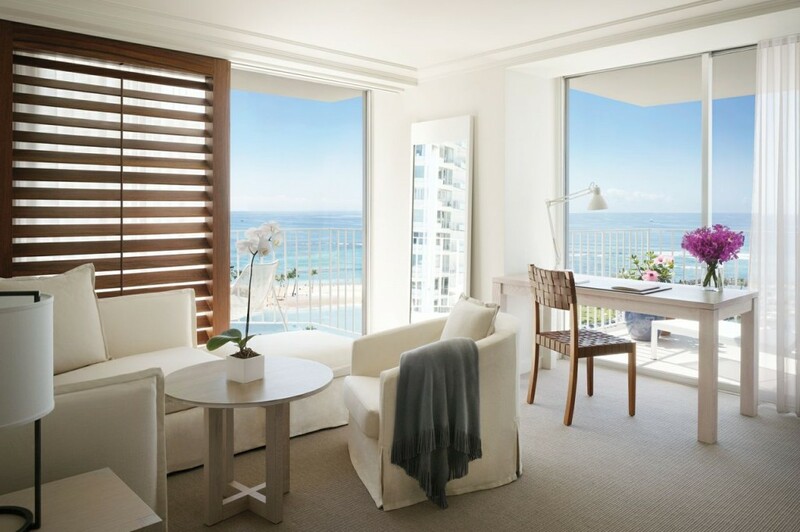 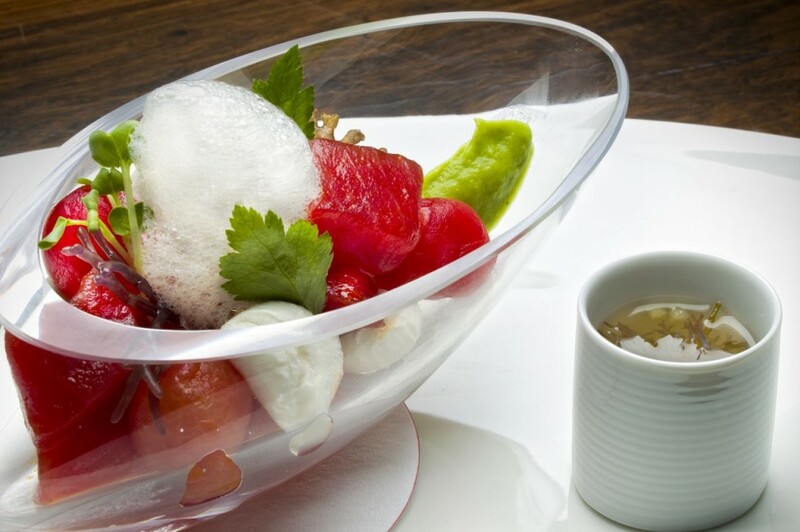 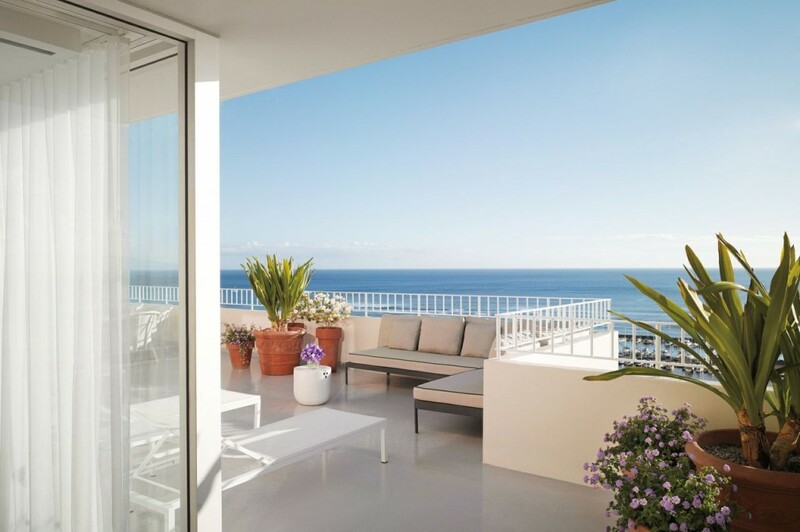 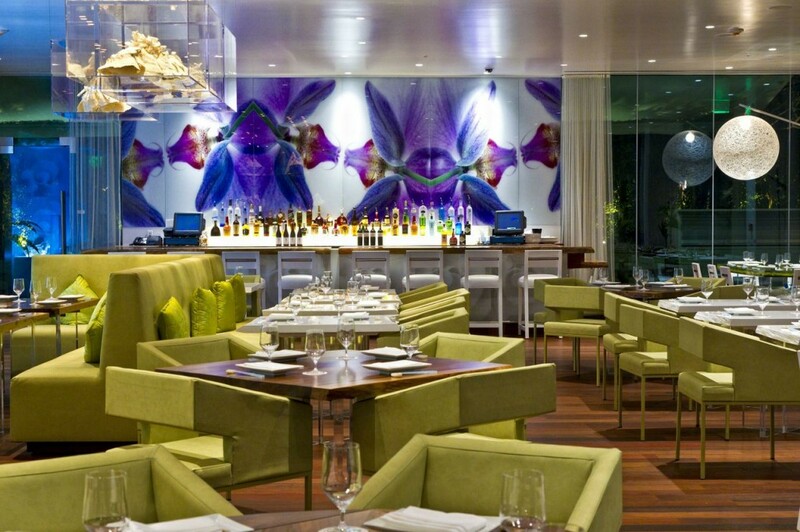 Home to Iron Chef Masaharu Morimoto’s celebrated restaurant Morimoto Waikiki, The MODERN Honolulu features 352 stylish rooms/suites highlighting the glittering Honolulu skyline, moored yachts in the harbor and spectacular ocean views. 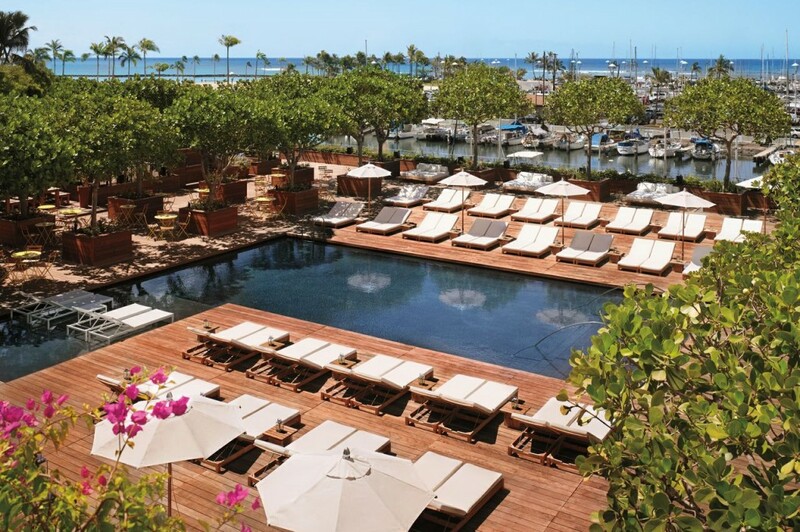 Throughout their stay guests may also enjoy the Sunset Pool, Sunrise Pool, The Spa at The MODERN Honolulu and four bars including The Study, a trendy and sophisticated lounge. 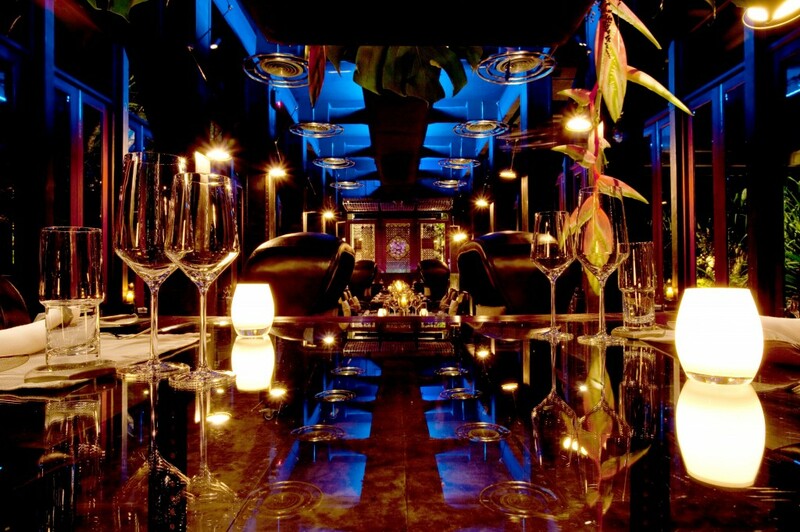 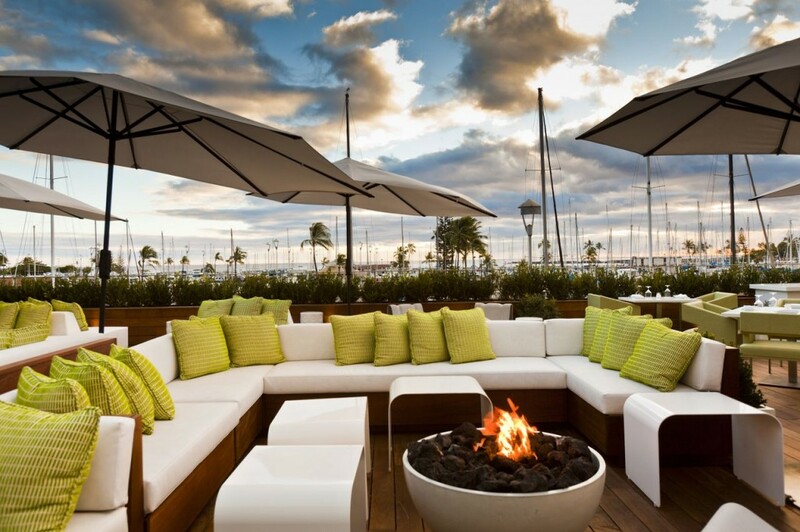 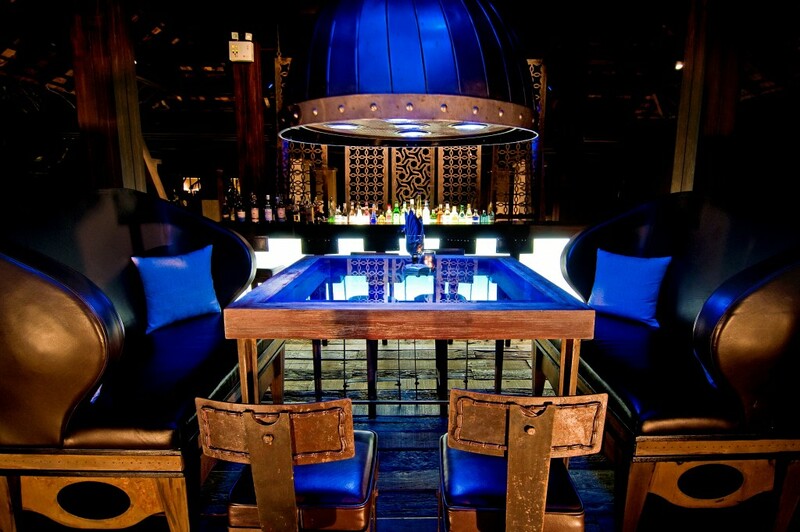 The MODERN Honolulu is also home to Hawaii’s trendiest nightclub with VIP bottle/table service, ADDICTION on site. 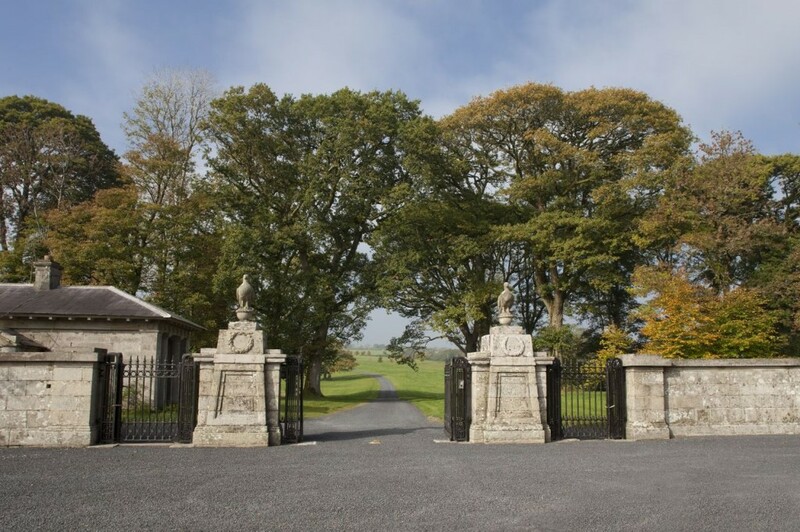 Set at the foot of the Slieve Bloom Mountains in the centre of Ireland, Ballyfin is a place of history and romance, of tranquillity and great natural beauty. 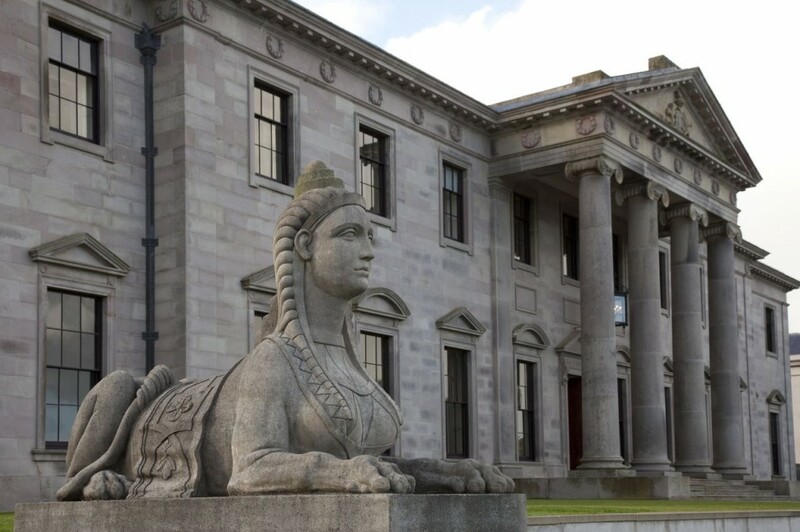 The house has long been admired as the most lavish Regency mansion in Ireland. 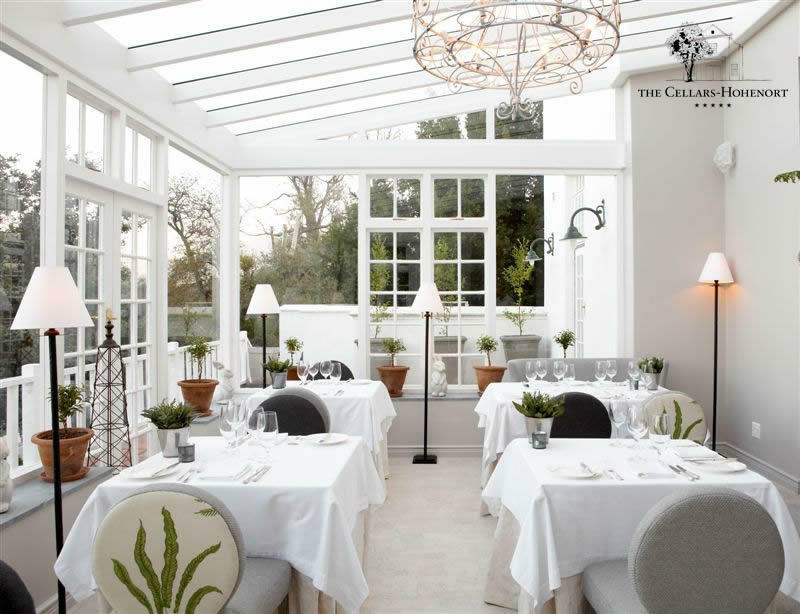 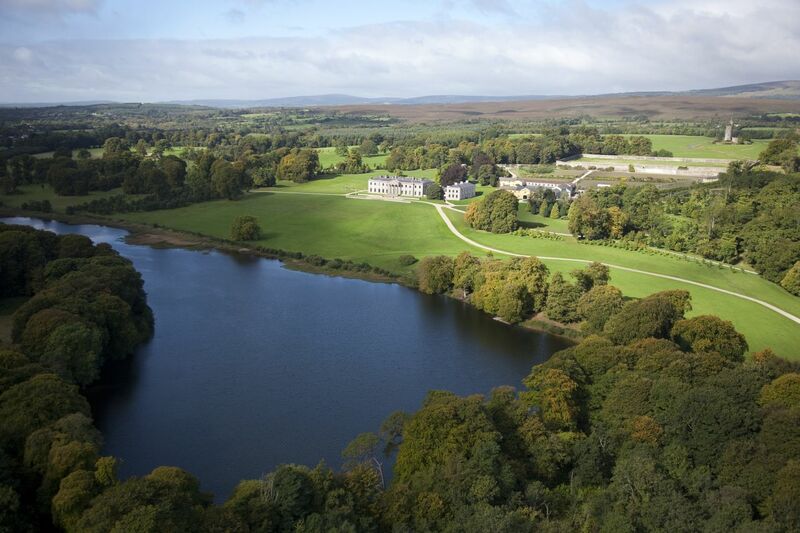 It offers the very best of Irish hospitality in the most beautiful surroundings imaginable. With only fifteen rooms for the 600 acre estate, this 5 star luxury hotel is the perfect place for a break from the stresses of the modern world and provides discretion and privacy like few other destinations. 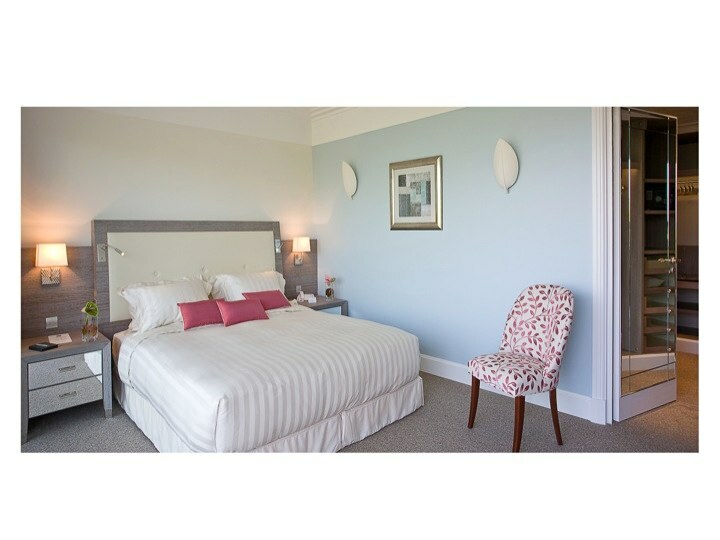 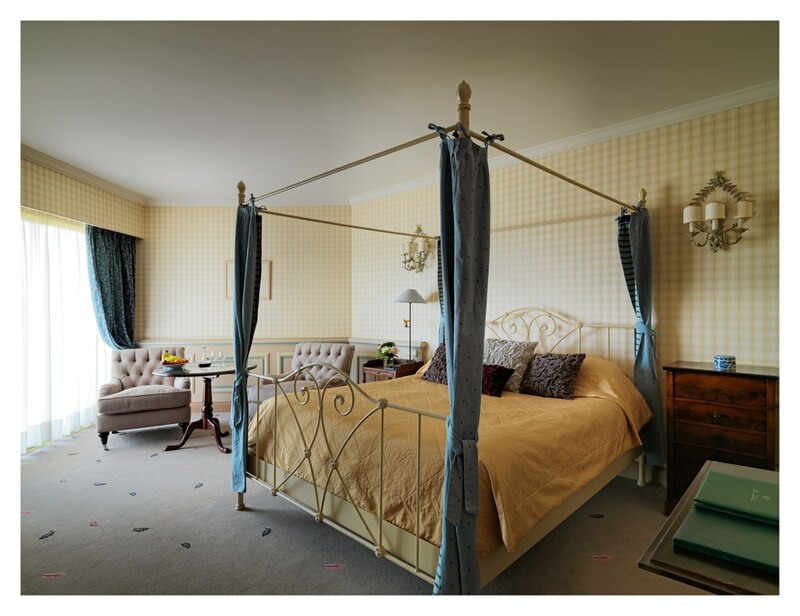 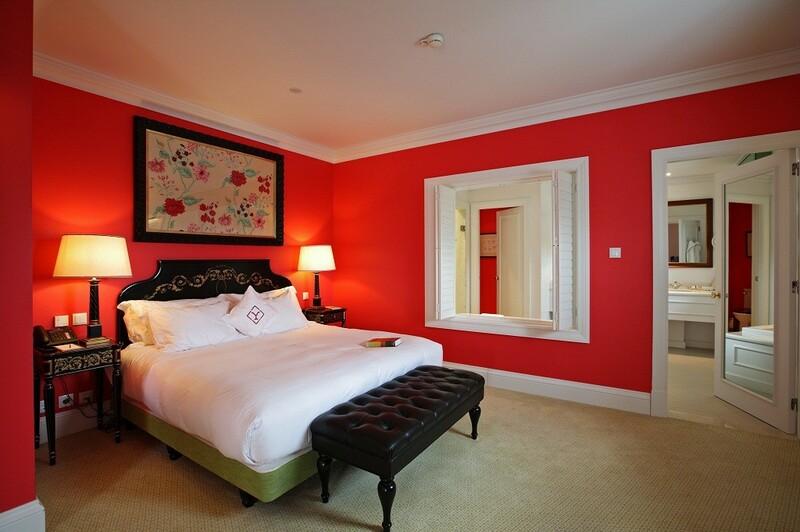 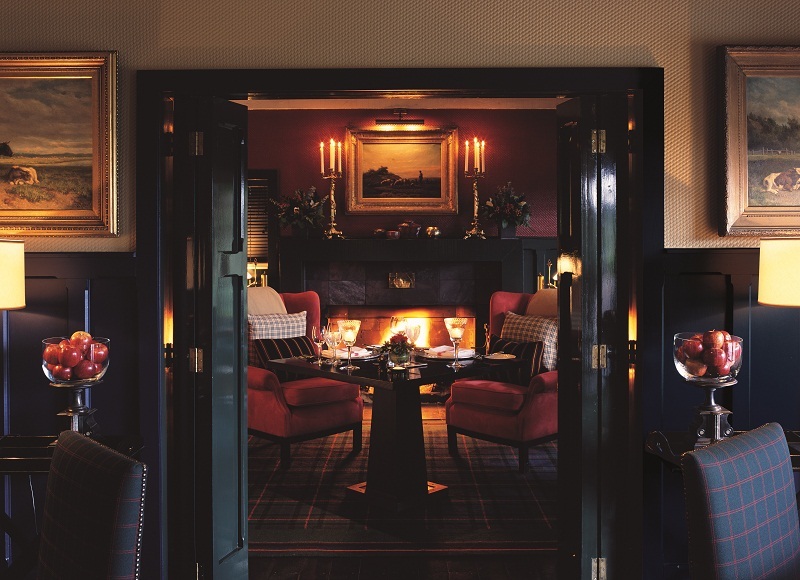 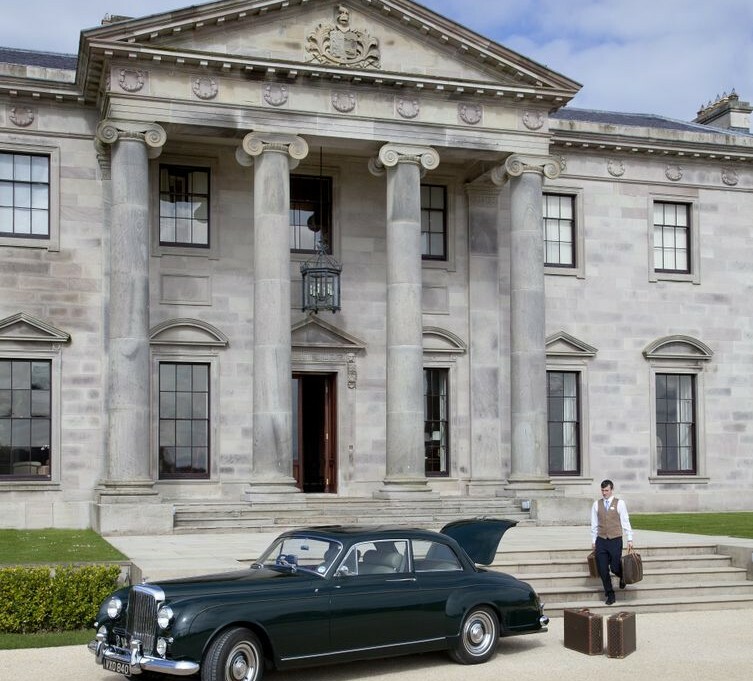 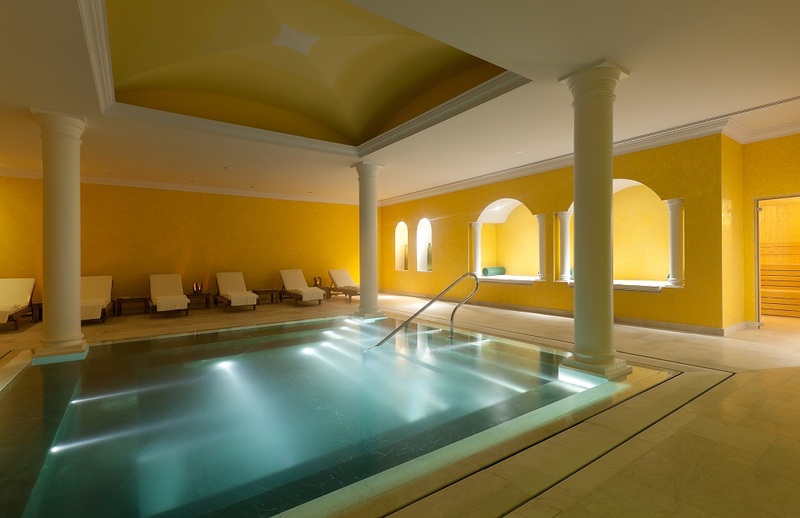 Come and enjoy life in 5 star luxury in one of the greatest country houses in Ireland. 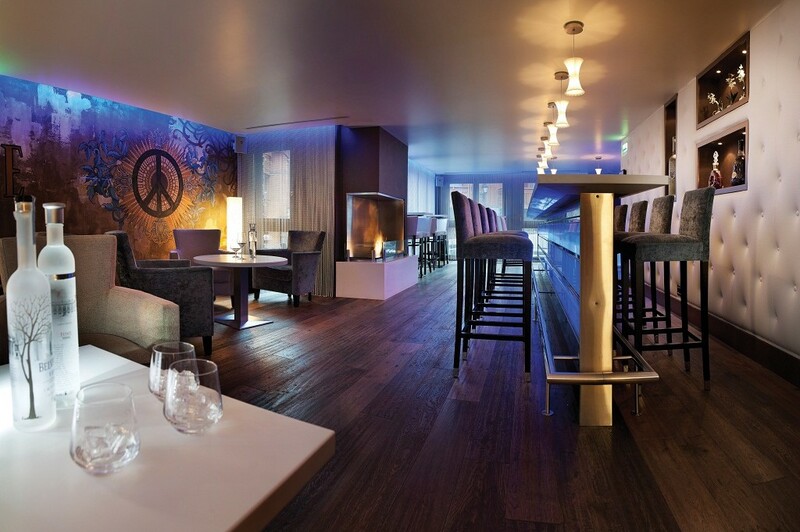 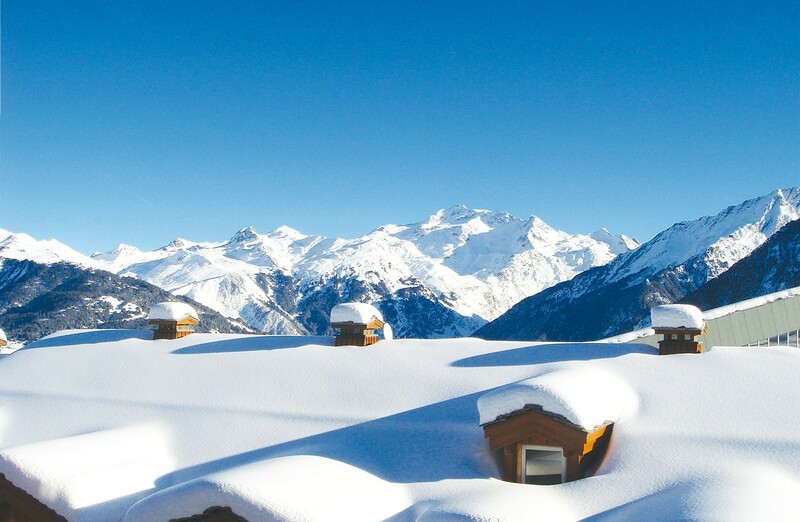 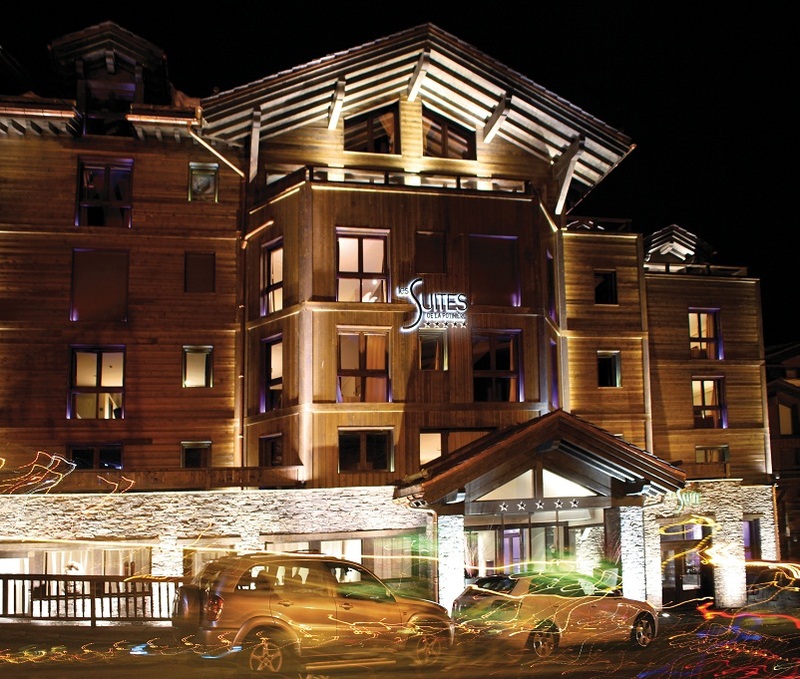 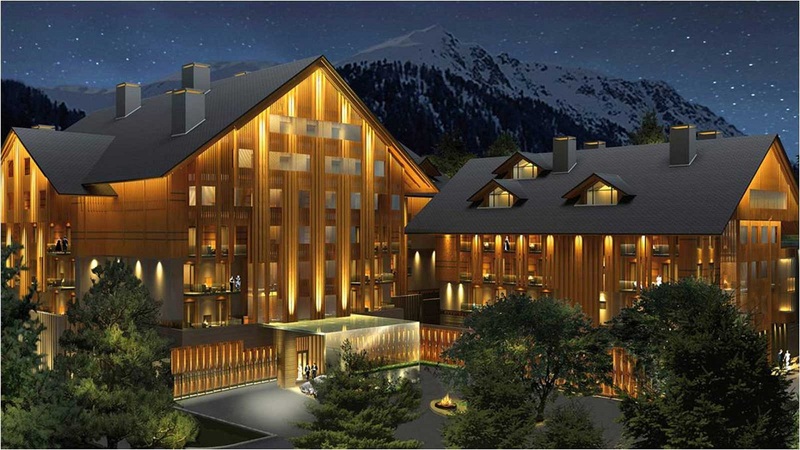 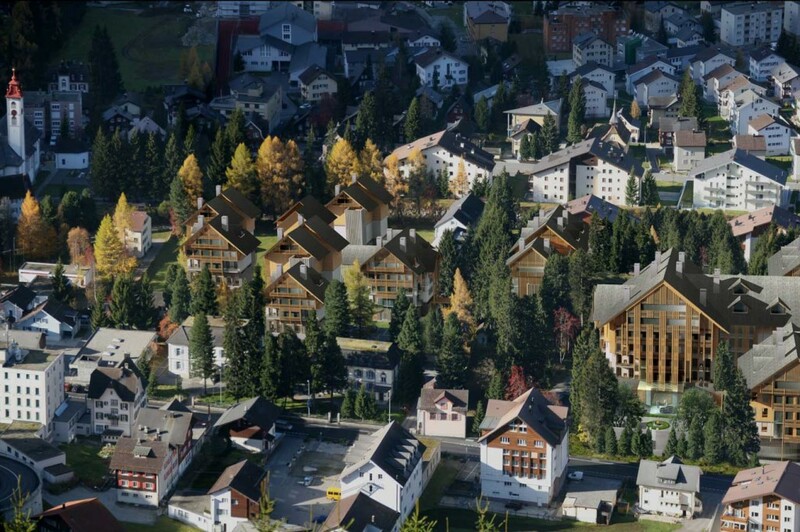 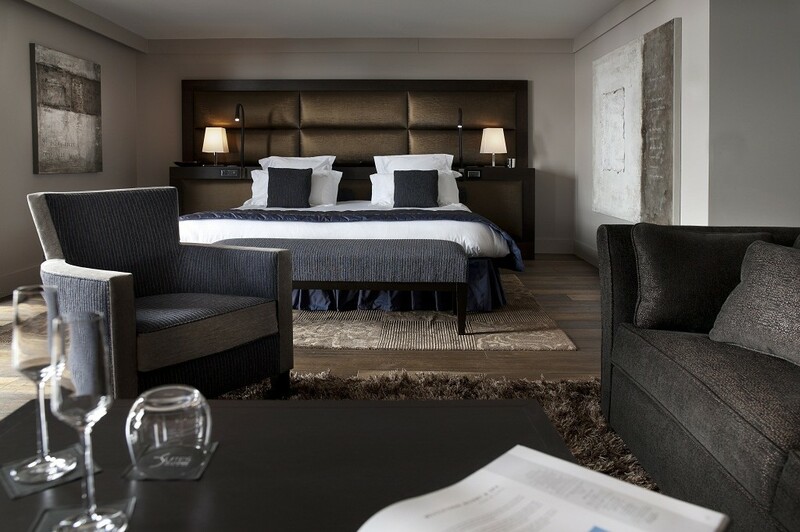 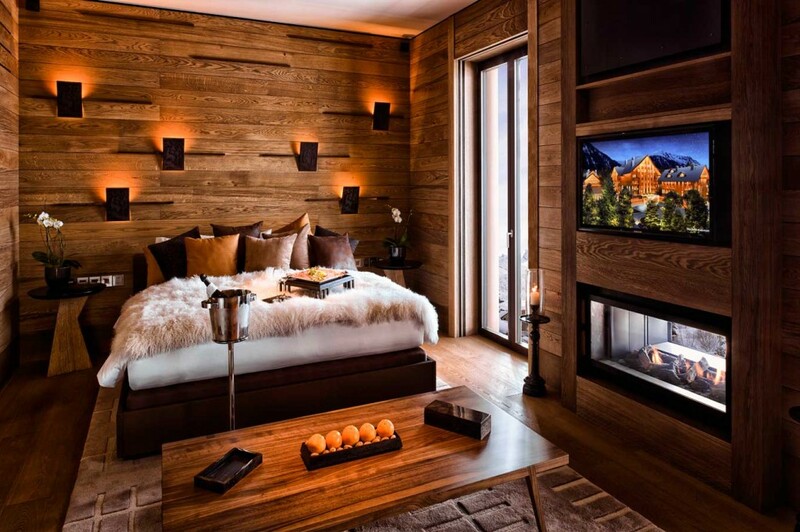 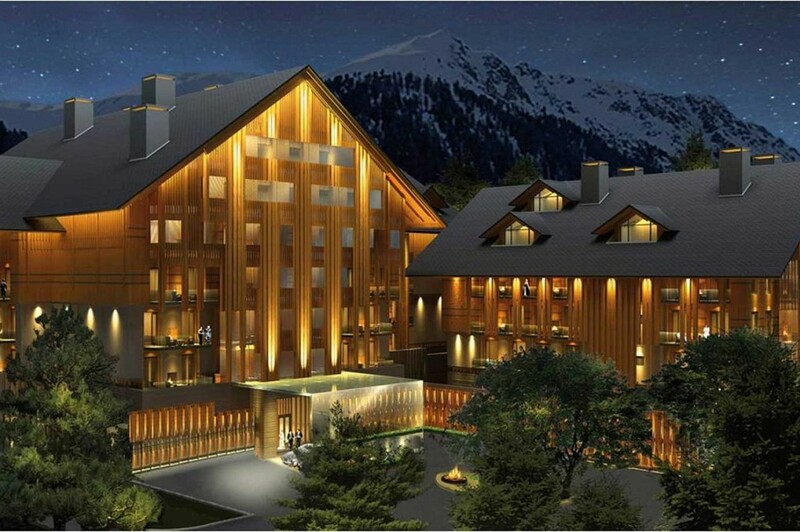 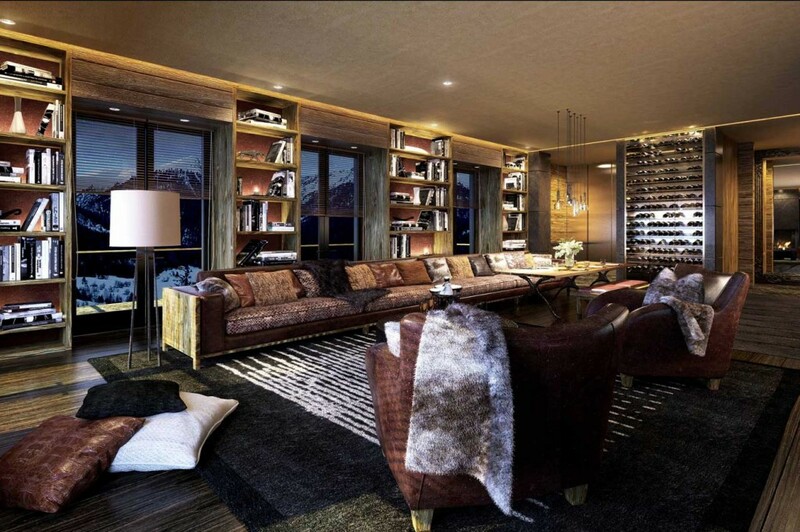 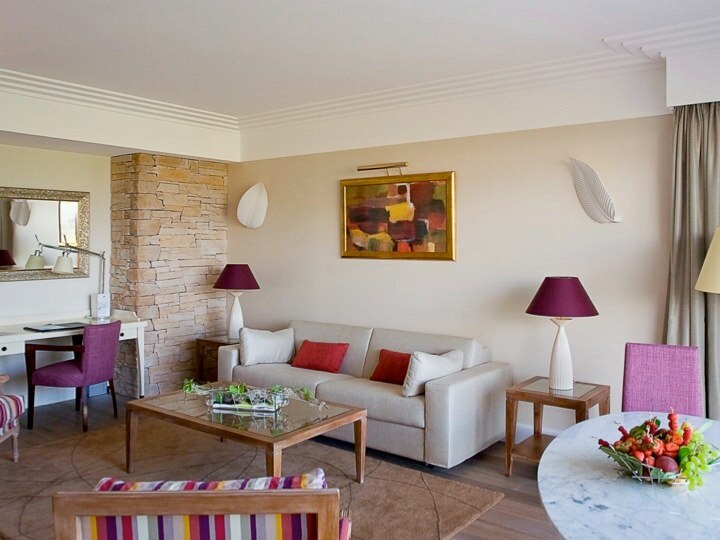 Ideally situated at the heart of the village of Courchevel 1850, at the foot of the ski slopes and close to the restaurants and luxury shops, the Hotel Les Suites de la Potiniere is the perfect spot to enjoy the vibrant life of the resort. 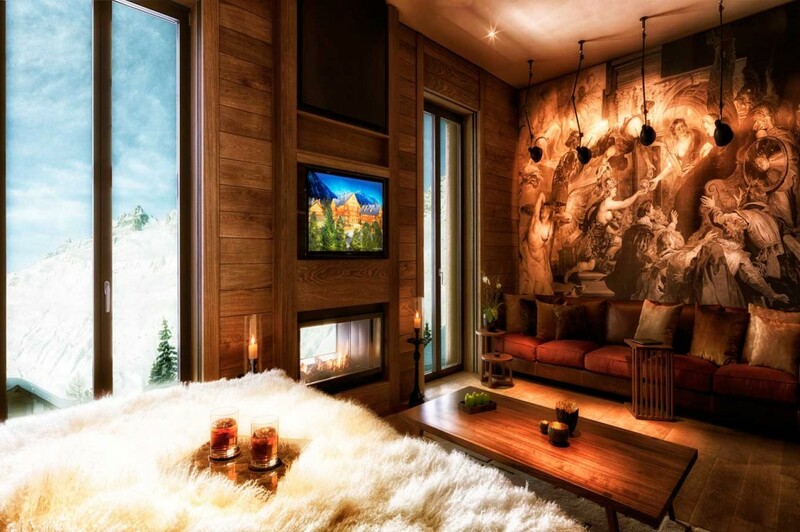 With our fifteen welcoming and contemporary suites, our outstanding apartment, our lounge bar and our “OMNISENS” SPA, with its innovative and natural range of products, you’re sure to enjoy all the facets of a wonderful mountain holiday in an enchanting resort that’s full of surprises. 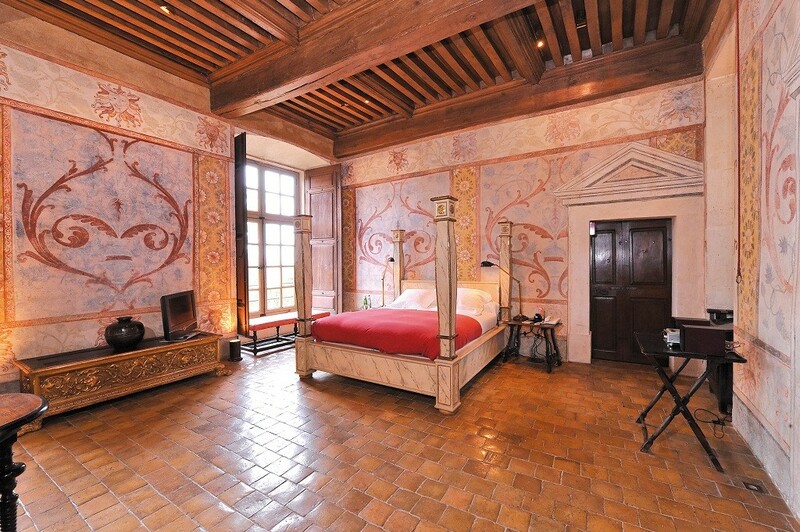 The Chateau de Bagnols is one of France’s major historic monuments as well as a unique luxury hotel with 21 of the most superb rooms and suites in France. 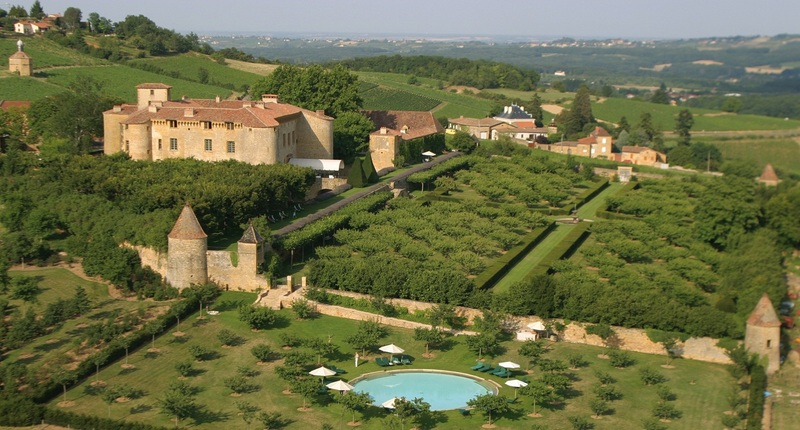 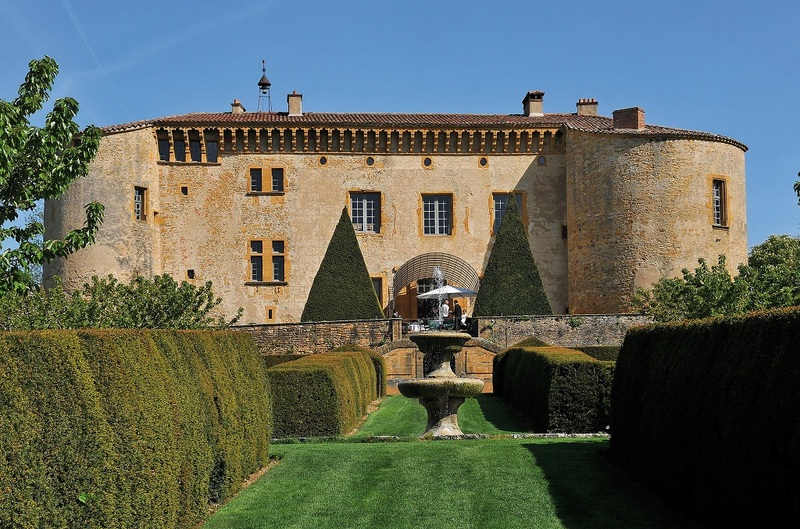 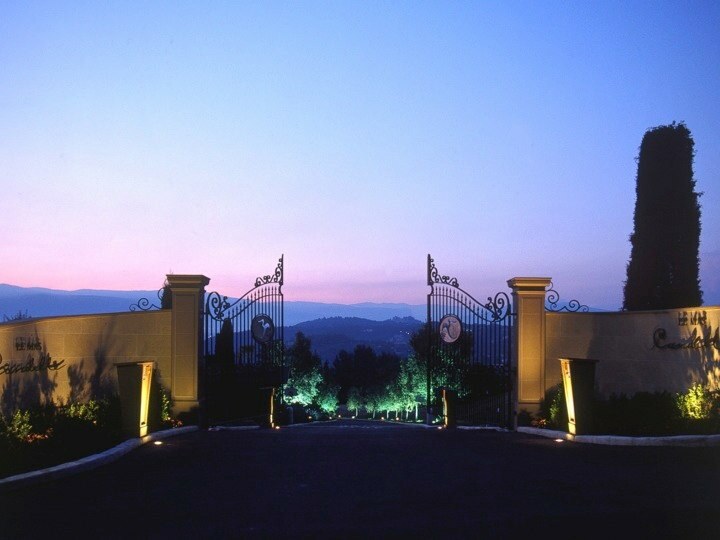 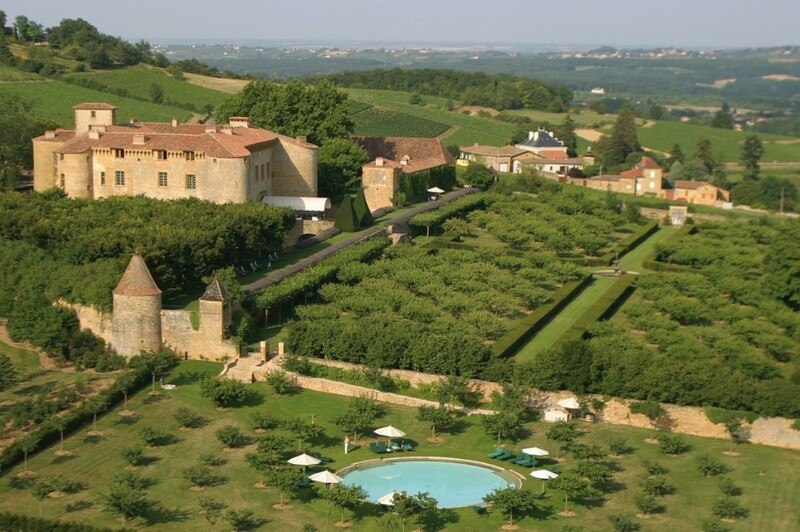 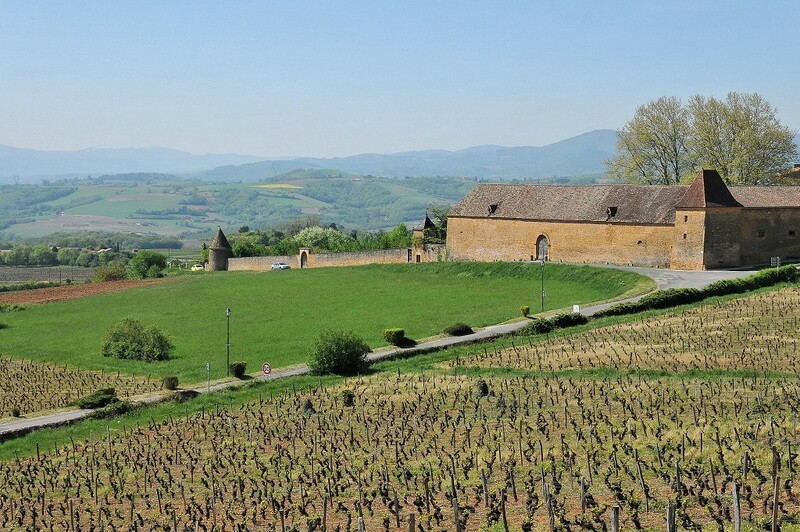 Chateau de Bagnols is set among vineyards, forests and green hills in the heart of the beautiful Beaujolais countryside in south-east France, just 17 miles from Lyon. 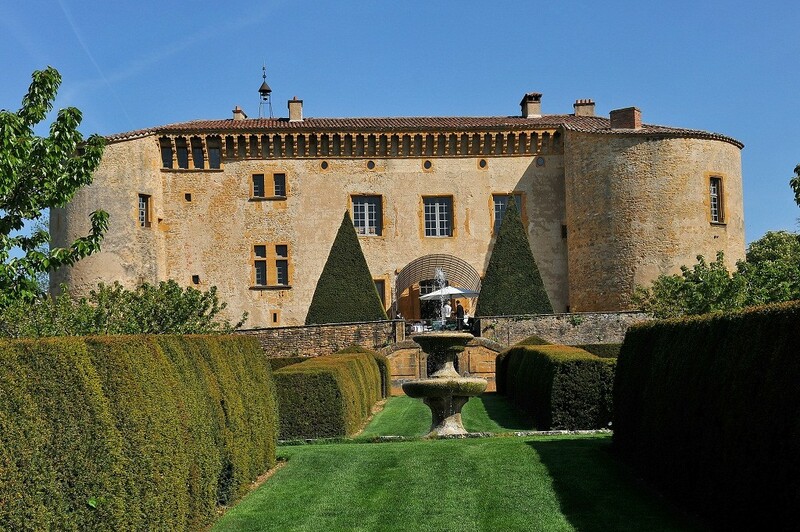 Chateau de Bagnols is a unique experience. 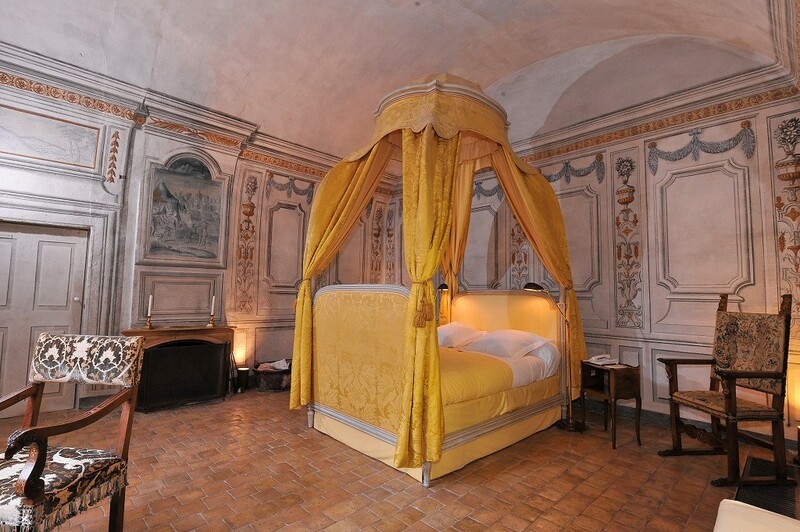 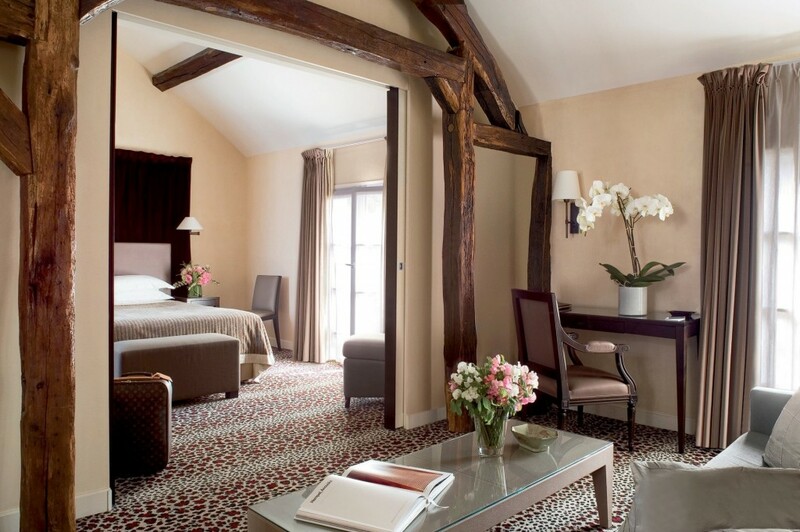 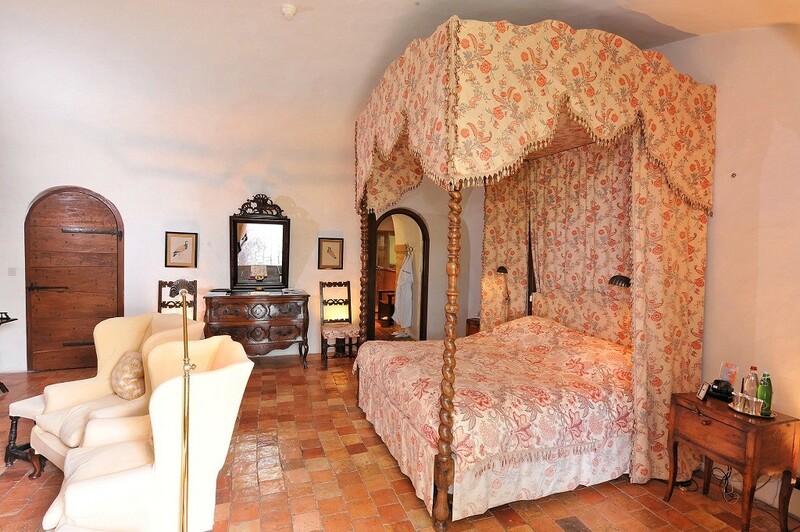 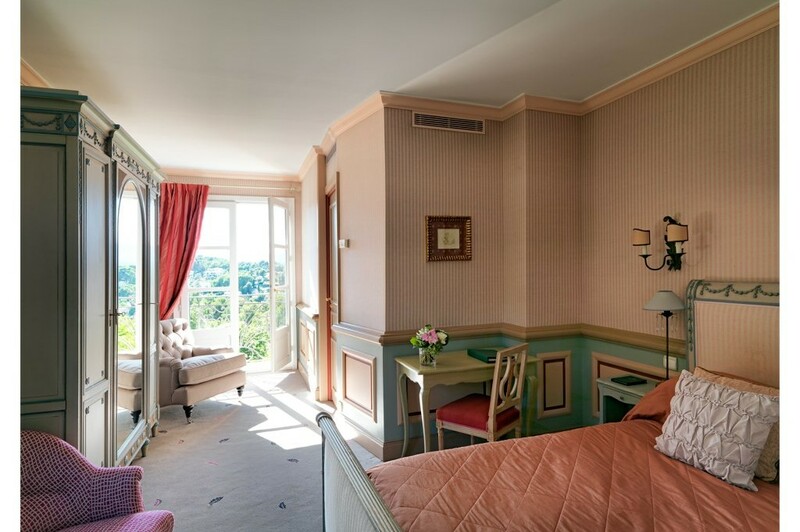 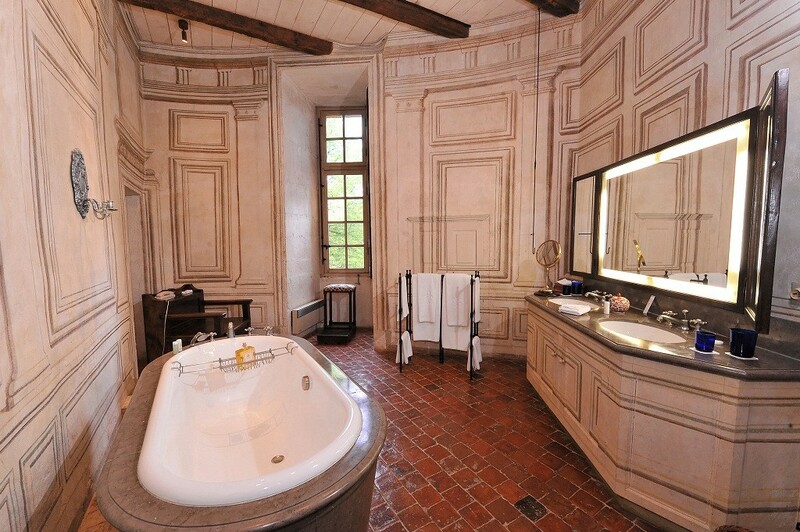 Nowhere else in France can provide guests with such historic luxury in such a grandiose yet comfortable environment. 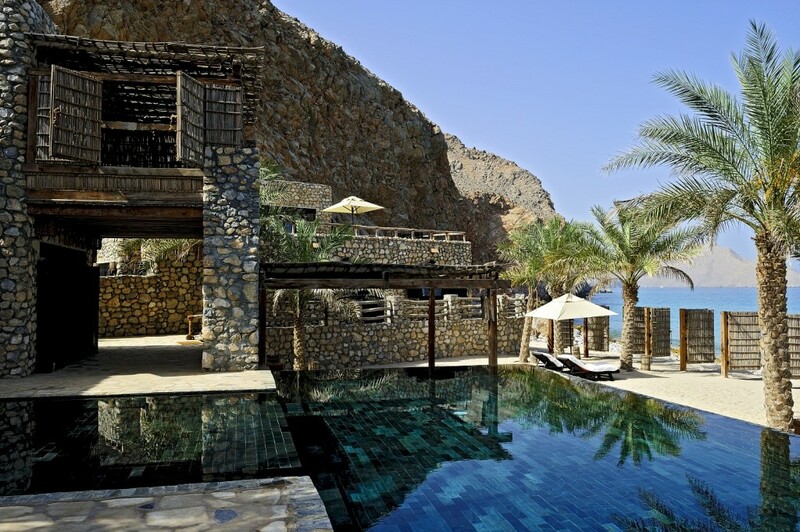 Eagles Nests five luxurious villas nestle into an extraordinary beautiful island like peninsula along a ridgeline that drops into a valley. 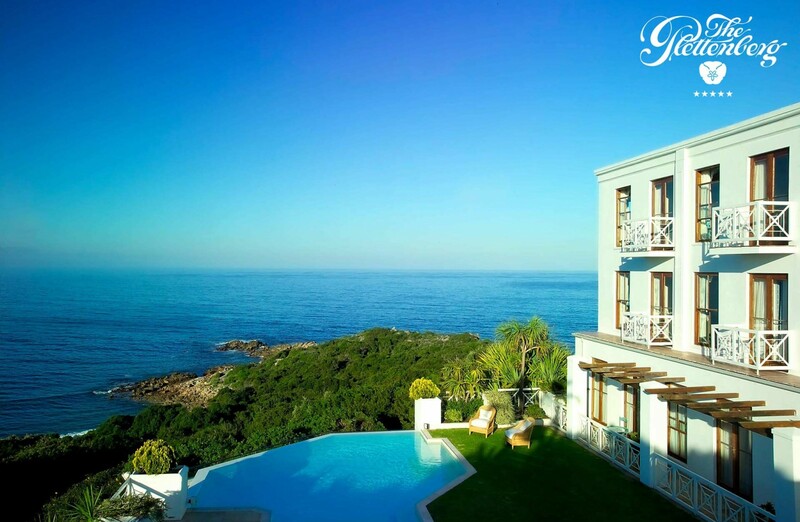 We all dream of enjoying the luxury and inspiration of the ocean from our own personal holiday home on the coast and the villas at Eagles Nest fulfil these dreams. 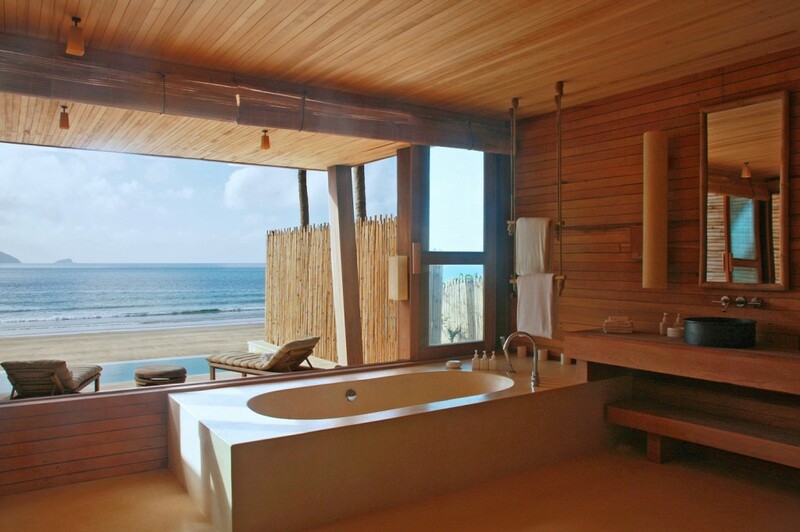 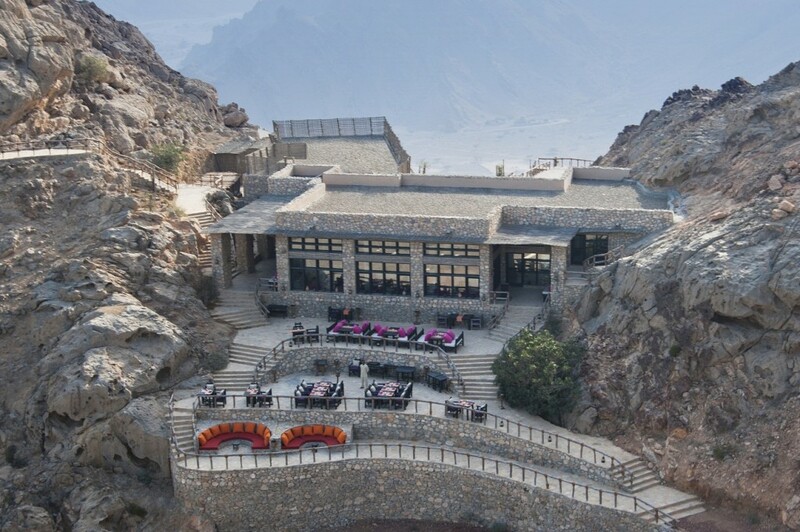 Eagles Nest is truly somewhere between seven stars and heaven. 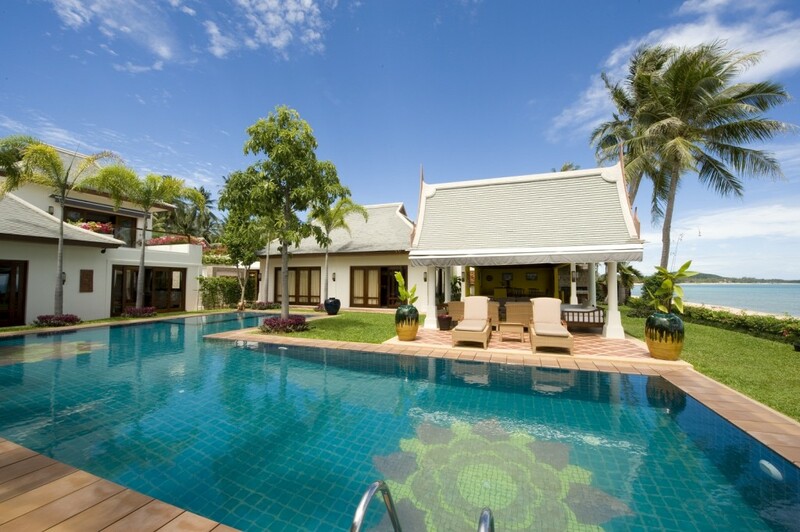 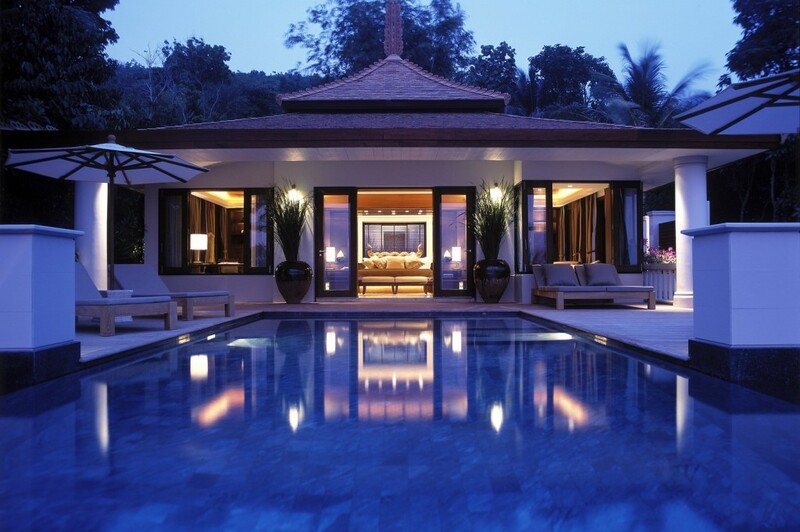 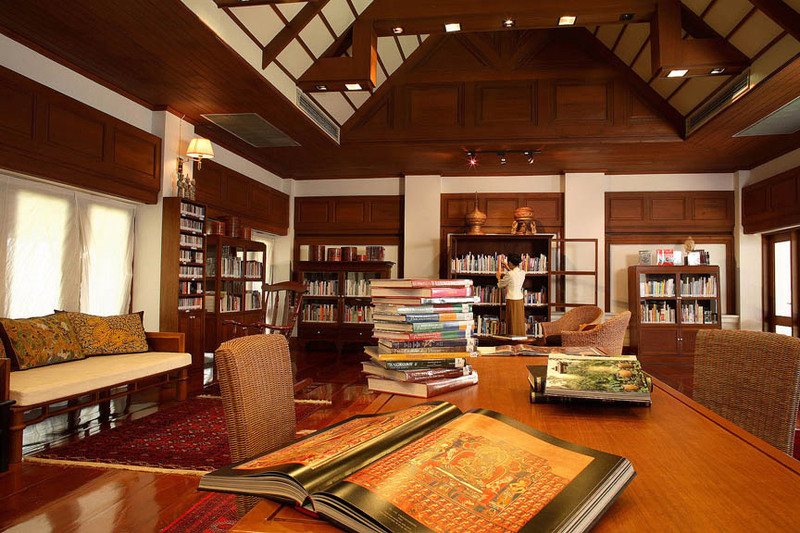 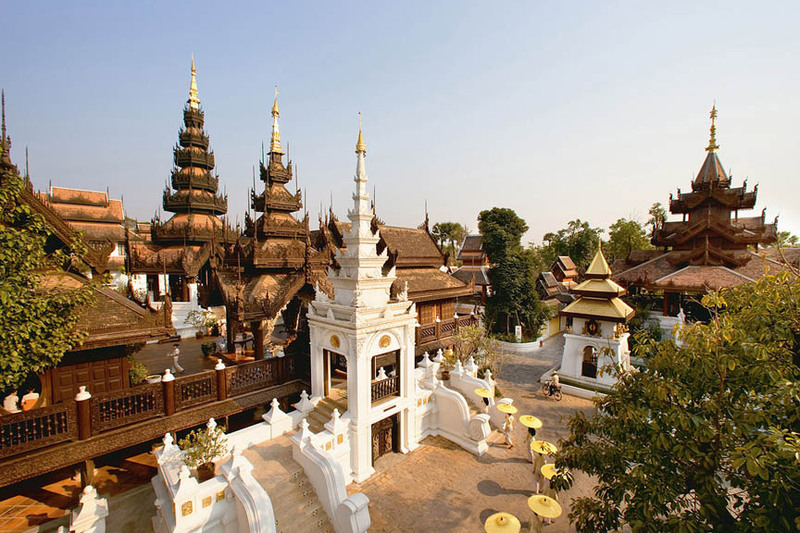 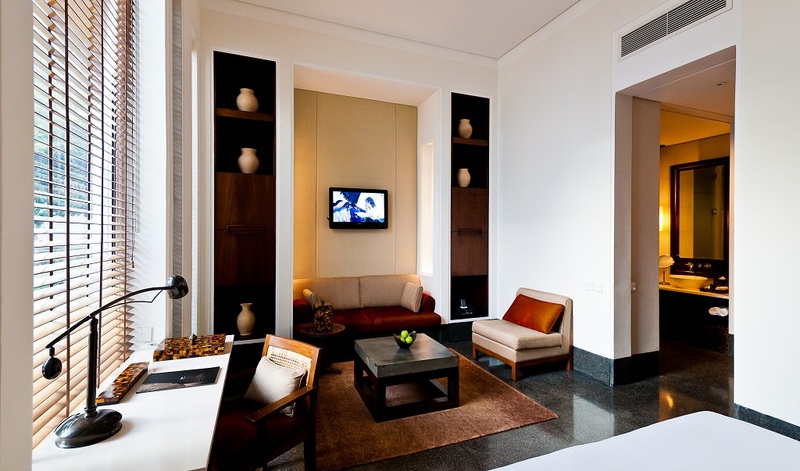 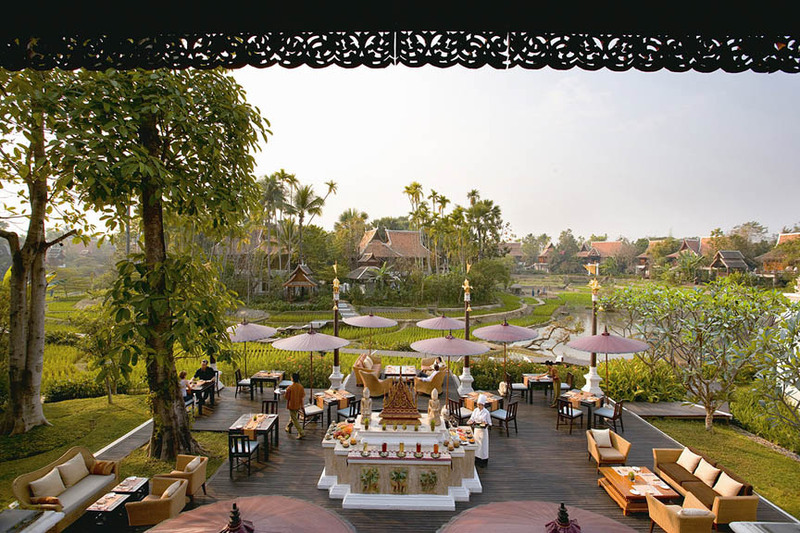 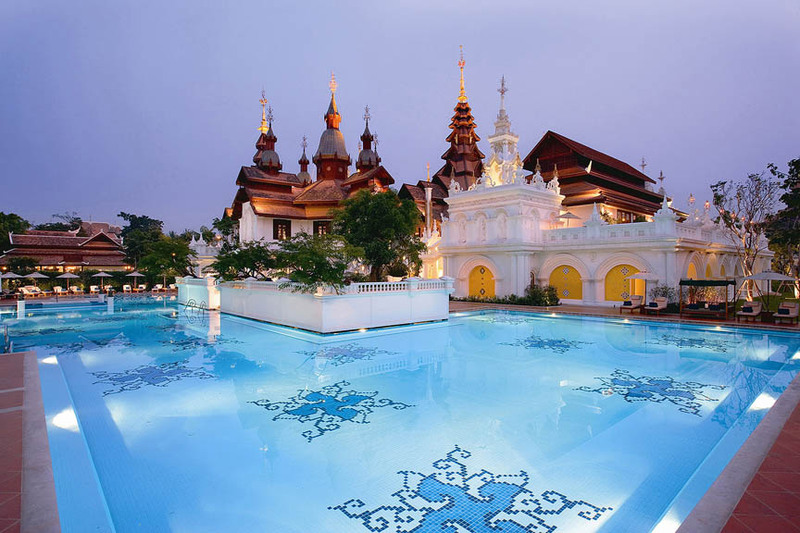 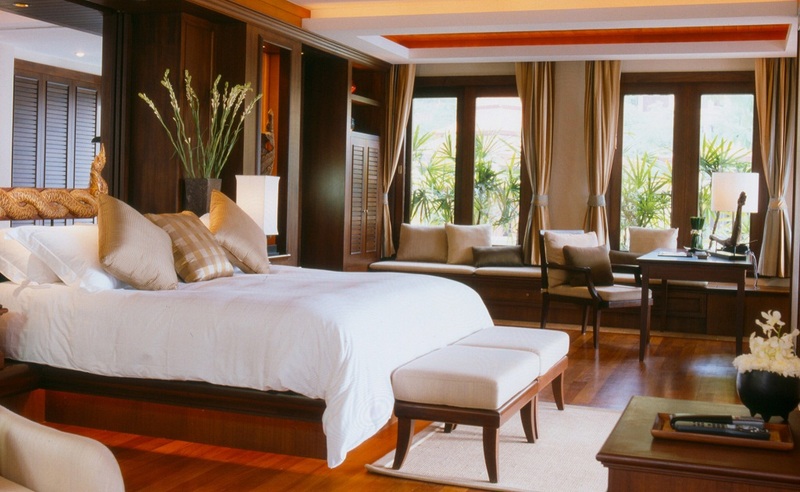 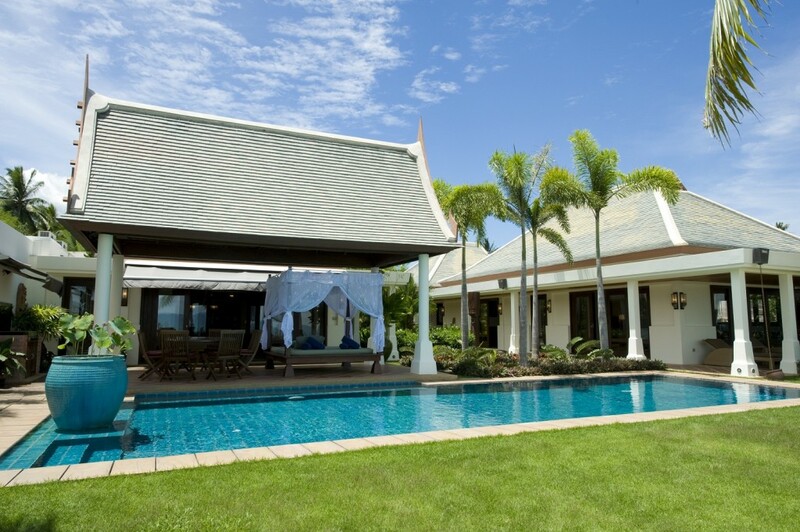 The Mandarin Oriental Dhara Dhevi offer an entirely cultural experience that mirrors the essence of Chiang Mai. 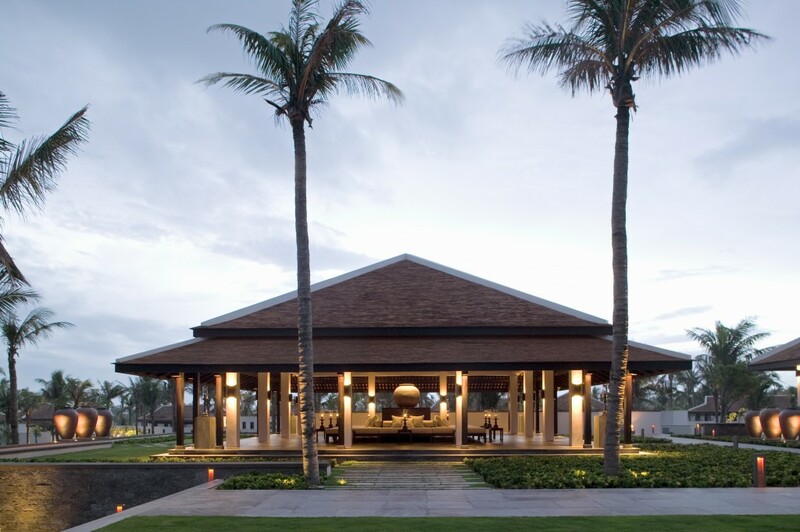 Created as a tribute to Lanna architecture, embracing the natural surroundings and home to a rare collection of Northern Thai antiquities their guests can enjoy an enriching experience in luxury fit for kings. 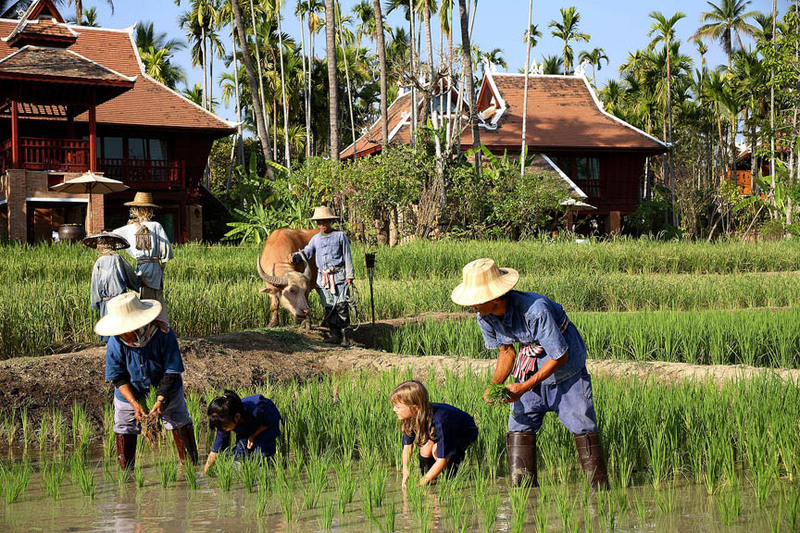 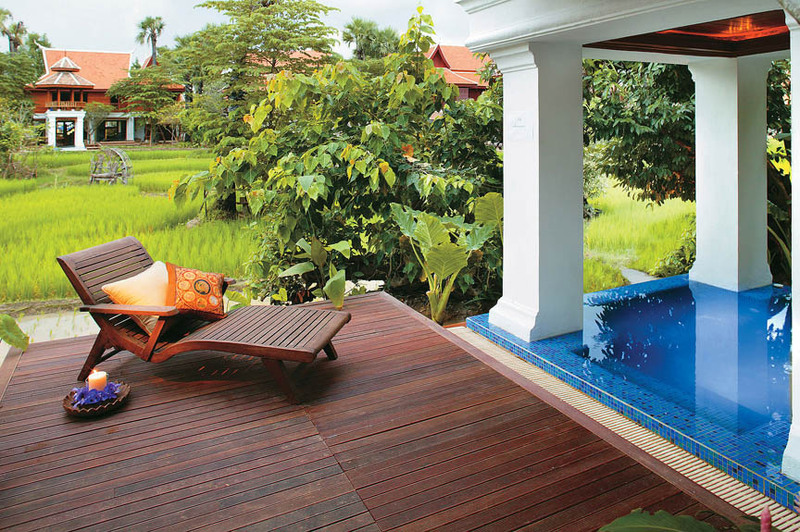 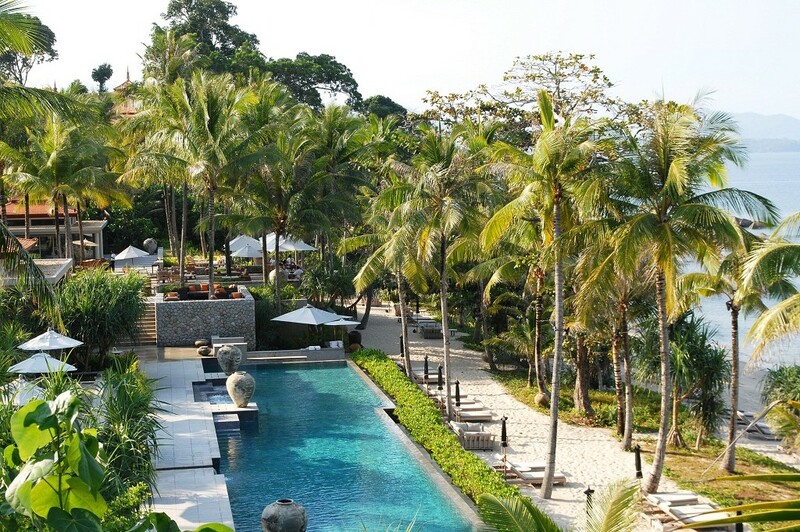 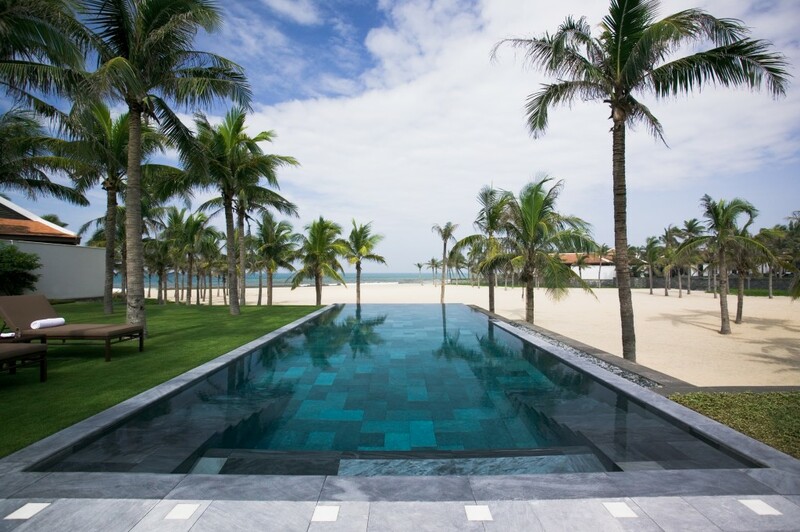 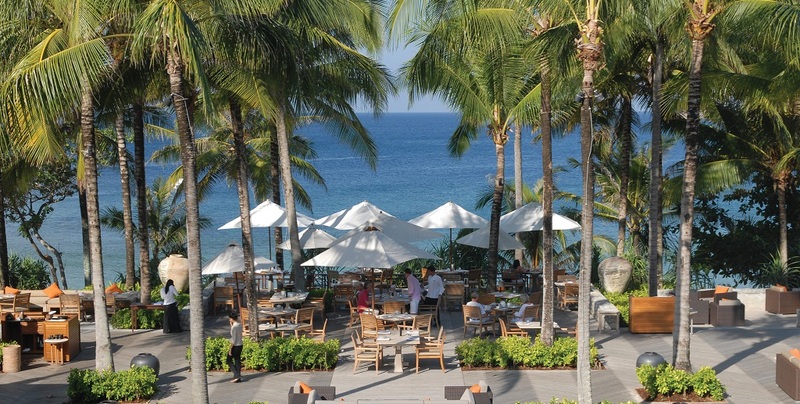 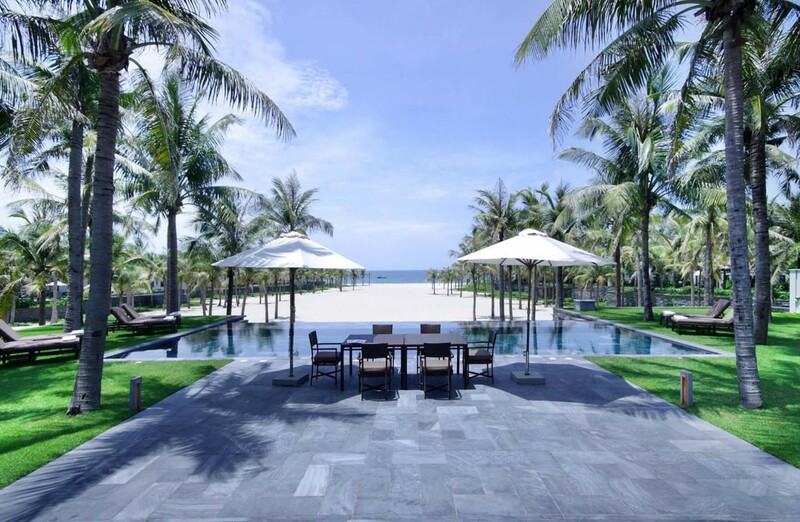 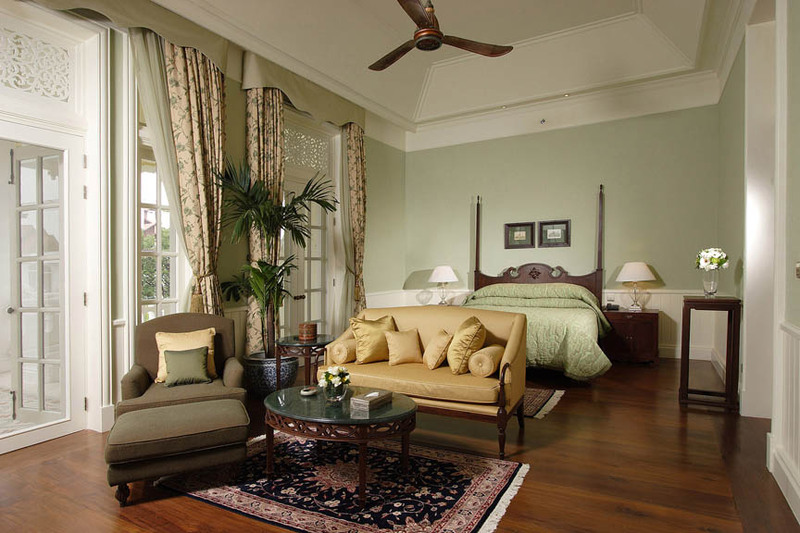 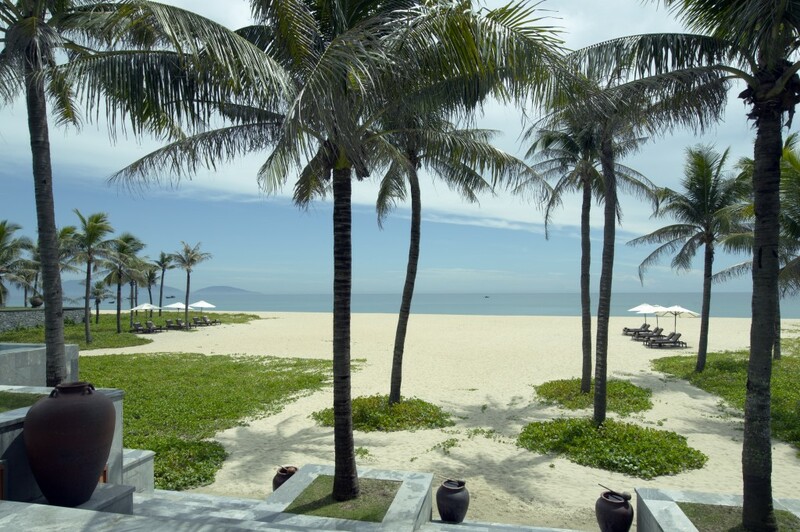 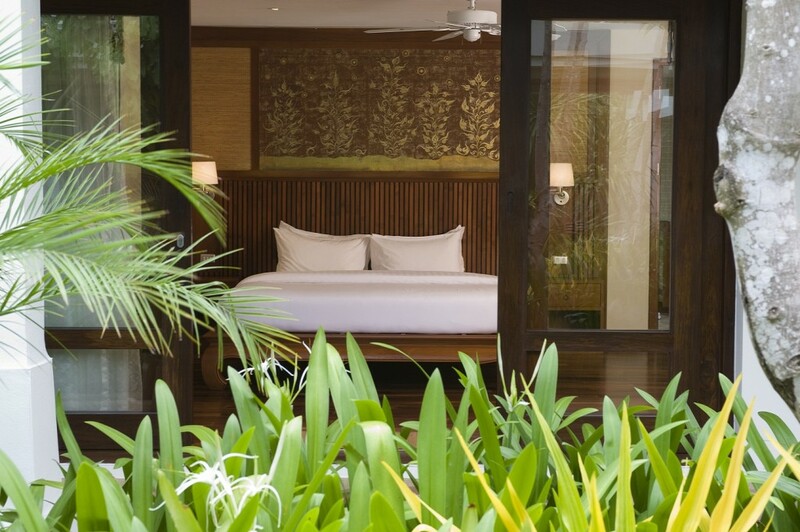 Spread over 60 acres of natural landscape the Mandarin Oriental offers a self-contained world of beauty, incorporating serene paddy fields and exotic plantations. 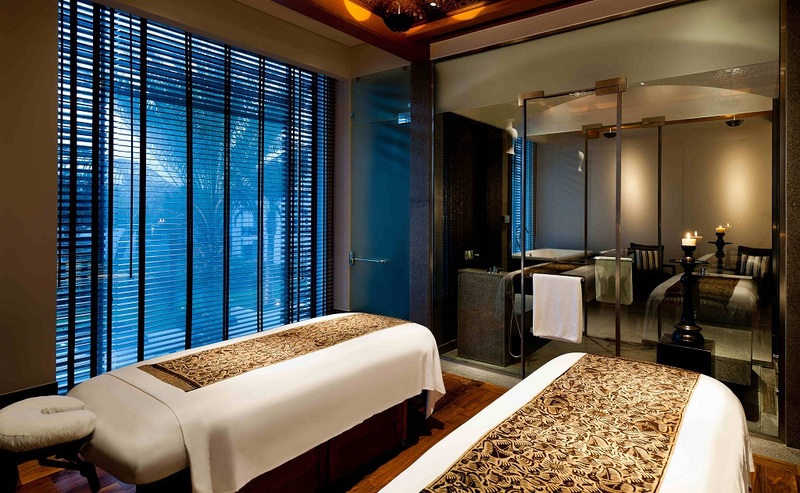 At its heart is the luxurious Dheva spa, dedicated to beauty and serenity, and a cultural centre celebrating local music and dance.